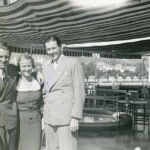 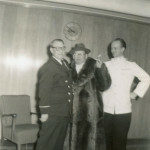 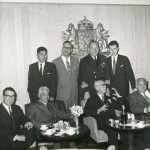 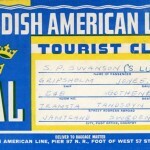 The reality of a shipping company, transporting passengers across the Atlantic Ocean, might have remained a dream if not for one very special person – the energetic and enlightened Småland (a Swedish province) born Wilhelm R. Lundgren. 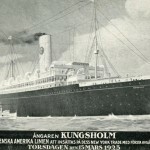 He, for example, founded the shipping company Transatlantic AB, was a member of parliament, participated in launching the Maritime Museum in Gothenburg, The Royal Society for Swedish Culture Abroad and The Swedish National Organization against emigration. 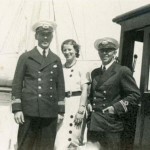 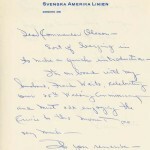 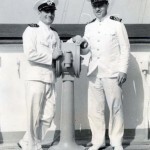 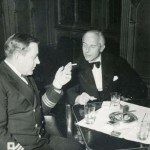 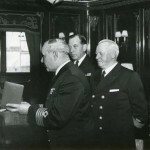 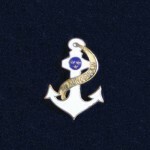 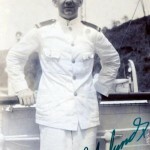 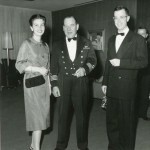 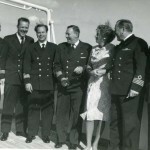 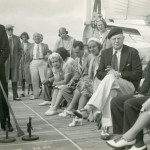 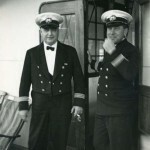 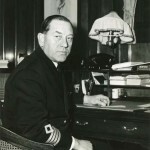 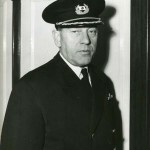 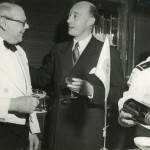 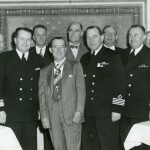 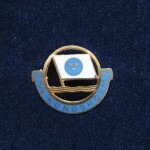 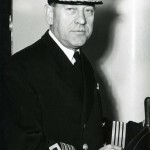 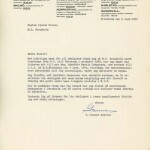 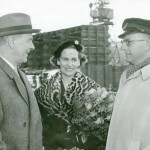 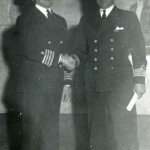 Lundgren is often described as one of the most prominent men within the Swedish Naval industry, and in contradiction to his involvement with the last of the above mentioned organizations, he had actively been working towards a direct line between Sweden and America for many years. 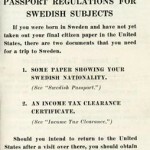 The reasons for this were several; Lundgren was perceptive enough to foresee Swedish emigrants returning, and he also figured that Swedes residing in America would want to revisit their motherland. 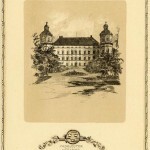 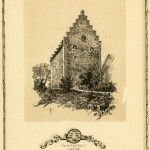 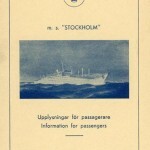 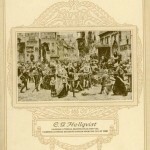 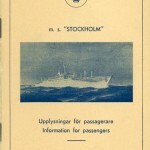 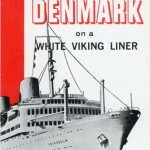 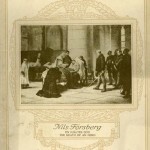 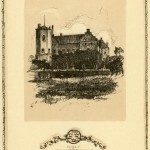 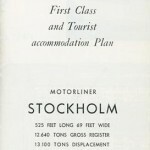 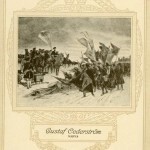 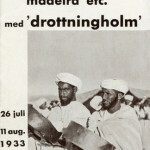 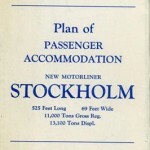 Furthermore, the voyages became easier and the standard for the passengers improved due to the fact that the Swedish authorities were controlling the traffic. 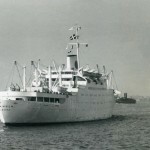 Another factor was that during this time, every country wanted their own traffic across the Atlantic Ocean; something which can be compared to what occurred in the 1960-70s when every nation wanted their own airline company. 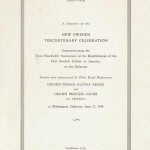 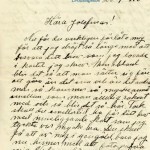 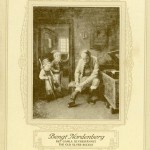 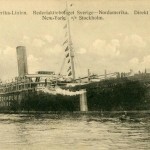 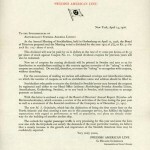 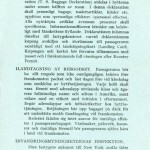 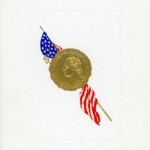 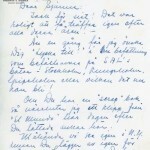 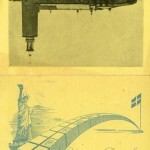 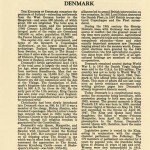 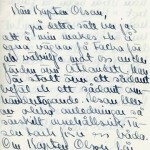 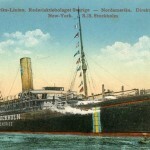 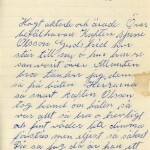 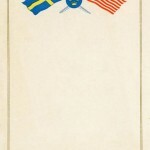 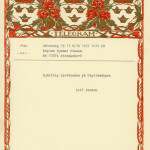 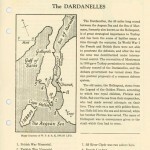 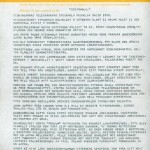 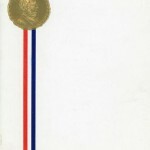 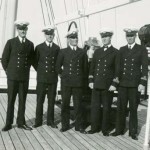 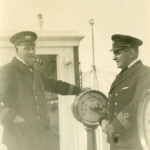 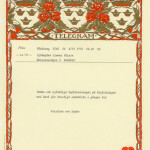 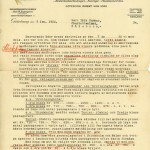 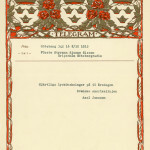 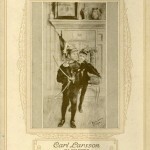 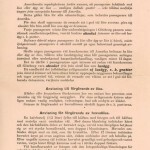 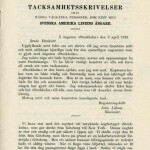 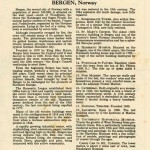 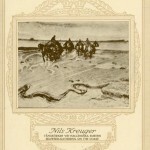 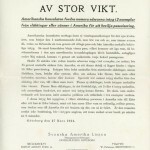 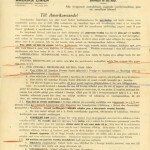 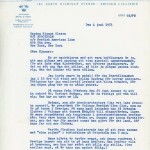 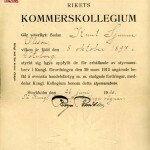 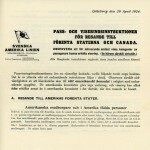 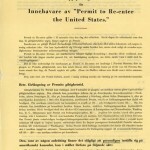 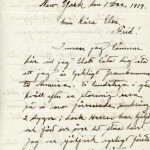 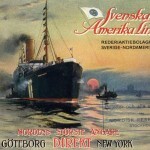 The actuality of Denmark having launched the Scandinavian–American Line in the beginning of the century, and Norway starting the Norwegian- American Line in 1910 were occurrences which Lundgren used as strong arguments. 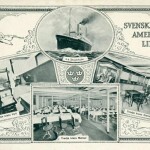 Lundgren had to fight hard to be able to realize his vision, but it seemed as the tide was turning after he went to America to find sponsors, and launched the idea about engaging several small shareholders in Sweden. 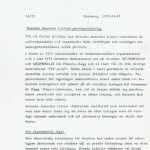 Then disaster struck; Lundgren suddenly passed away while at a business meeting in London. 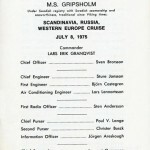 With the project well underway, the task of finalizing it all fell on Gunnar Carlsson, the, merely 27 year old, successor of Lundgren. 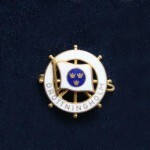 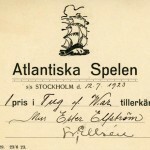 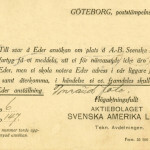 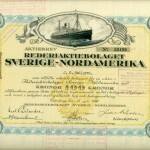 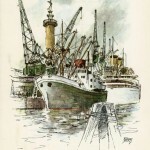 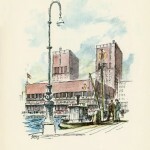 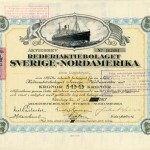 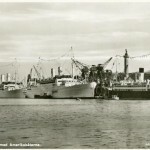 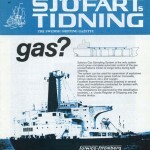 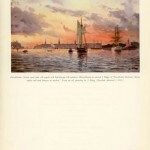 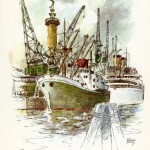 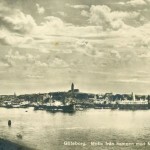 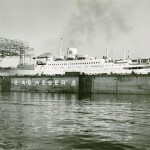 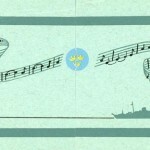 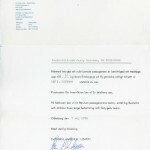 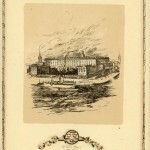 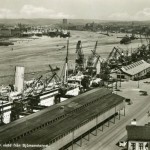 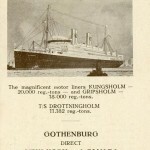 The ship owner Dan Broström was positive about the idea, the city of Gothenburg came up with the rest of the funds, and the shipping company, Rederi AB Sverige-Nordamerika, was formed. 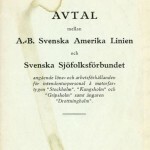 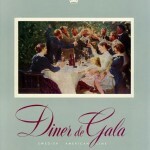 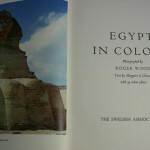 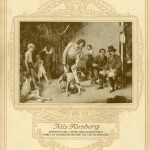 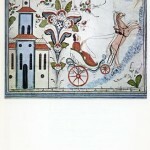 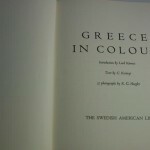 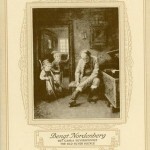 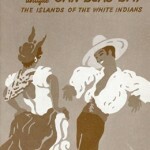 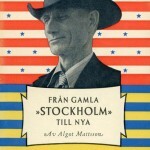 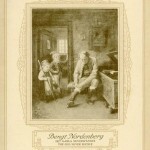 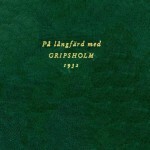 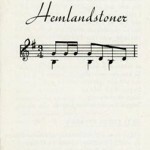 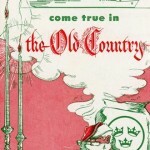 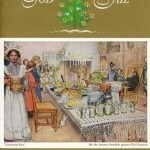 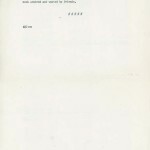 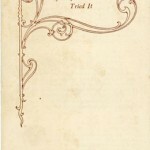 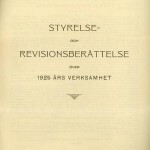 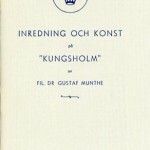 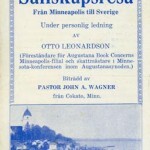 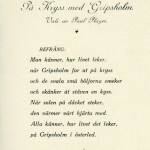 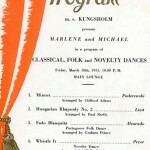 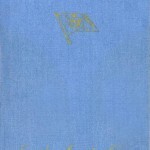 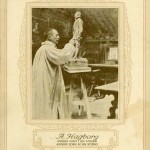 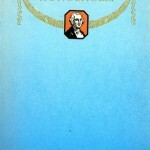 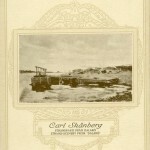 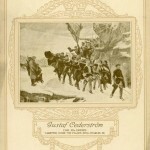 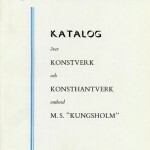 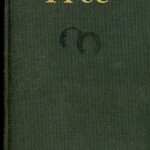 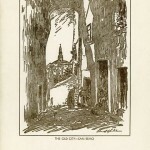 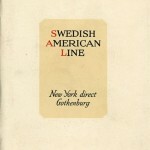 The working title was the Swedish American Line from the beginning, but this name was not used officially until 1925. 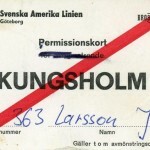 Detta inlägg postades i The company, Uncategorized den januari 20, 2015 av Torsten. 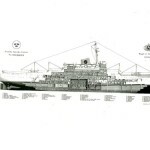 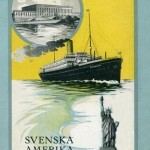 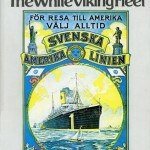 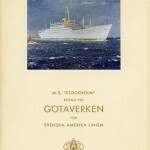 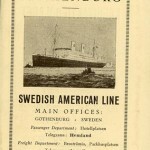 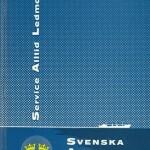 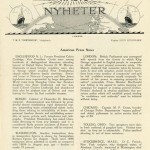 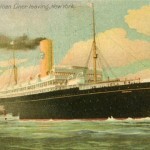 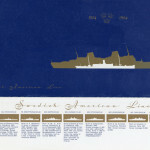 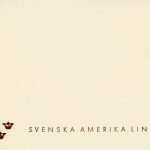 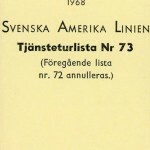 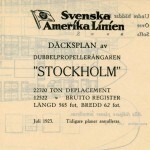 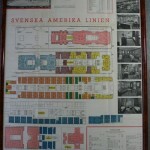 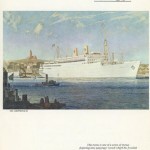 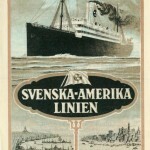 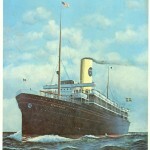 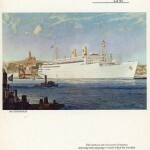 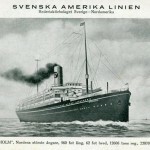 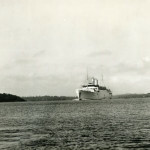 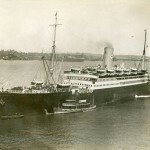 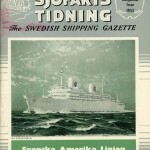 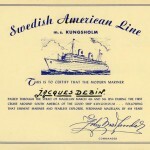 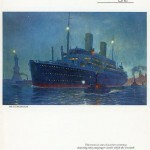 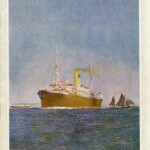 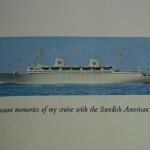 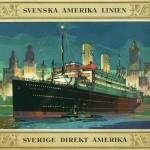 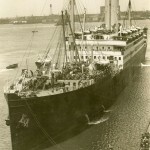 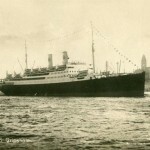 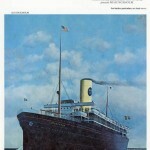 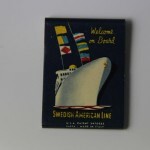 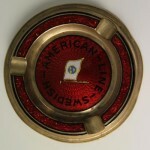 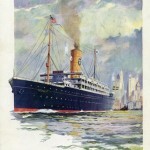 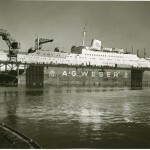 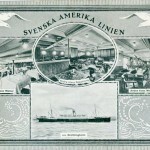 The Swedish American Line´s first new built ship was ordered in 1923. 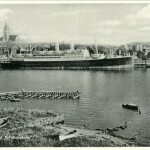 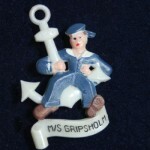 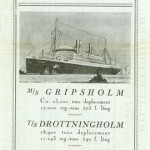 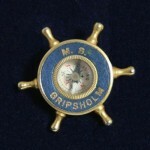 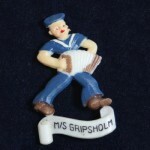 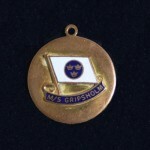 She was named Gripsholm and was launched In Newcastle 1925. 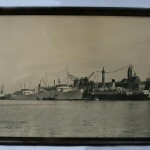 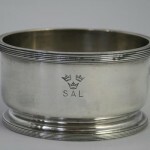 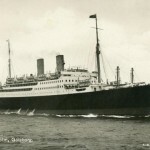 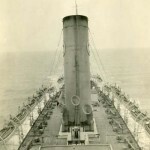 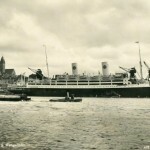 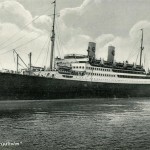 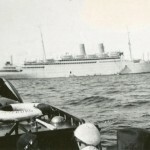 By then three SAL vessels had been sailing over the Atlantic ocean since the the first ocean liner S/S Stockholm made her first trip in December 1915. 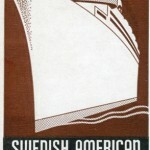 Stockholm, was purchased from the Holland America Line. 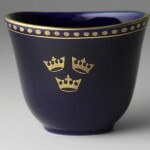 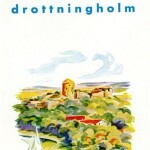 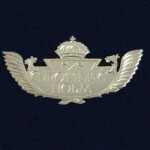 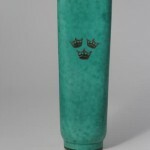 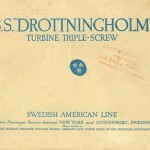 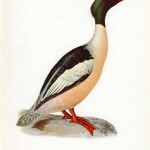 The next acquisition came from the Allan Line in 1919 and her name was Drottningholm. 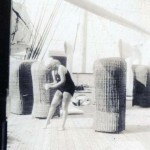 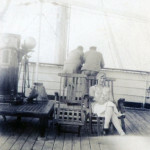 Though, due to her behavior on the water she earned the nickname ”Rollinghome”. 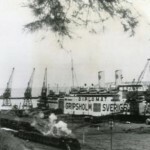 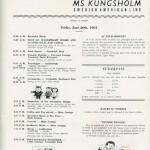 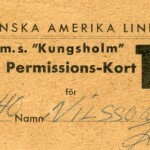 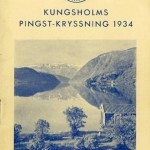 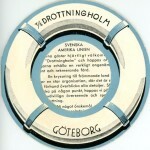 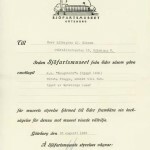 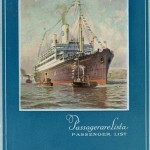 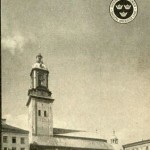 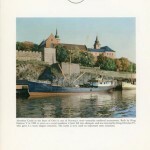 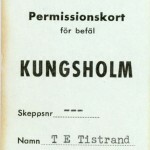 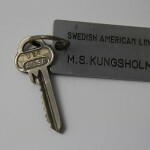 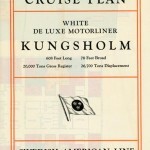 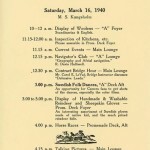 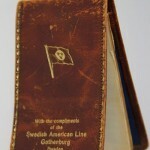 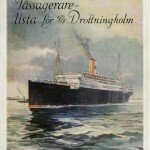 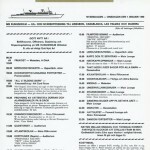 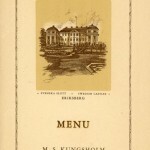 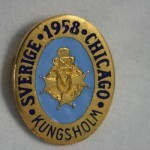 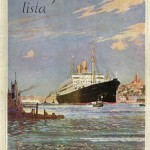 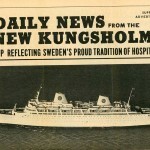 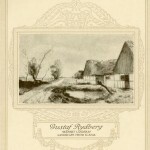 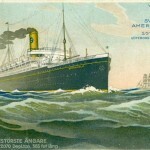 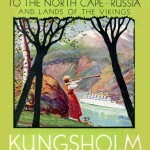 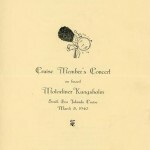 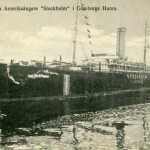 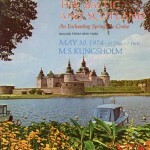 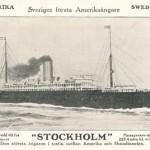 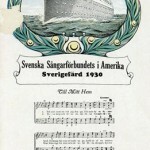 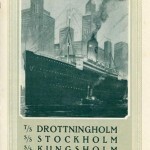 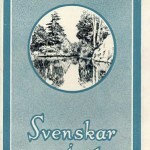 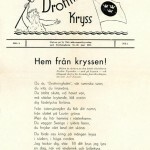 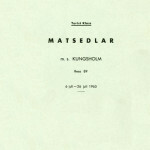 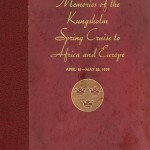 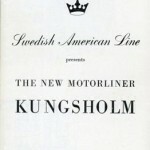 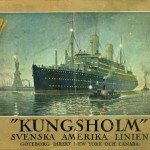 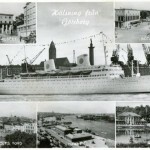 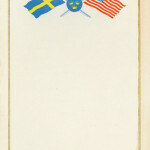 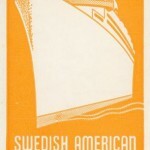 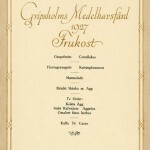 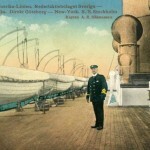 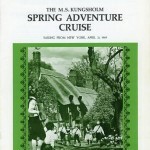 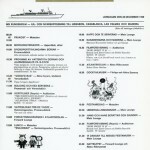 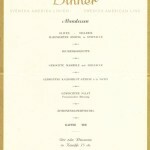 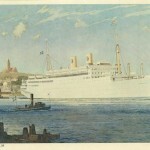 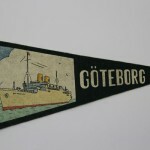 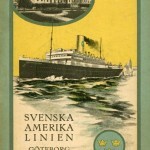 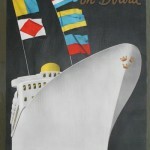 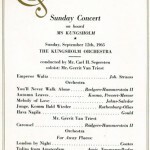 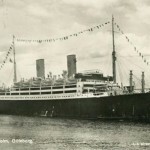 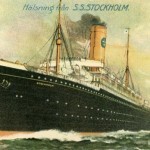 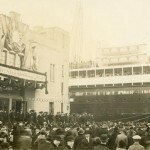 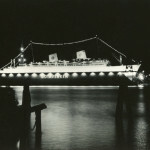 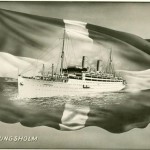 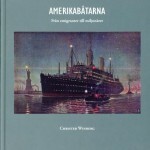 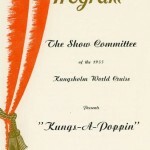 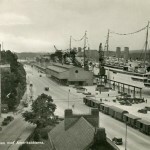 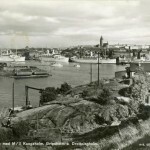 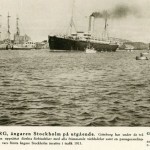 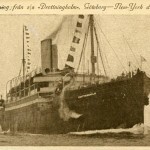 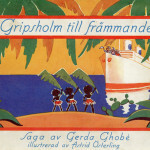 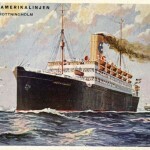 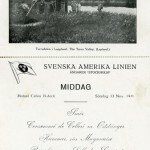 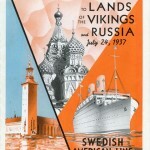 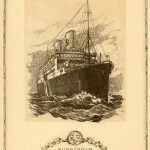 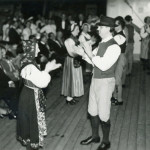 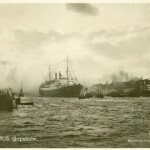 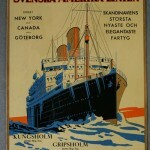 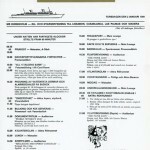 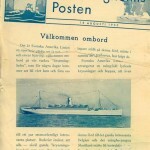 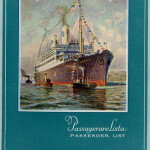 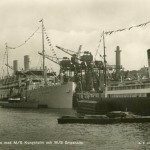 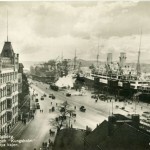 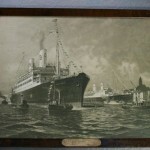 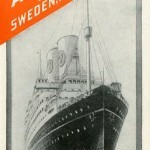 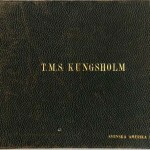 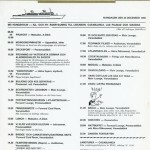 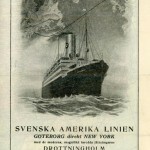 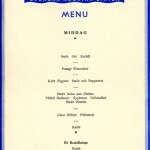 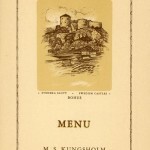 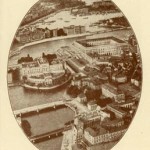 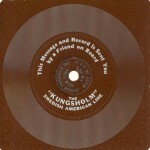 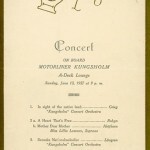 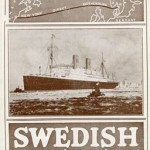 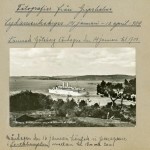 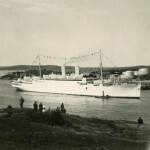 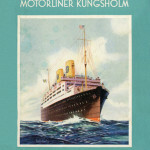 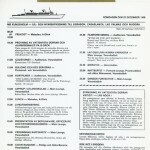 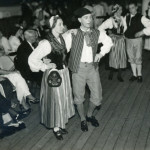 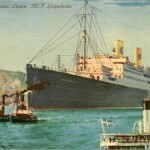 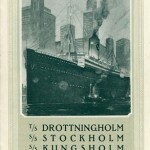 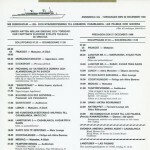 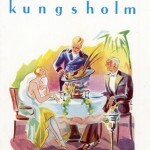 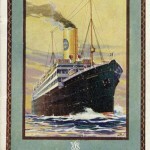 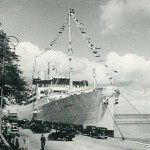 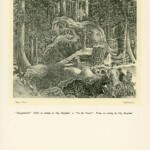 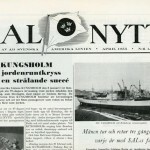 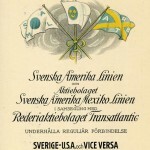 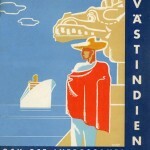 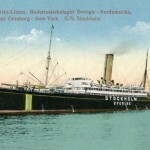 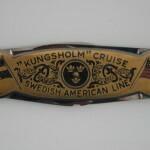 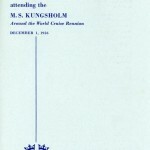 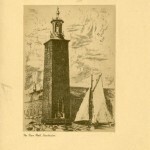 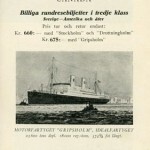 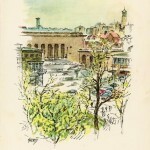 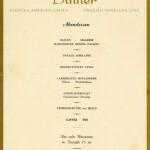 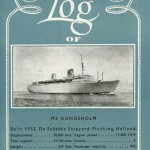 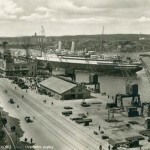 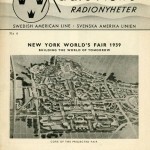 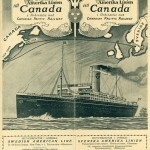 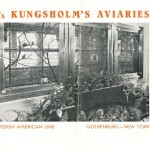 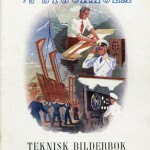 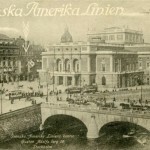 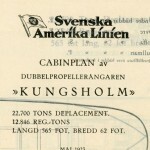 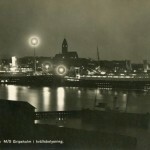 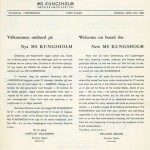 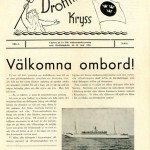 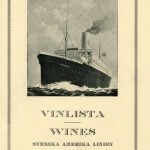 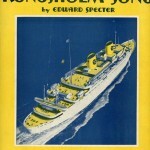 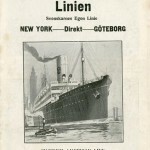 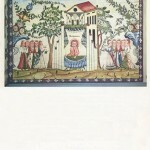 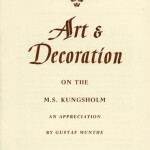 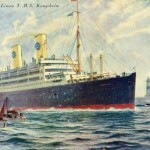 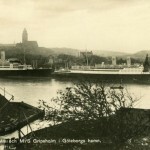 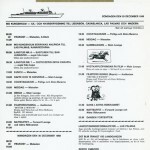 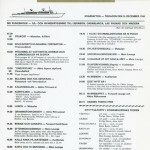 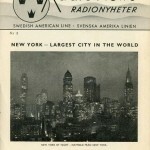 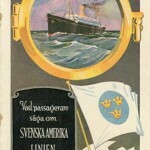 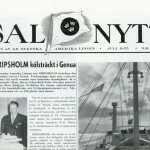 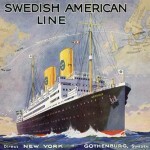 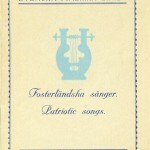 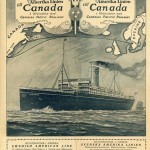 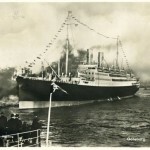 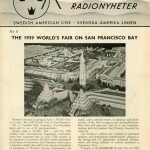 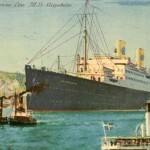 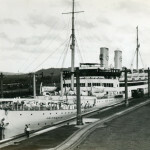 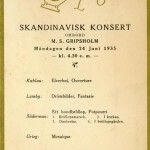 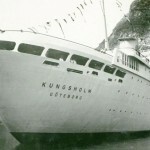 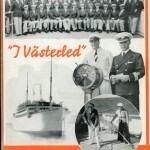 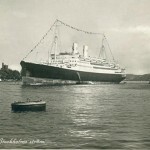 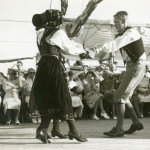 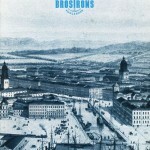 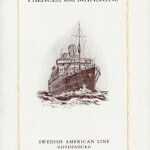 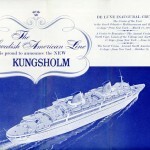 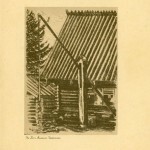 During the commemorative exhibition in Gothenburg 1923, where the theme Swedish-America played a big part, a steam-ship called Kungsholm was rented from Germany. 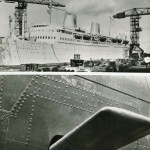 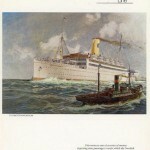 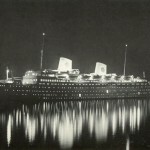 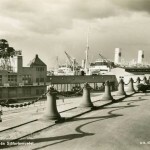 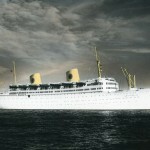 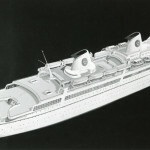 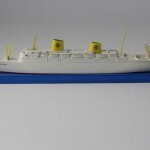 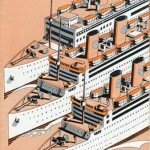 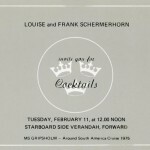 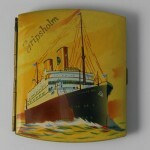 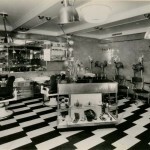 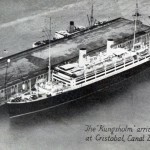 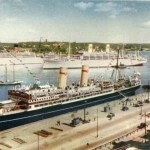 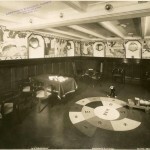 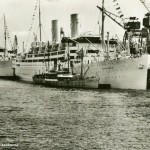 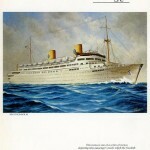 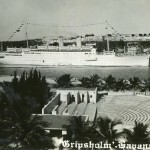 The Gripsholm 1925 and the Kungsholm, which were delivered from the Blohm & Voss dockyard in Hamburg 1928, became the prime images of the exclusiveness and modernism that the Swedish American Line represented. 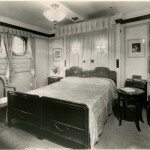 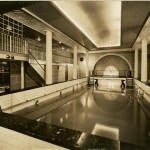 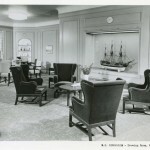 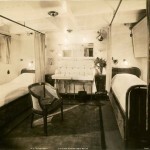 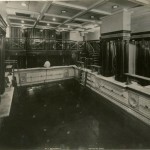 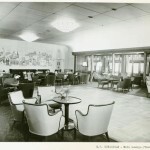 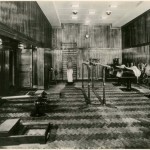 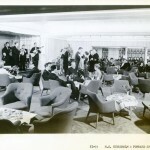 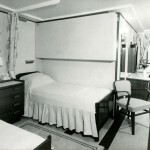 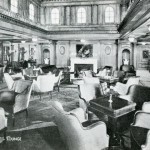 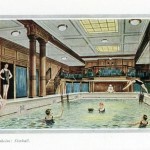 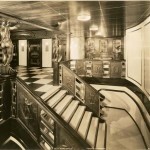 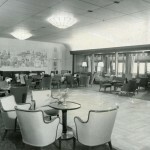 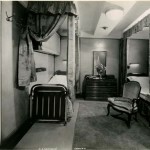 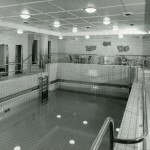 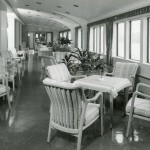 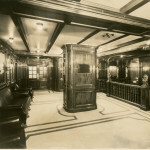 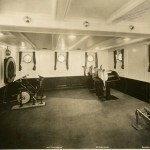 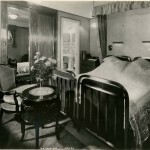 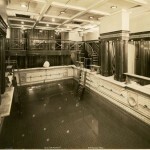 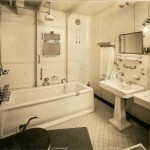 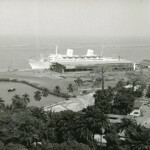 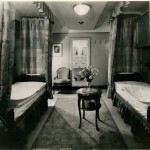 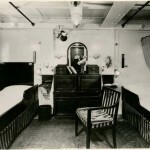 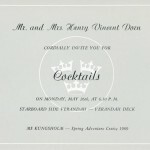 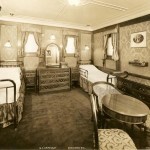 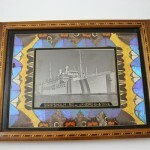 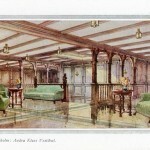 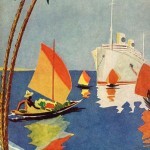 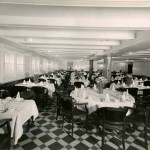 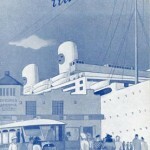 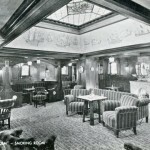 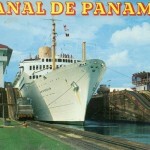 Beside the fact that the ships were contemporary and beautifully decorated, they also had diesel engines, electrical elevators, and a swimming pools. 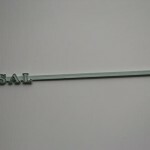 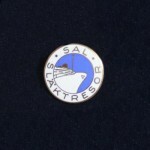 From the very beginning SAL also understood the importance of the level of the service given from their staff, and how crucial it would be for the future of the company. 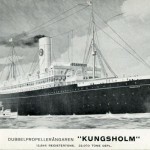 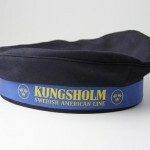 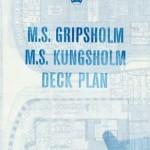 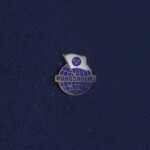 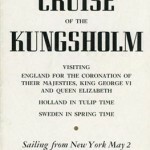 During this time, they began reintroducing the names, resulting in four vessels being called Kungsholm, two Gripsholm, four Stockholm (if you count the two ships which were ordered, but never delivered from Italy during the war), and only one ship was named Drottningholm. 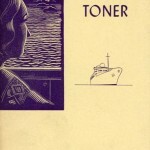 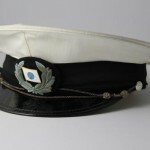 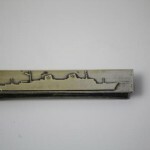 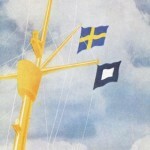 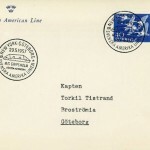 Detta inlägg postades i The ships, Uncategorized den januari 20, 2015 av Torsten. 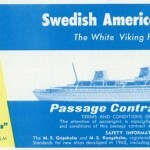 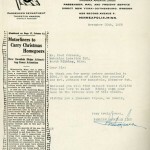 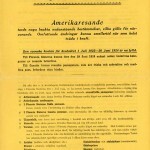 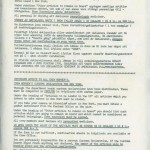 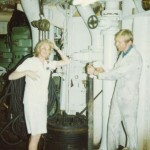 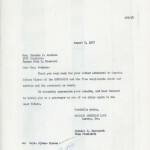 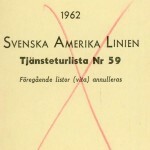 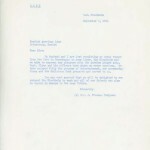 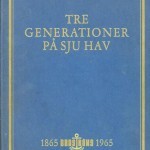 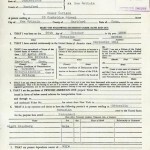 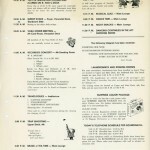 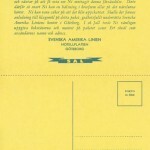 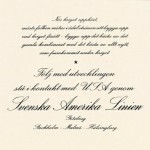 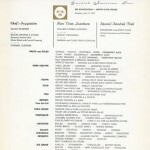 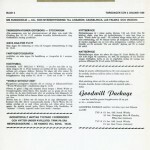 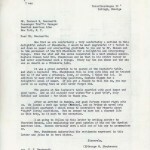 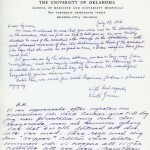 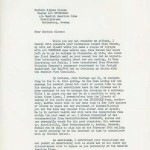 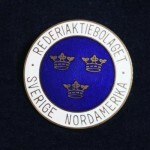 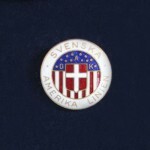 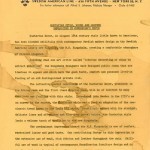 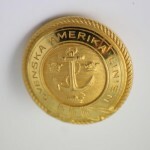 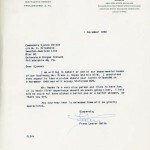 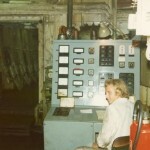 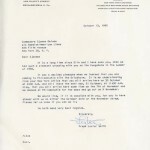 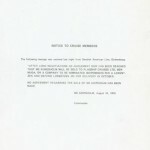 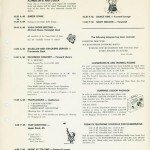 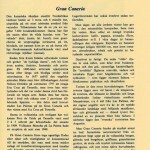 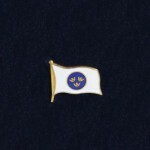 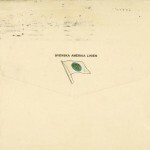 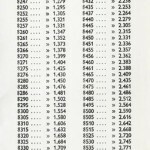 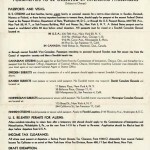 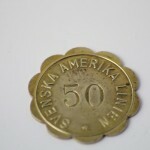 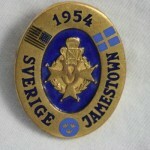 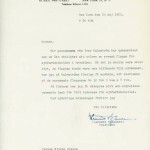 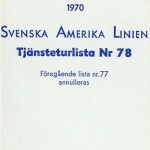 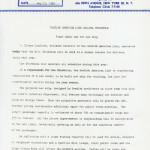 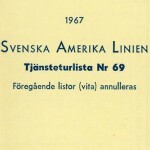 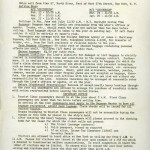 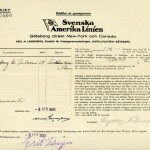 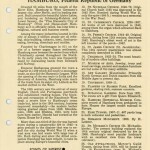 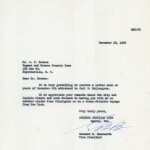 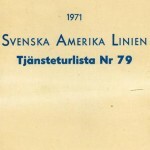 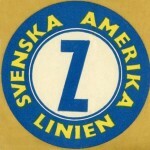 Thousands of people were employed by, and got their income directly or indirectly, from the Swedish American Line during their 60 year long history. 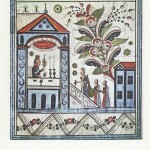 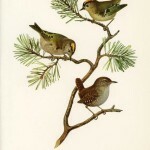 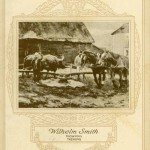 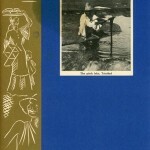 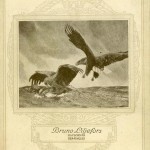 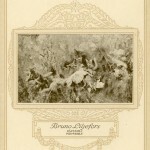 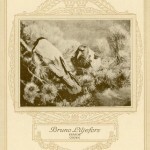 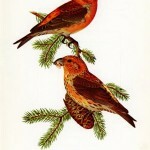 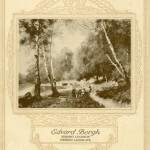 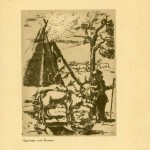 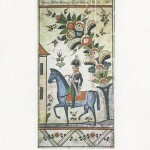 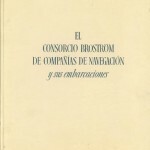 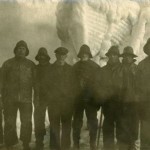 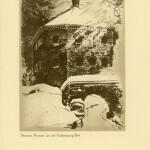 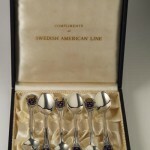 These workers were everything from members of the Broström family, in-laws, relatives, or people in other ways connected to the management, to people who made a journey due to pure adventurism. 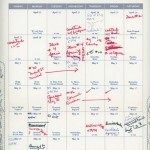 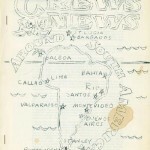 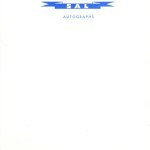 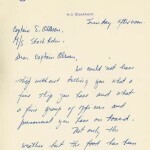 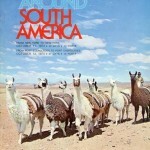 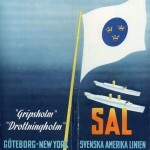 In this context it is important to remember those who, in one way or another, worked for SAL on the American continent. 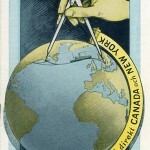 Just consider the amount of people who worked in New York, Halifax or on all the other offices in North America. 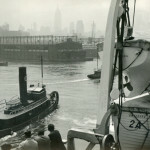 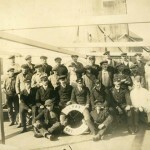 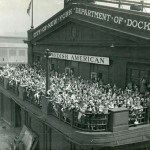 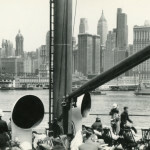 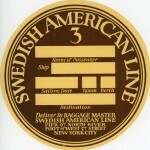 In the earlier days of the Swedish American Line it was not unusual for people to take employment on a ship just to leave at the port of New York and start a new life in America. 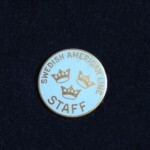 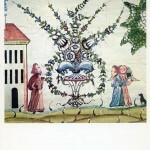 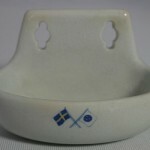 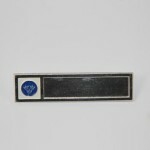 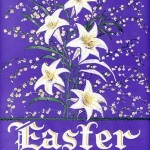 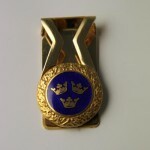 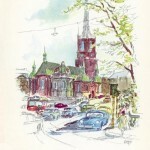 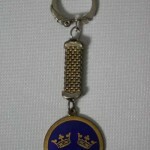 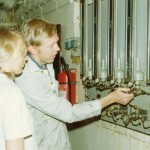 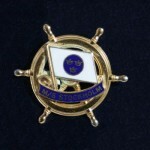 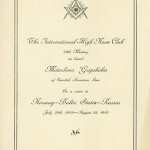 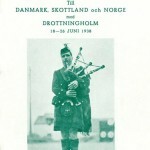 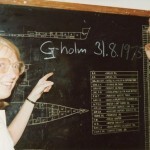 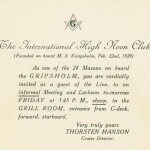 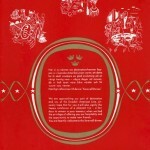 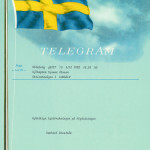 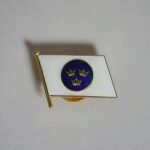 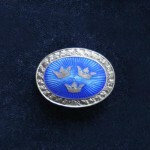 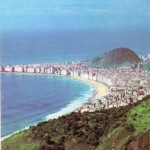 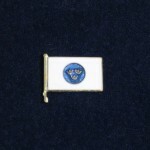 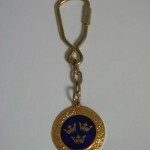 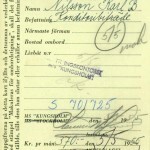 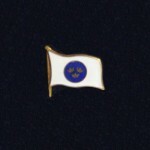 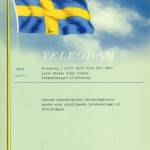 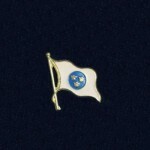 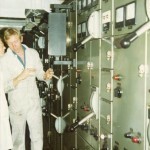 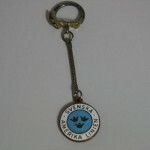 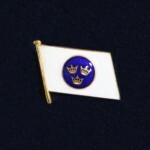 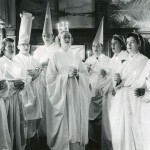 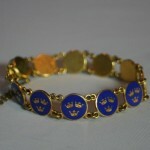 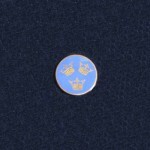 As the years passed by, more and more people from other European countries joined the, from the onset, Swedish staff. 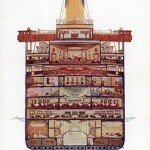 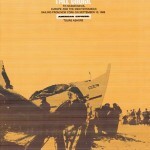 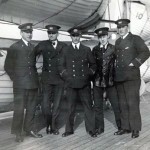 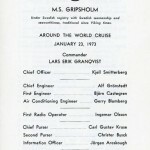 It is estimated that the crew consisted of 80% men and 20% women. 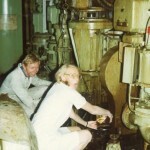 Unfortunately, few studies has been done concerning the employees of the ships, but we can state that it was a miniature community with its own moments of happiness and sorrow. 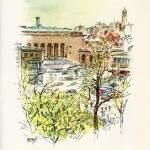 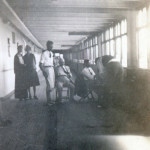 People from different walks of life met here, many of which were very content and remained for a long time, while others never really settled. 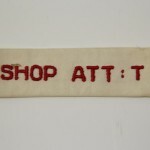 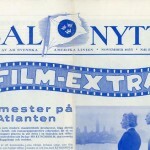 Detta inlägg postades i The employees & crew, Uncategorized den januari 20, 2015 av Torsten. 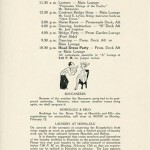 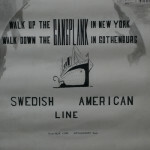 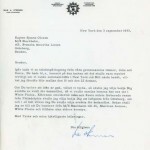 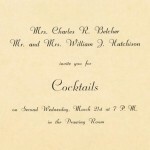 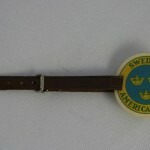 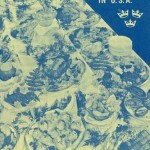 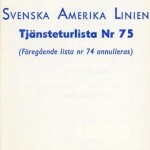 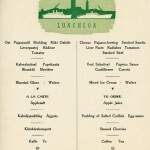 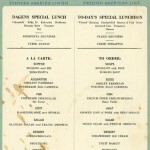 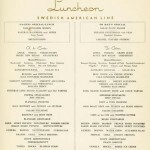 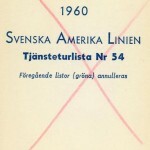 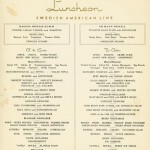 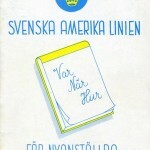 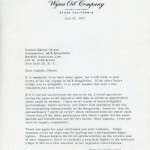 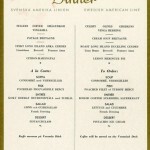 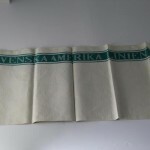 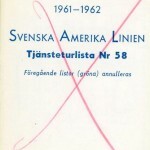 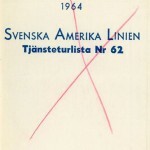 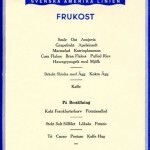 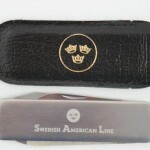 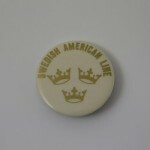 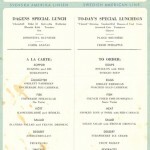 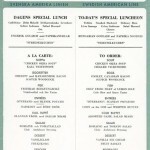 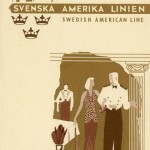 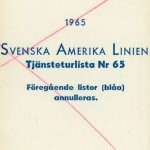 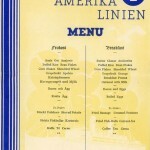 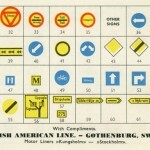 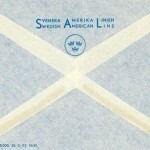 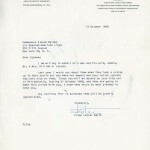 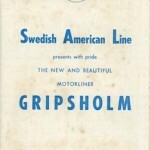 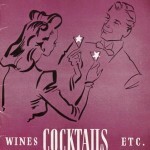 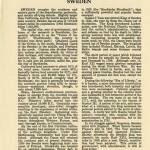 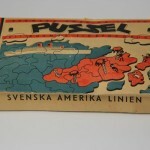 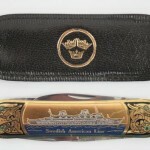 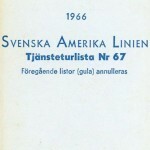 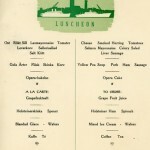 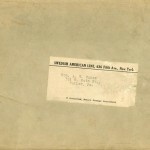 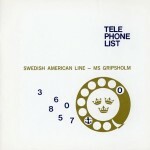 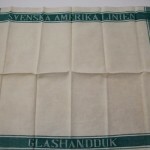 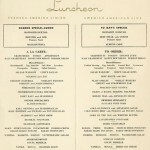 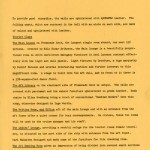 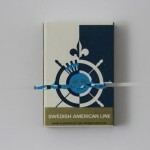 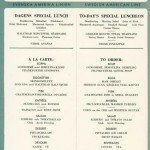 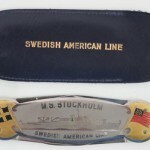 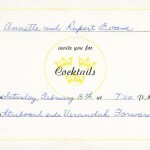 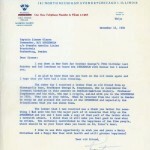 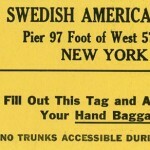 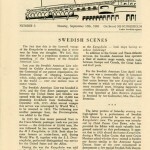 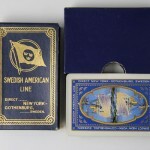 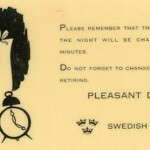 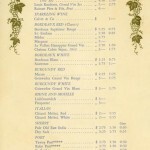 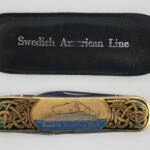 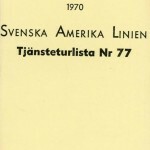 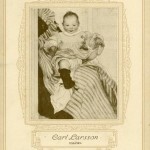 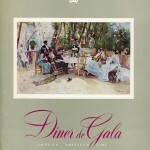 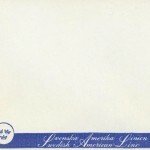 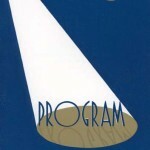 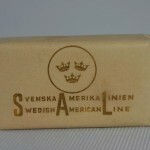 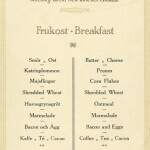 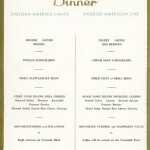 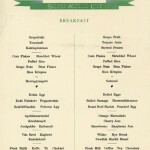 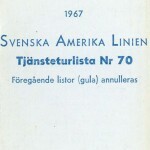 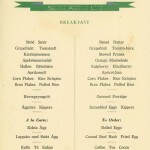 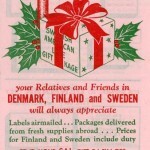 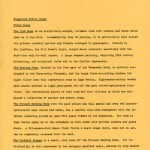 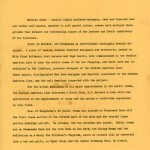 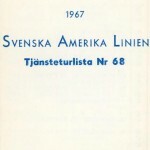 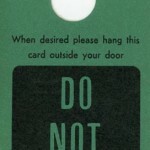 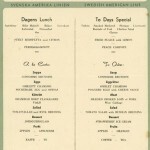 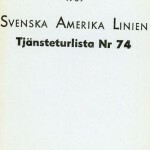 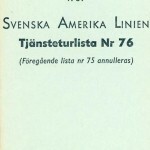 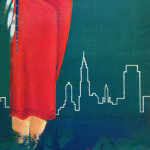 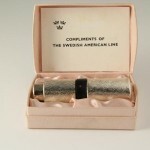 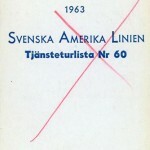 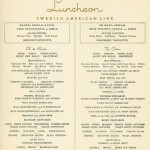 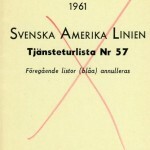 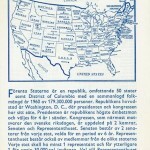 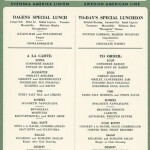 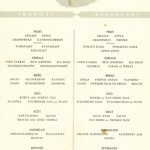 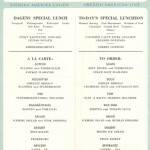 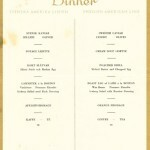 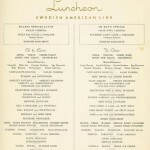 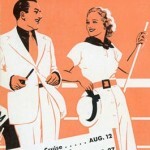 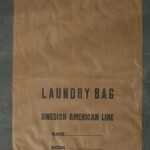 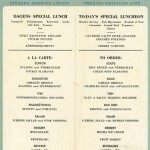 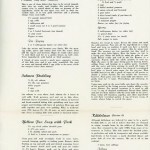 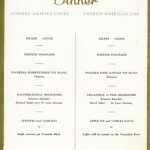 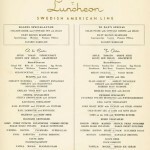 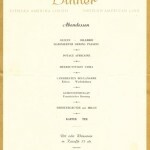 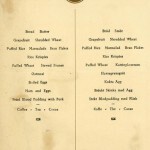 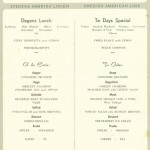 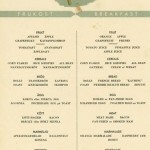 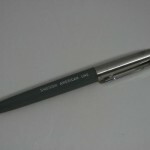 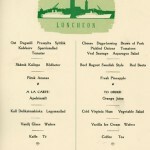 When it came to marketing and public relations, the Swedish American Line certainly were pioneers. 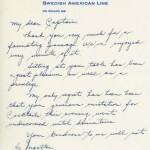 No matter if they were dealing with a large travel agency like Nordisk Resebureau in Stockholm, the big office in Chicago, or a small office somewhere in Sweden – they treated everyone with the same personal touch. 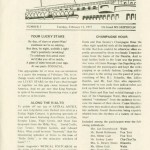 In the early 1920s the company invested a lot of effort into building a large organization around SAL to entice the travelers. 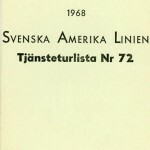 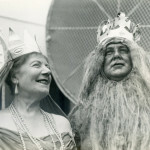 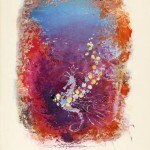 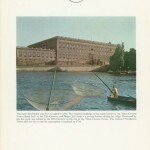 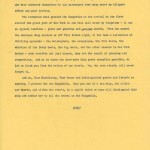 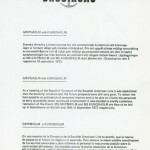 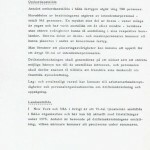 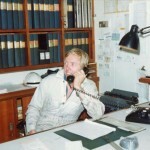 Hilmer Lundbeck became the director in New York. 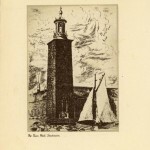 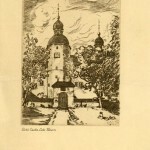 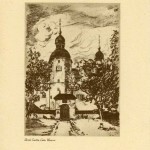 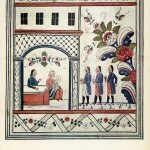 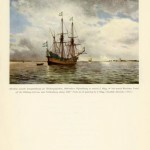 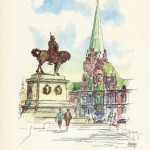 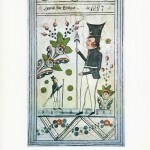 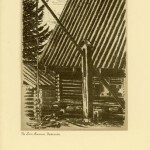 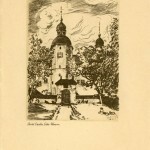 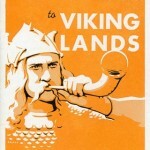 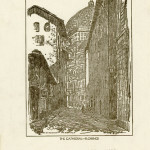 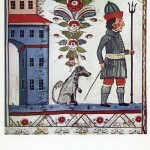 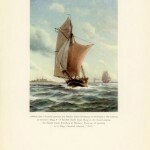 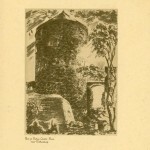 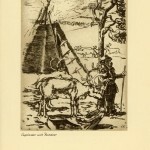 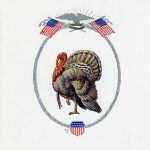 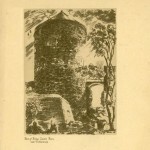 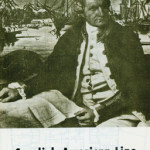 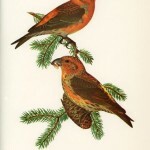 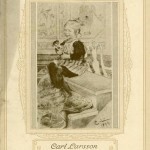 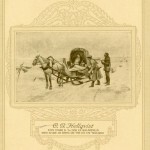 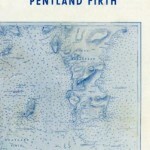 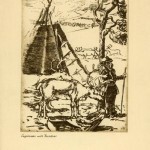 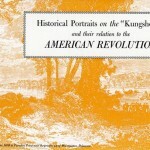 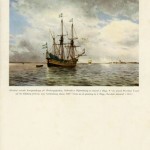 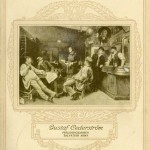 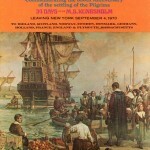 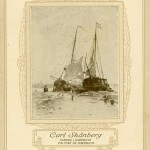 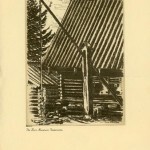 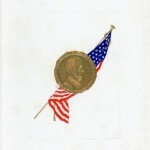 He had already established good connections with the Swedish-Americans, and helped with money transactions between the two continents. 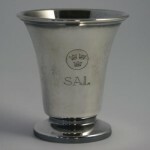 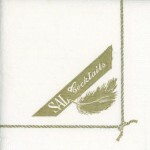 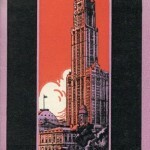 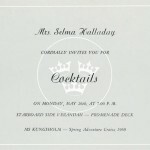 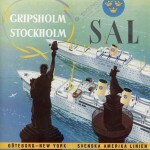 In the middle of 1920 SAL had, apart from the head office in New York, local offices or general agencies in Chicago, Minneapolis, Boston, San Francisco, Seattle, Portland, Los Angeles, Detroit, Winnipeg, Montreal, and Halifax. 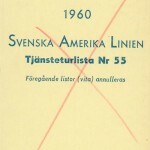 In Sweden, apart from in travel bureaus, agencies could be found in convenience stores, tobacco shops or at newspaper officies. 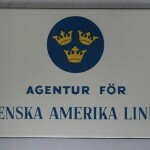 Detta inlägg postades i The agencies, Uncategorized den januari 20, 2015 av Torsten. 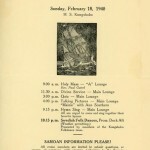 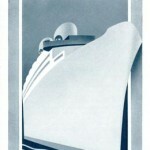 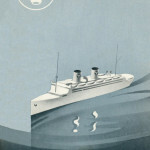 When the time came for the maiden voyage in 1915, a mere 115 tickets were sold. 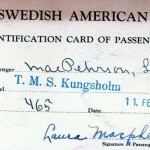 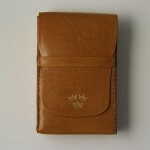 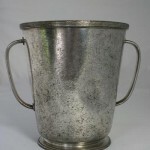 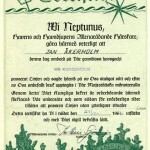 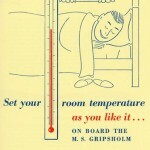 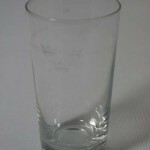 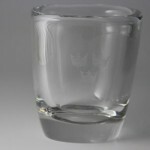 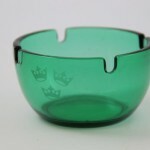 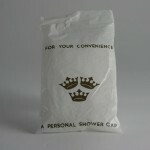 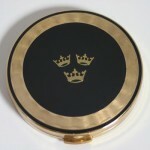 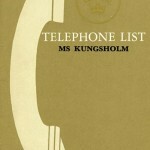 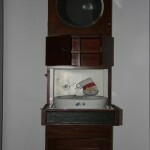 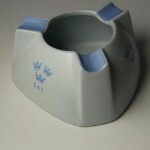 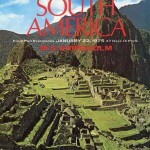 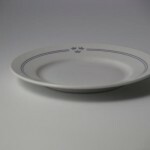 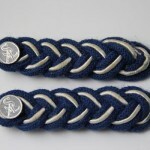 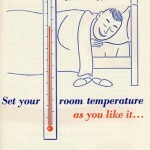 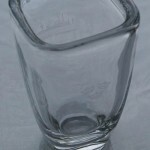 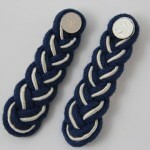 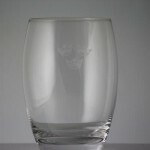 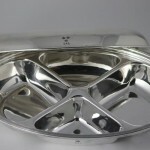 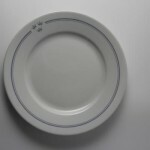 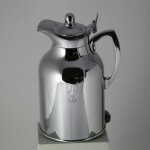 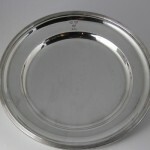 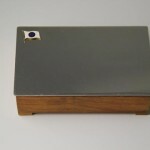 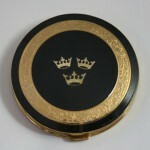 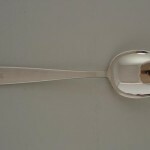 The very first person to buy one was the 28-year-old traveller Curt Bergström. 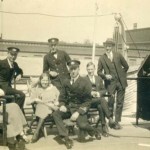 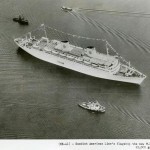 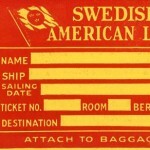 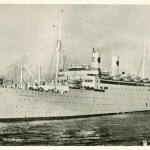 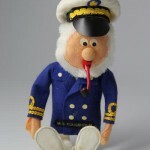 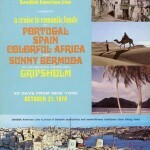 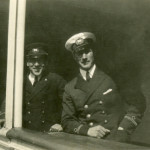 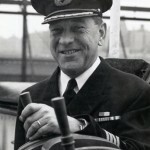 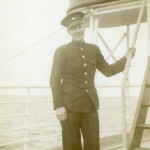 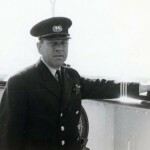 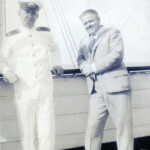 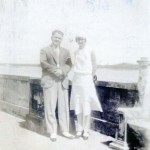 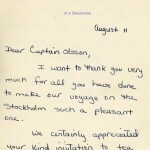 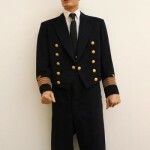 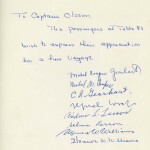 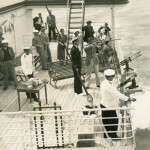 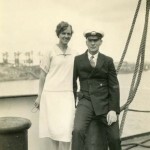 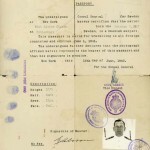 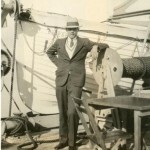 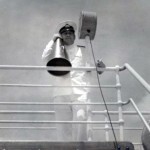 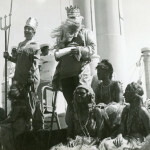 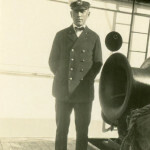 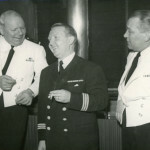 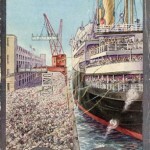 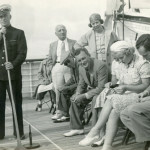 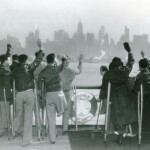 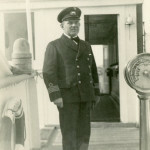 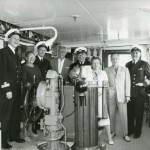 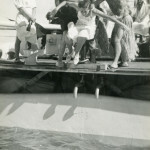 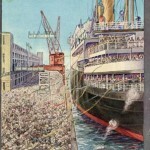 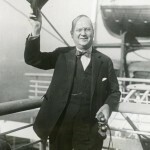 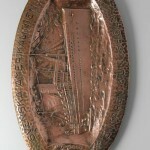 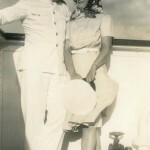 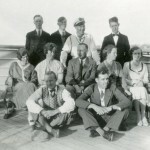 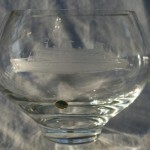 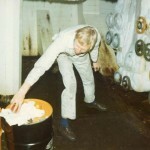 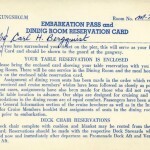 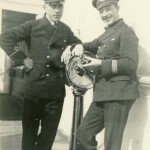 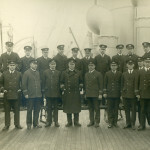 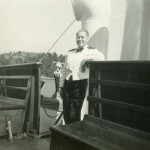 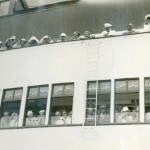 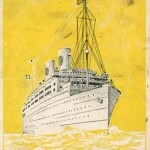 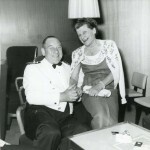 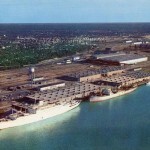 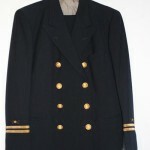 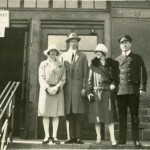 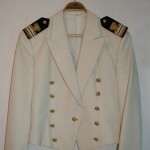 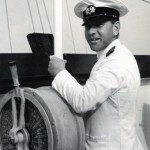 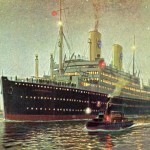 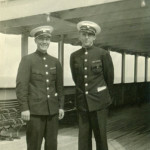 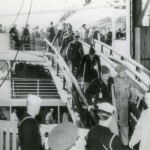 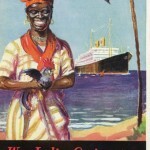 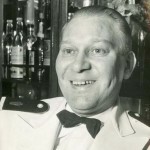 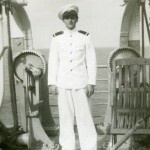 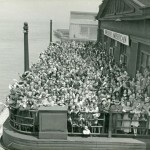 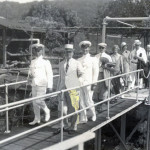 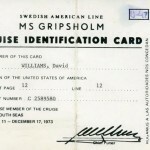 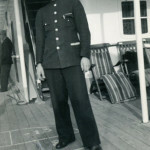 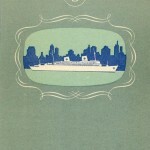 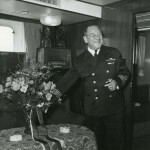 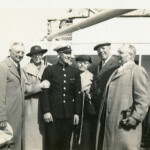 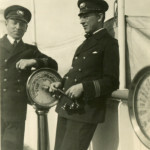 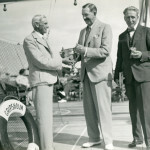 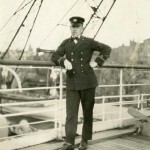 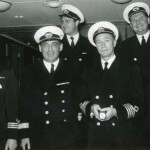 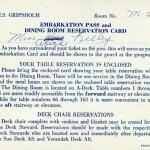 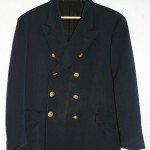 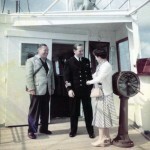 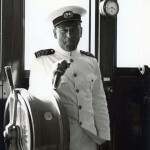 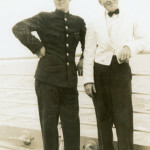 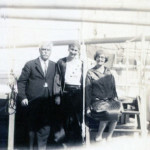 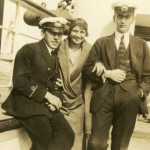 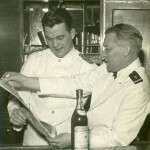 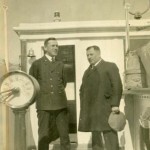 Nels B. Benson became the millionth passenger when he boarded the ship Stockholm in the New York harbor 42 years later. 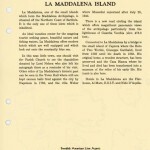 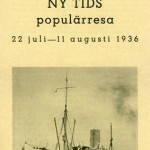 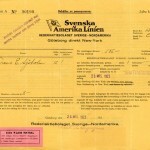 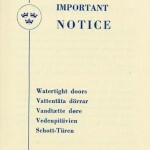 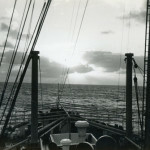 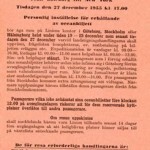 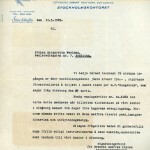 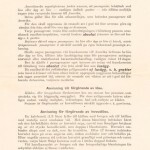 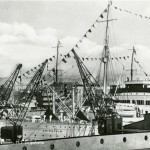 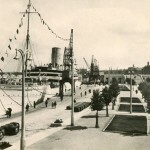 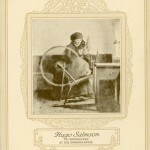 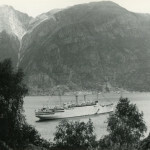 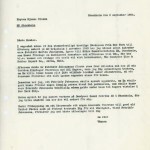 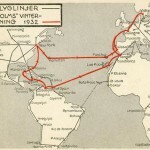 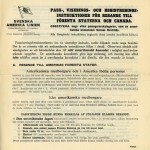 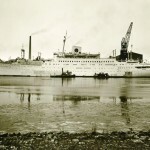 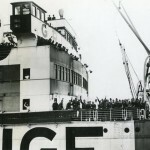 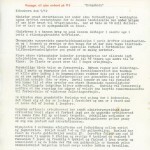 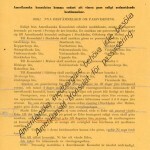 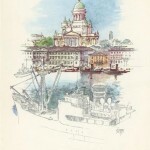 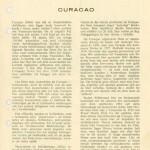 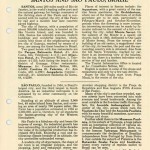 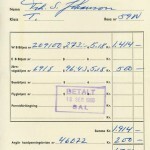 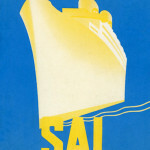 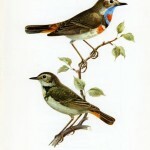 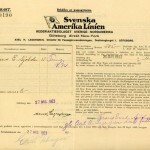 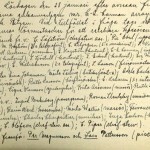 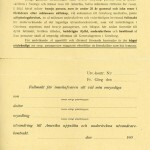 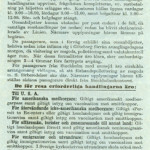 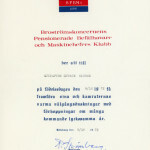 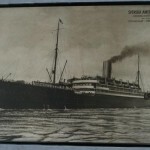 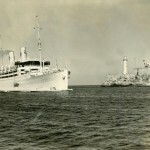 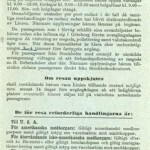 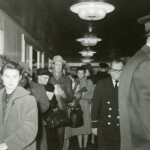 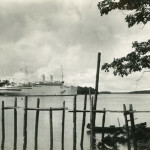 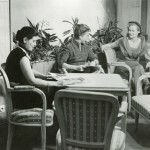 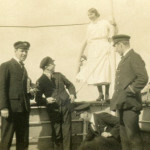 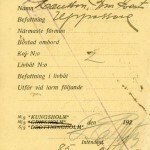 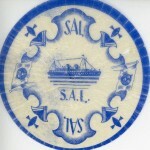 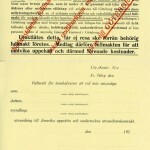 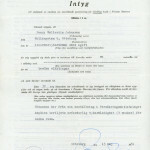 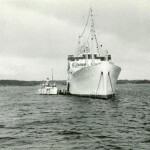 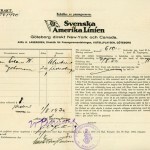 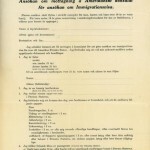 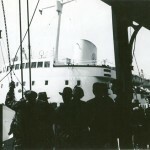 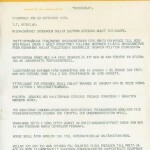 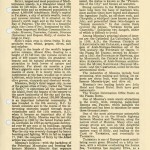 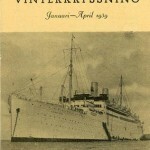 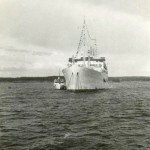 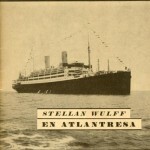 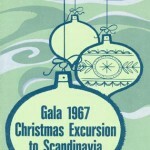 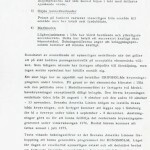 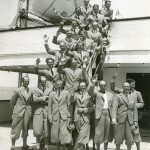 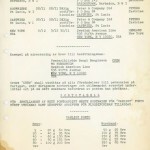 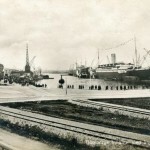 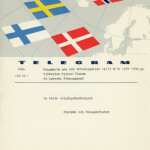 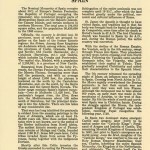 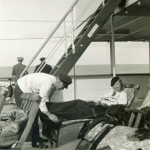 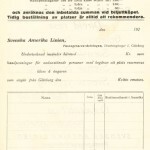 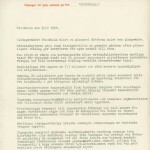 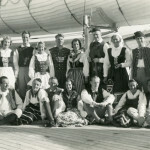 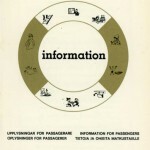 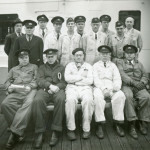 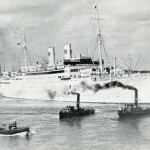 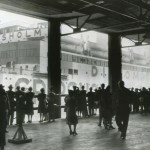 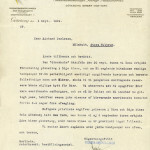 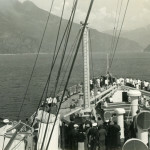 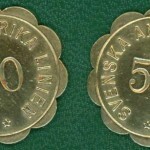 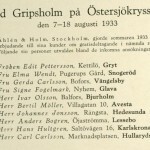 Emigrants: Numerous emigrants, mainly from Sweden, but also a significant amount from Finland, were transported during the first 15 years that SAL were in operation. 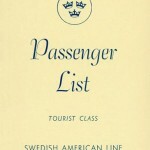 The number of passengers in this category did however drastically decline when the American government changed their immigrant quota. 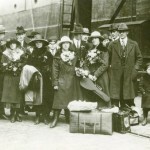 This change nearly coincided with the depression, and after that, hardly anyone emigrated anymore. 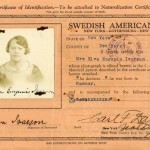 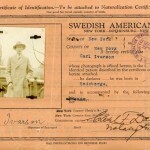 Returning emigrants: Almost a fifth of the Swedes who emigrated to North America did eventually return to Sweden. 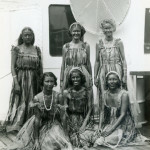 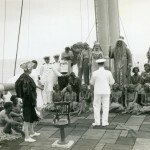 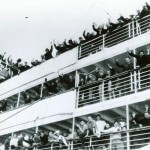 A vast number of these people went back home on a SAL ship. 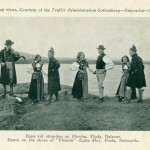 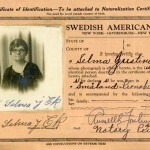 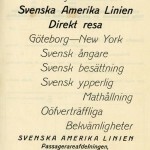 Family travels: The direct line between Sweden and the USA made it easy for Swedes to visit family in North America, as well as for Swedish-Americans to come over to their home country. 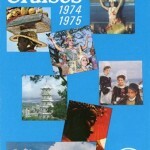 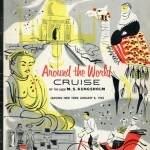 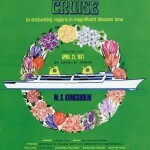 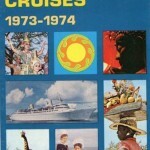 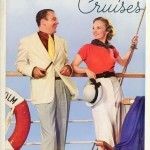 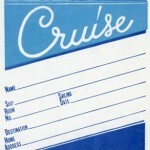 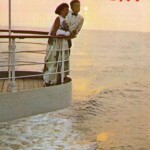 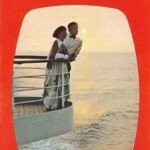 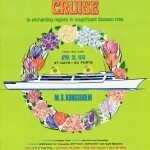 Cruises: Incomparably, the largest category of passengers was represented by Americans going on cruises. 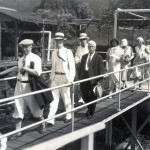 Tourists: Many people combined visiting relatives over there with sightseeing, and thus got to see places they had previously only dreamed about. 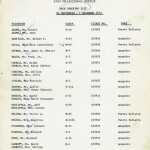 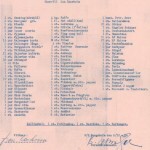 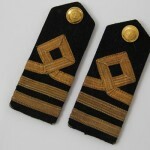 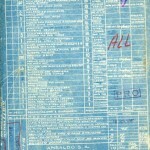 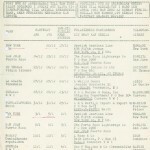 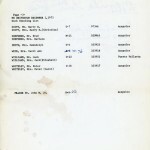 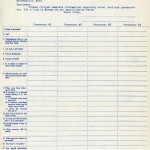 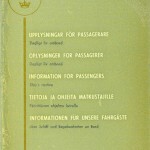 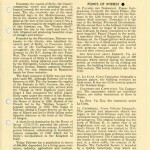 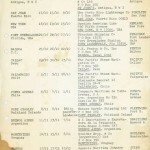 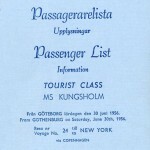 Diplomats: Diplomats were regularly found in the passenger lists before it became more common to travel by airplane. 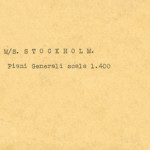 Those found are mostly Swedish and Finnish diplomat names, though a significant part are, surprisingly enough, Russian, or Soviet as it was called back then. 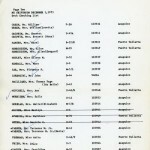 Apart from embassy personnel, there were also people who worked for the UN in New York. 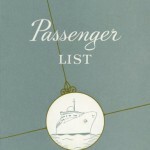 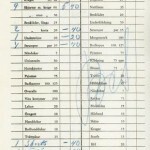 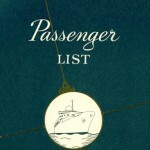 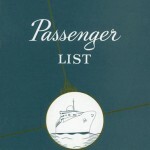 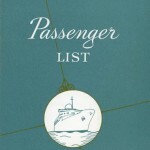 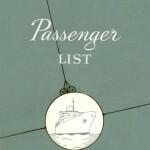 Celebrities: It is always interesting to find celebrities in the passenger lists. 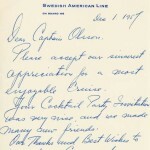 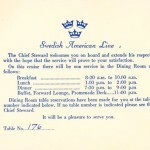 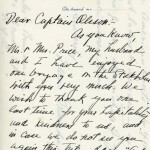 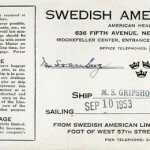 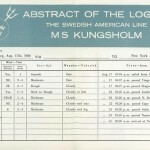 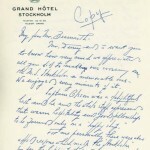 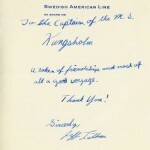 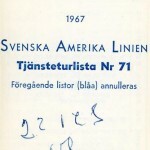 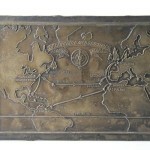 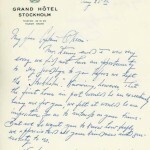 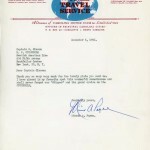 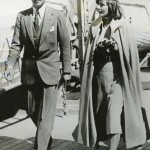 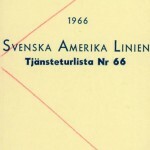 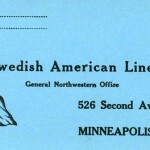 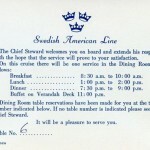 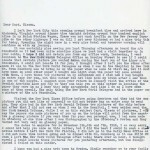 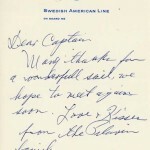 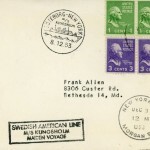 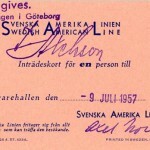 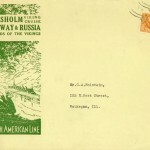 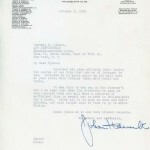 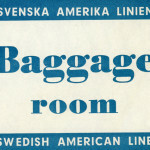 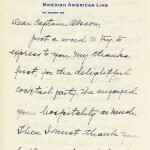 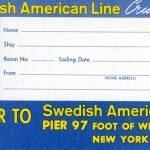 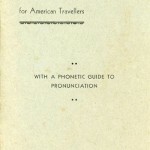 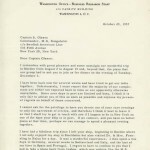 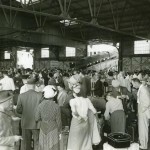 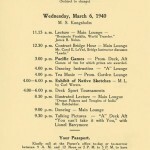 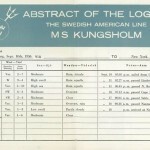 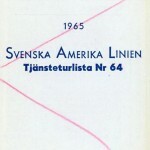 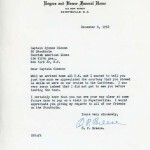 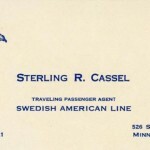 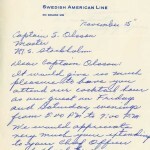 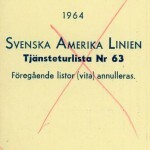 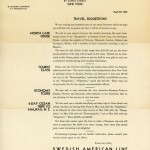 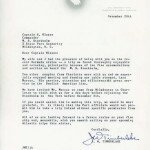 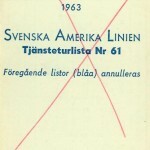 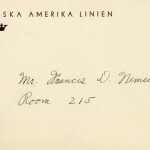 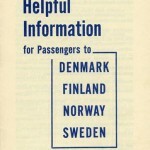 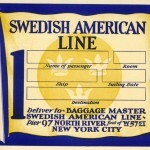 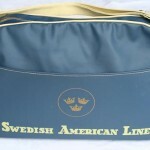 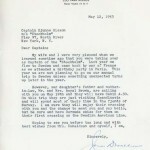 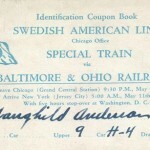 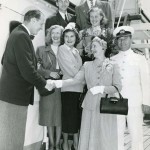 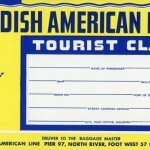 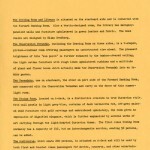 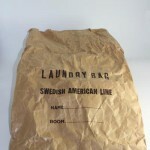 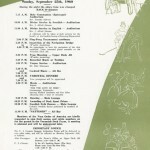 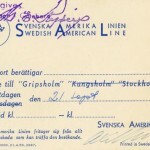 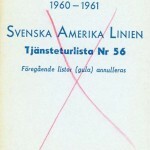 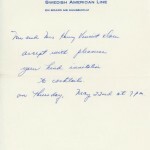 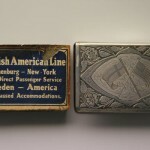 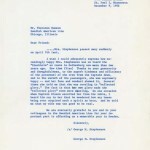 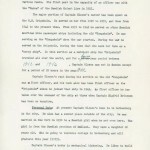 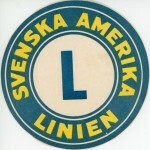 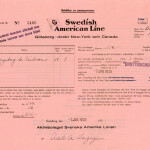 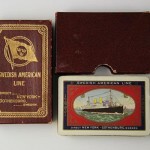 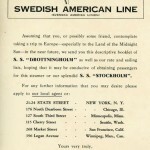 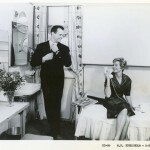 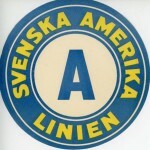 The use of the Swedish American Line for travels to, and from, North America was a completely natural occurrence among movie stars, athletes, and other famous people. 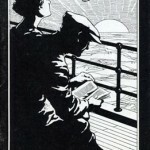 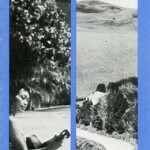 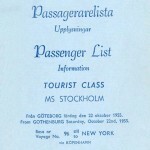 Detta inlägg postades i The passengers, Uncategorized den januari 20, 2015 av Torsten. 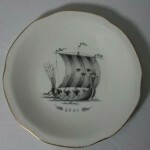 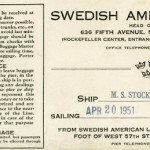 The ships did not only carry passengers and staff on their journeys between Sweden and America and to other exotic places all over the world. 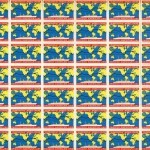 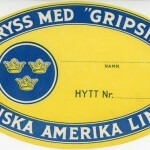 Tons of luggage decorated with beautiful, bright colored, SAL stickers went along across the world. 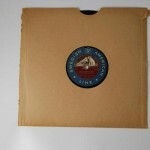 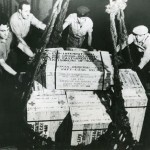 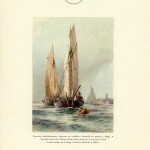 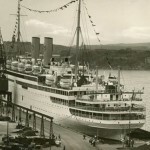 In this context we also have to mention the mail and package deliveries; a very profitable business for the company, which the British shipping companies previously had monopoly on. 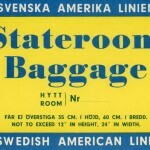 Detta inlägg postades i The luggage, Uncategorized den januari 20, 2015 av Torsten. 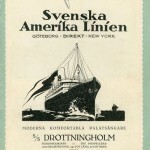 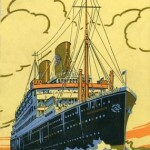 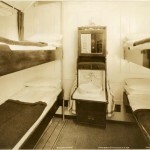 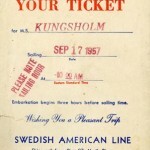 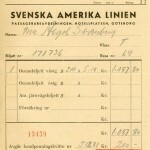 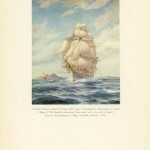 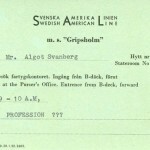 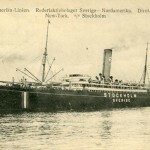 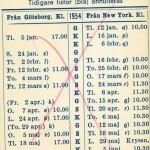 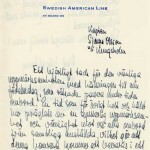 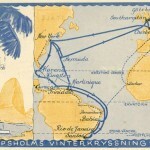 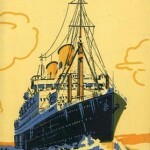 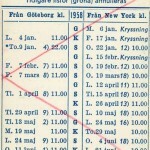 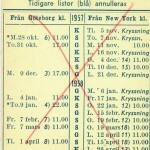 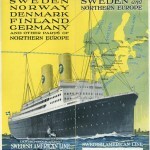 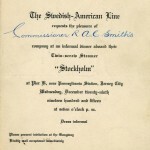 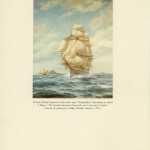 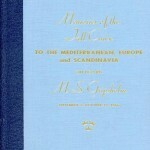 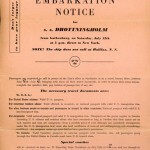 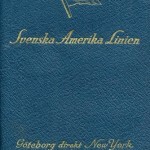 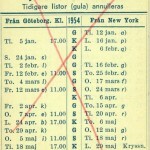 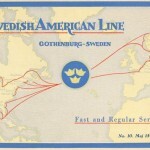 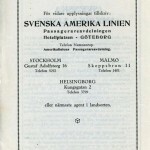 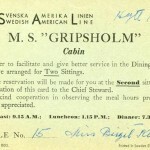 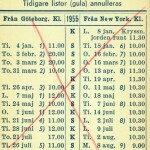 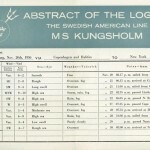 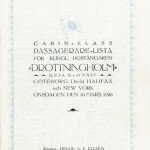 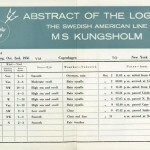 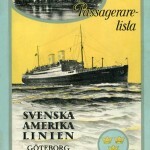 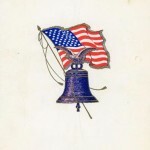 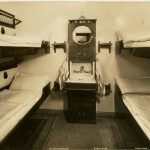 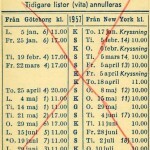 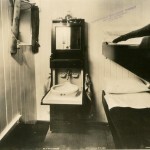 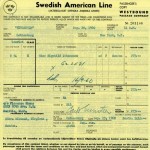 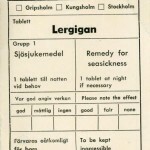 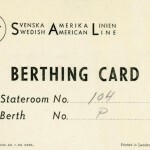 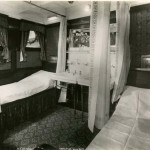 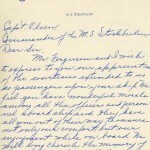 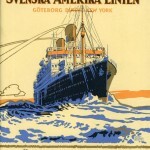 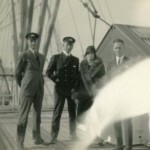 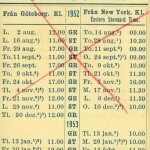 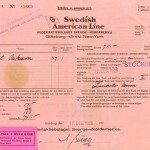 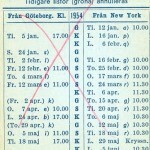 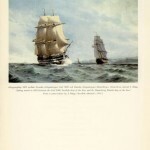 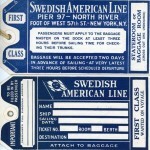 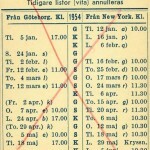 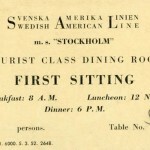 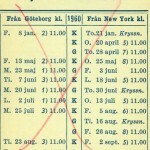 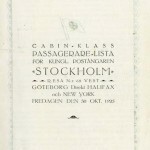 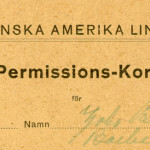 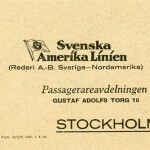 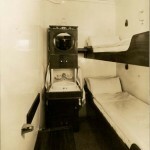 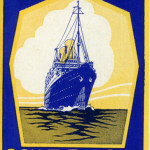 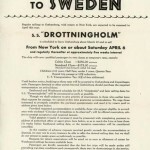 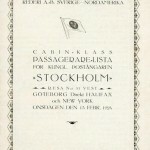 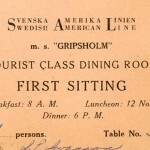 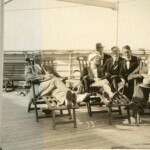 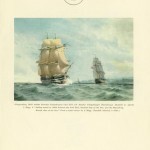 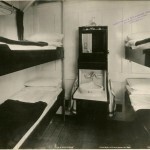 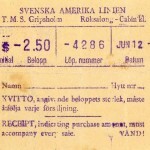 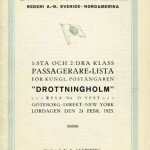 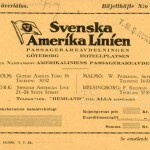 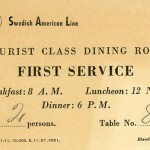 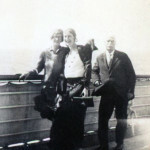 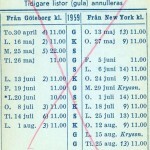 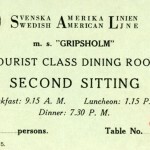 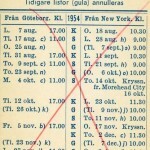 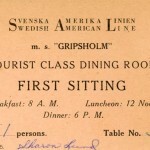 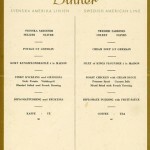 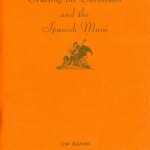 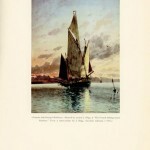 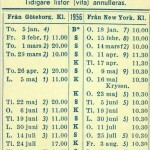 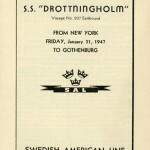 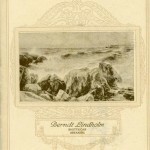 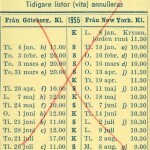 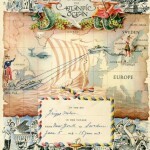 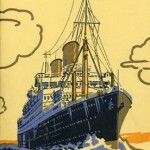 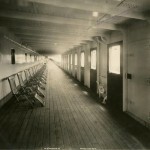 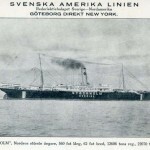 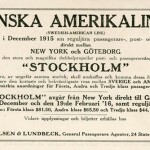 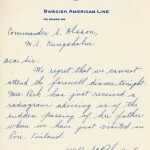 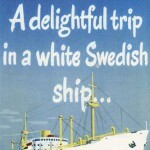 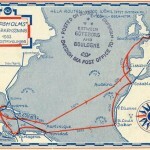 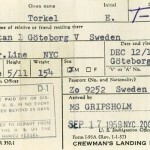 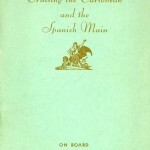 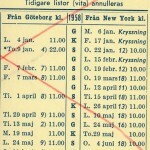 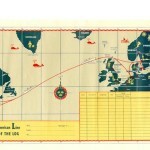 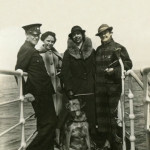 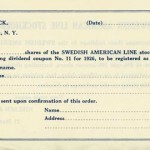 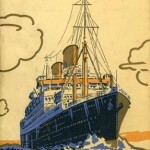 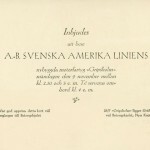 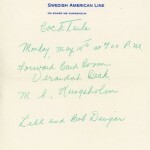 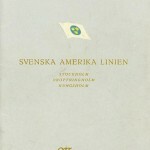 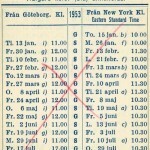 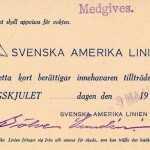 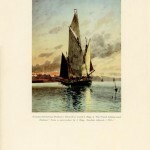 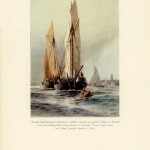 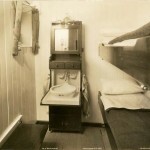 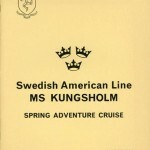 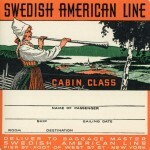 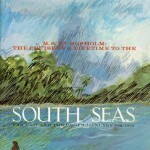 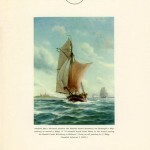 Travelling with the Swedish American Line must have been an unique experience, especially for the individuals who, in earlier days, had to cross the erratic Atlantic Ocean, on overcrowded ships, during the peak of emigration. 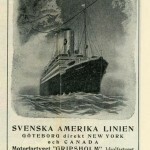 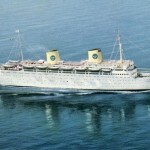 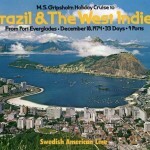 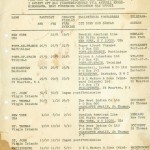 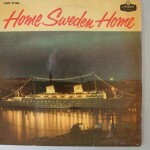 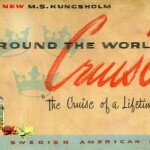 There were big differences between the regular traffic between Sweden and America, and all the various cruises. 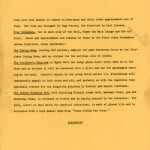 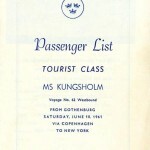 With that in mind, I decided to focus on the first category of travels in this text. 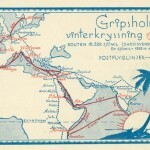 The trip between the continents usually took about a week, but depending on the weather, it could take as long as twelve days. 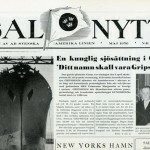 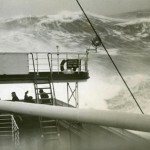 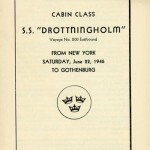 This is what happened on the last journey that the ship Drottningholm made to New York, in February 1948, since they were caught in bad weather which lasted all the way. 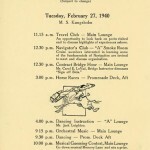 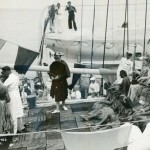 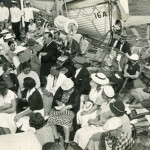 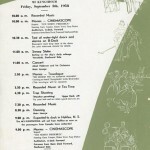 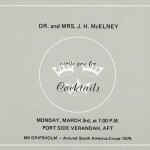 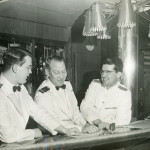 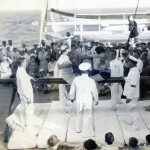 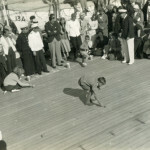 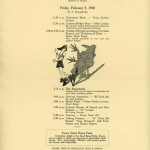 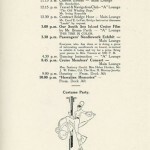 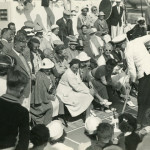 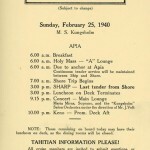 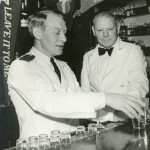 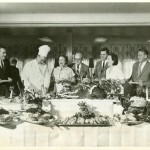 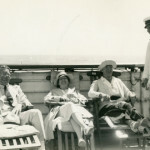 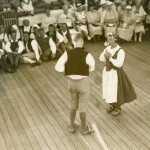 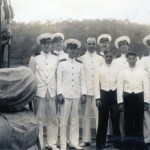 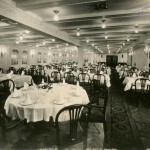 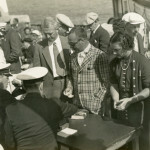 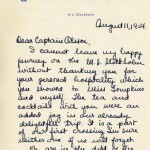 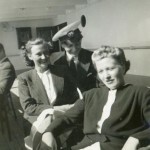 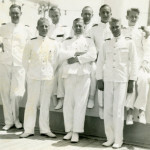 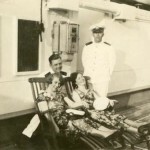 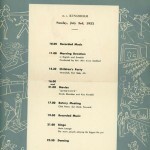 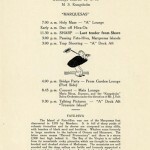 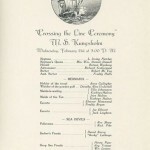 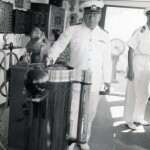 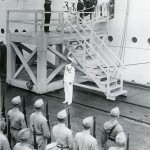 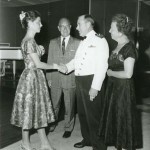 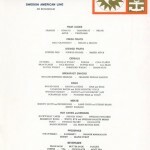 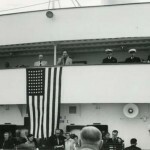 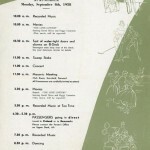 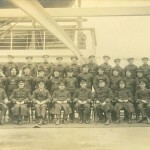 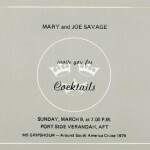 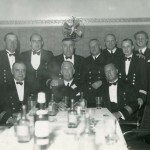 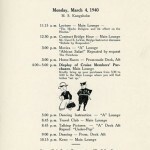 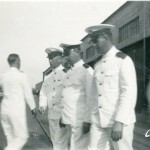 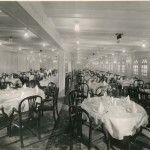 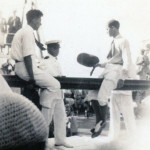 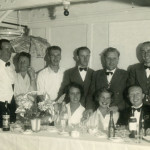 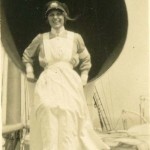 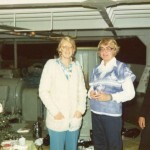 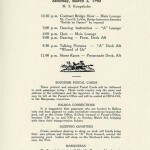 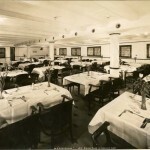 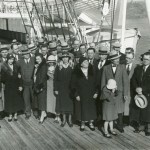 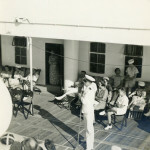 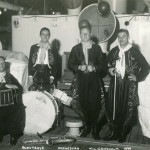 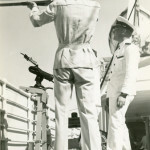 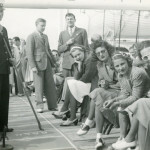 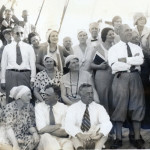 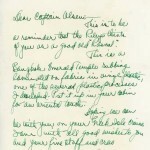 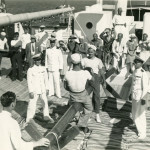 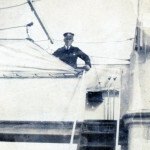 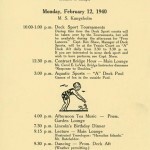 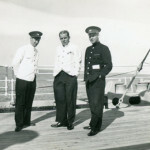 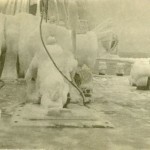 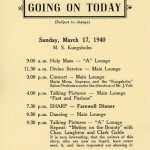 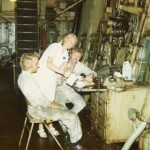 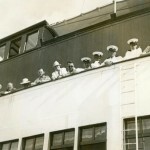 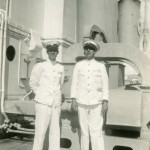 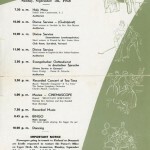 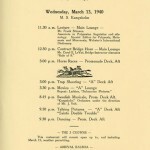 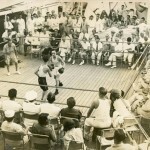 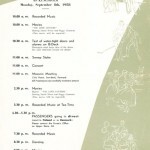 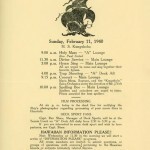 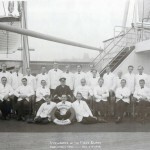 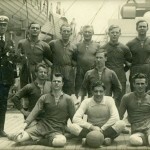 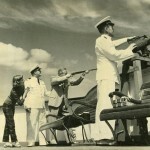 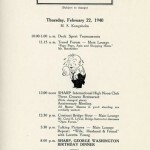 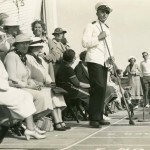 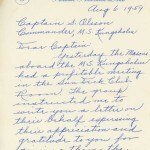 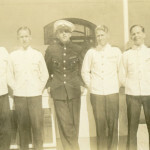 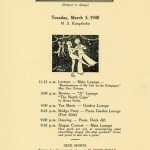 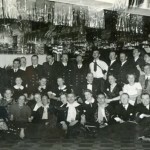 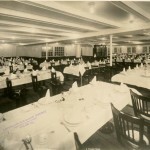 In addition to the service, the food, and the weather, people often spoke about all the different activities which were arranged by the staff aboard the ships. 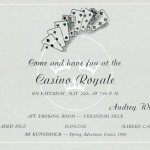 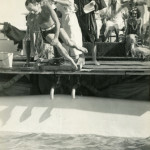 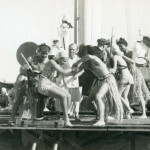 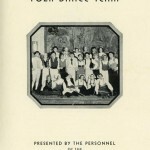 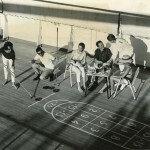 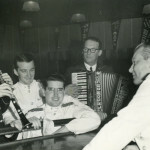 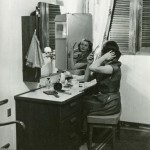 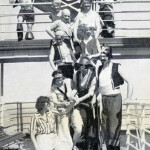 The crew used to organize various games, show something interesting in the cinema, arrange dance evenings, hire performance artists, and sometimes the staff even set up their own show for excited passengers. 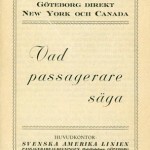 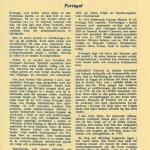 Detta inlägg postades i The voyage, Uncategorized den januari 20, 2015 av Torsten. 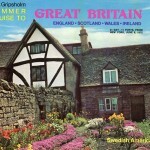 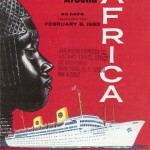 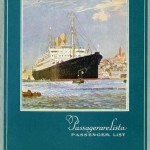 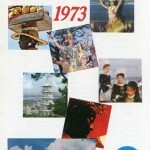 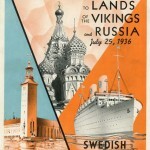 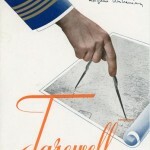 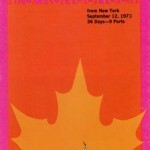 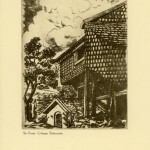 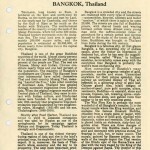 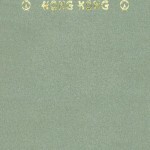 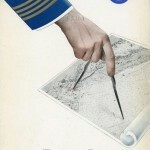 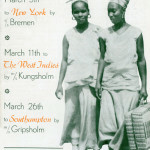 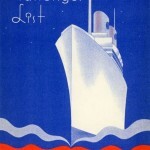 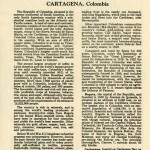 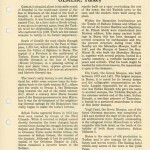 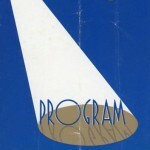 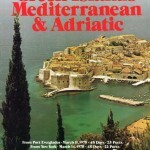 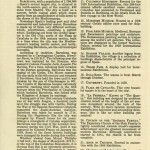 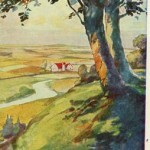 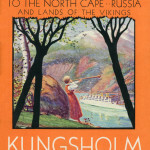 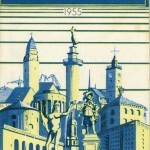 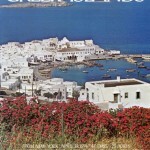 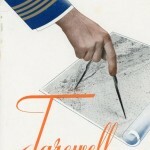 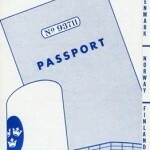 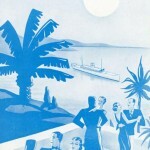 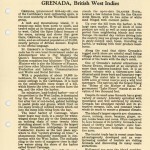 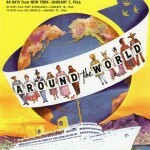 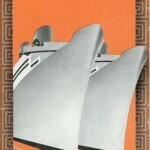 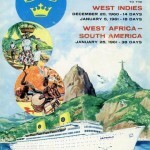 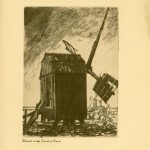 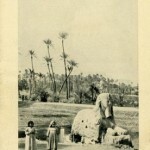 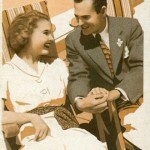 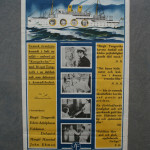 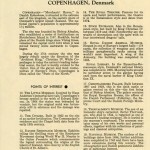 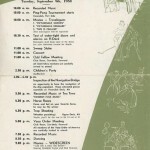 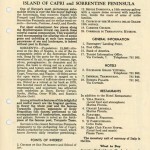 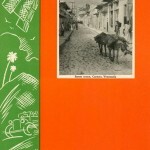 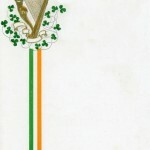 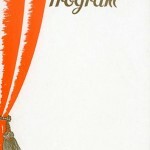 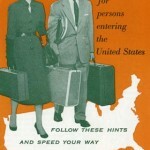 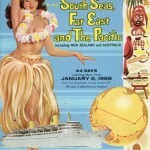 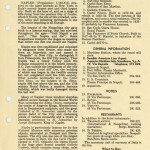 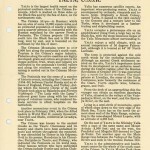 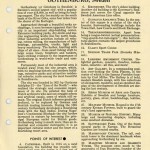 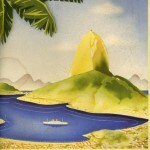 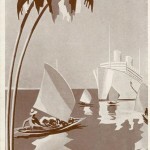 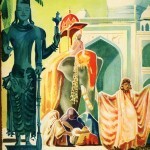 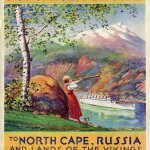 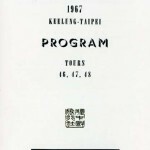 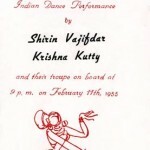 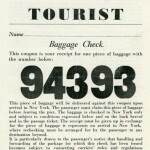 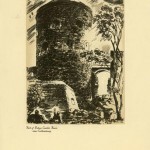 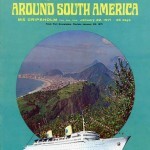 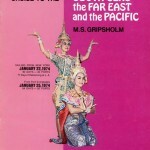 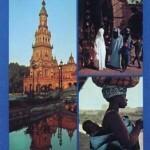 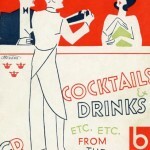 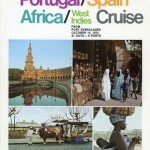 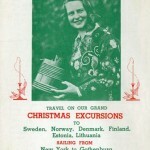 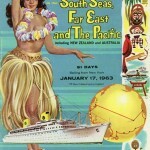 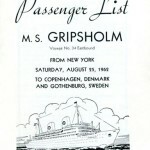 Countless amounts of enticing, colorful brochures, price lists, and other types of promotional material were produced and sent out to interested emigrants as well as other travellers before they decided to buy a ticket. 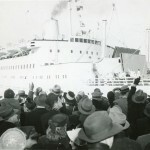 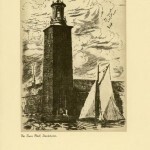 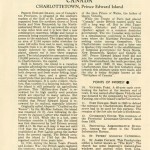 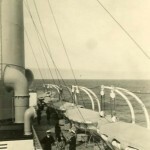 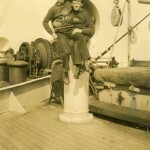 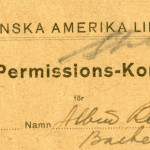 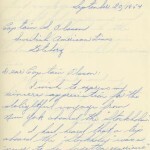 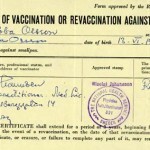 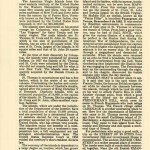 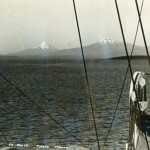 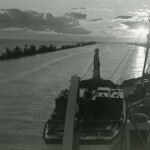 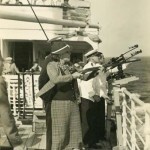 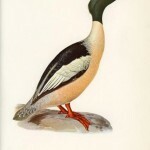 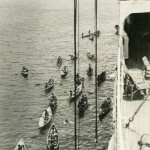 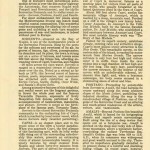 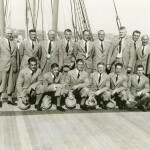 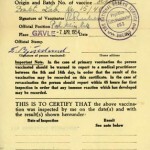 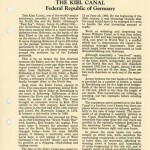 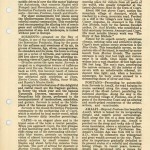 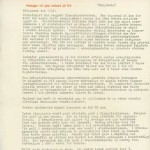 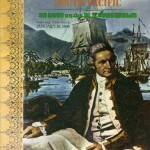 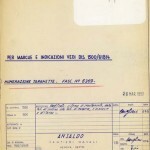 In addition, they also got information about custom regulations, emigration laws, regulations concerning vaccinations, formalities surrounding docking, and other necessities. 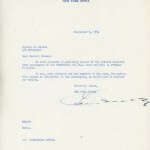 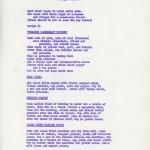 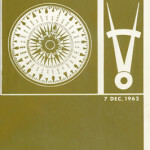 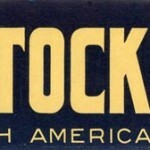 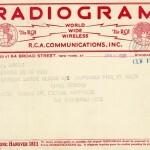 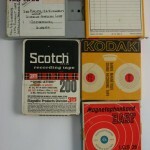 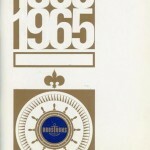 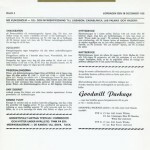 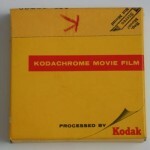 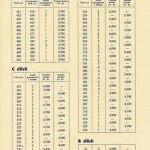 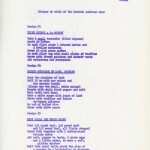 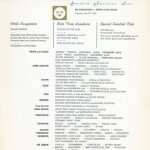 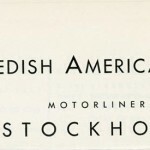 All of which held the well-known logotype. 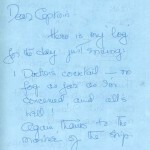 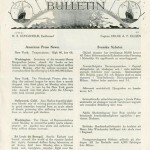 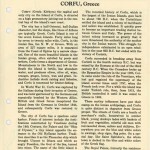 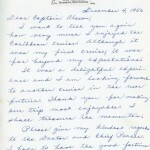 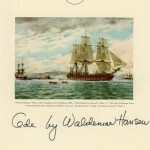 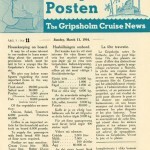 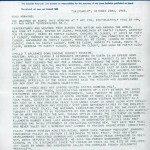 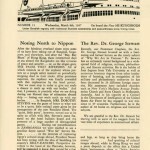 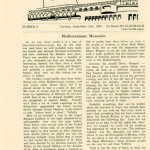 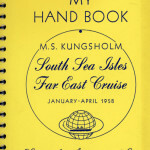 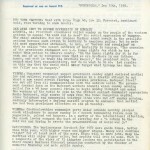 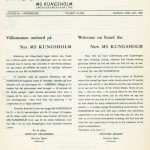 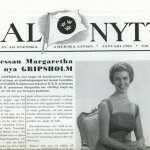 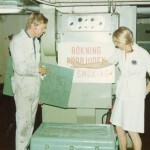 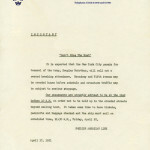 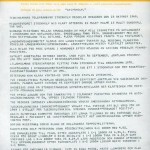 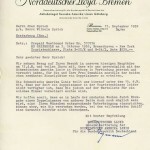 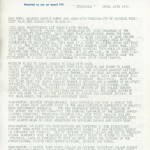 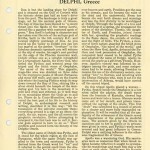 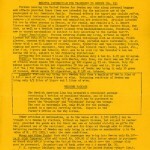 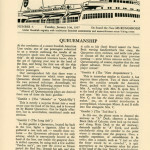 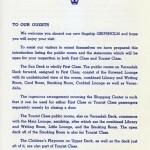 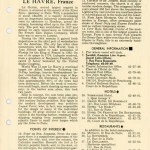 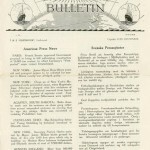 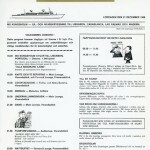 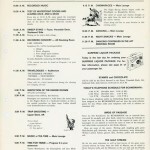 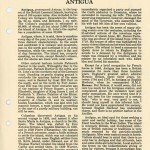 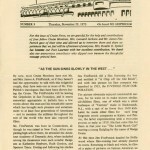 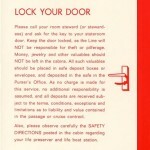 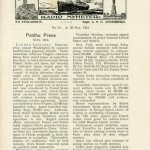 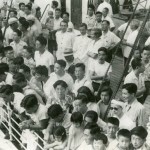 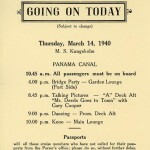 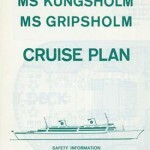 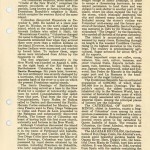 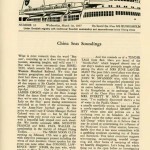 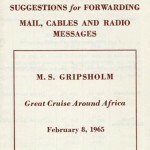 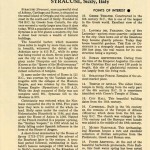 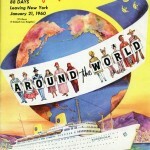 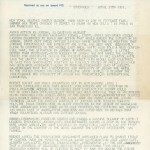 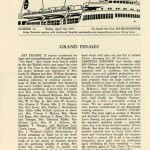 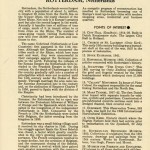 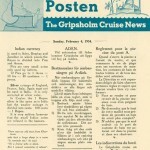 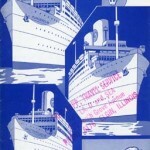 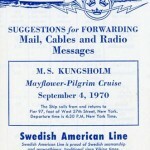 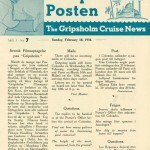 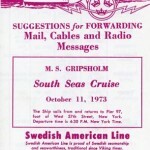 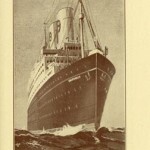 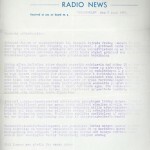 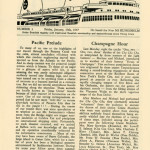 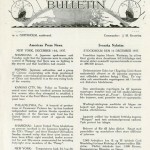 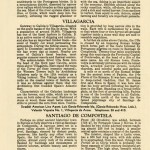 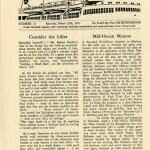 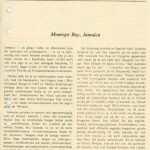 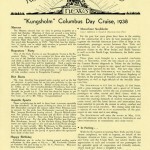 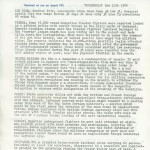 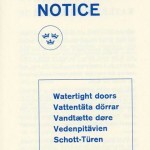 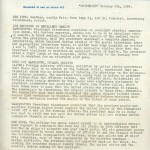 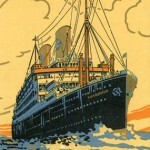 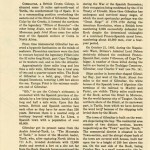 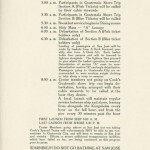 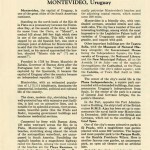 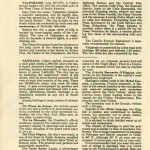 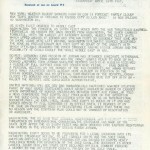 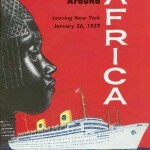 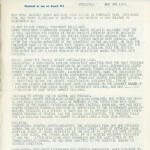 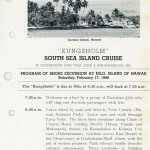 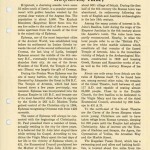 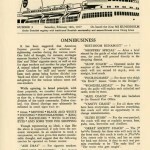 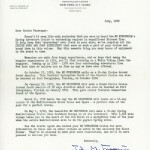 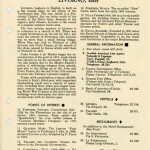 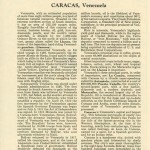 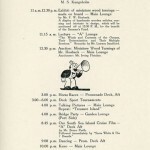 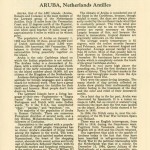 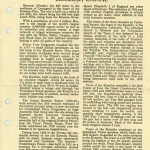 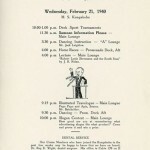 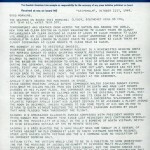 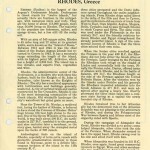 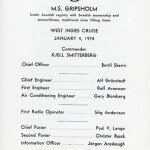 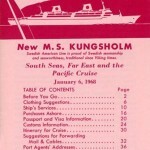 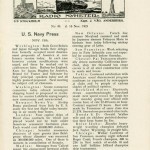 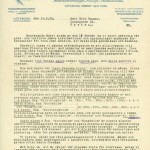 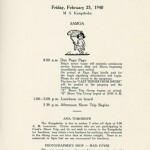 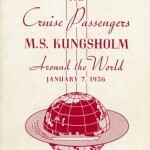 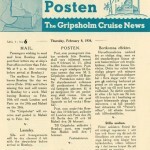 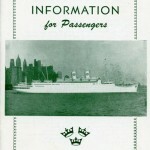 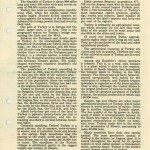 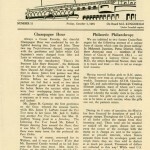 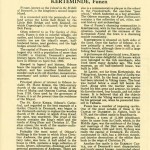 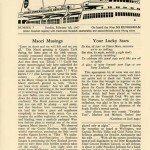 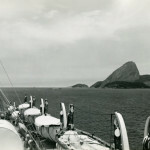 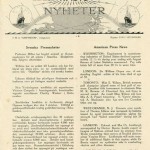 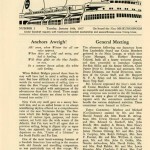 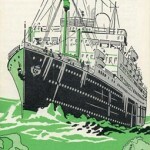 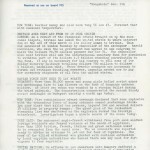 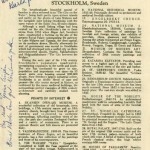 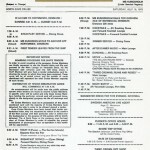 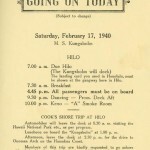 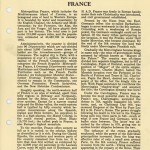 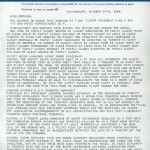 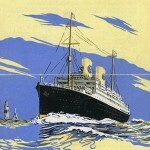 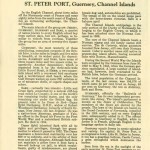 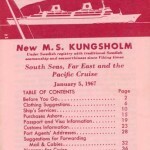 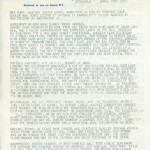 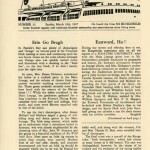 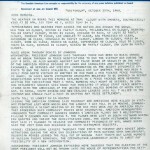 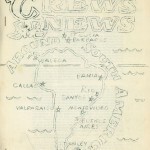 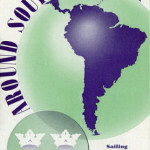 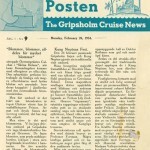 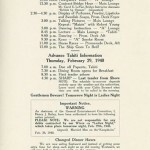 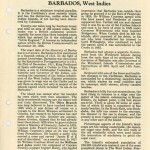 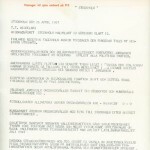 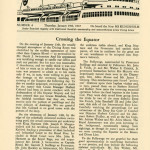 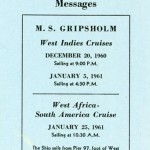 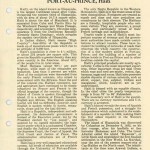 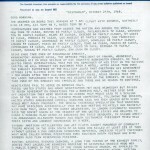 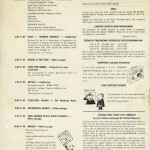 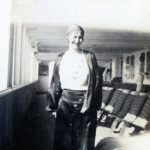 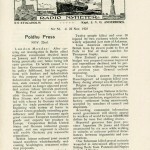 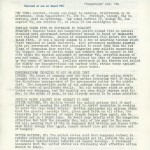 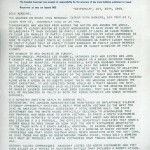 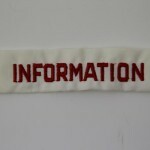 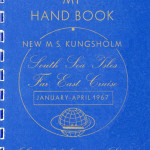 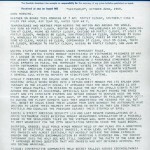 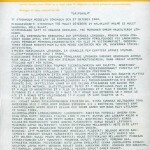 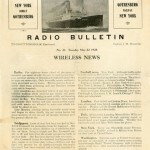 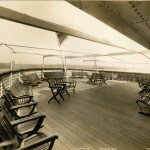 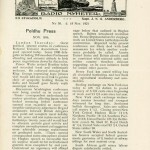 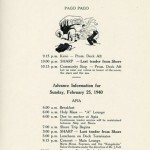 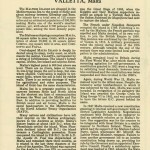 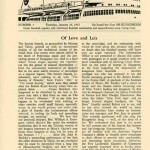 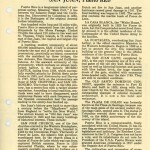 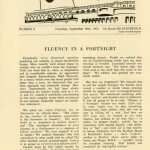 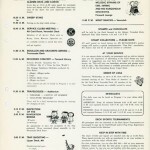 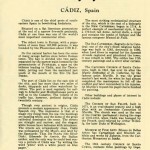 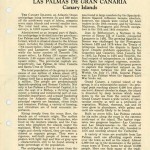 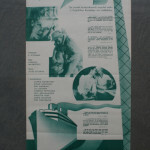 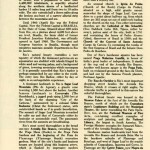 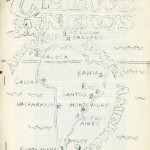 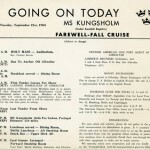 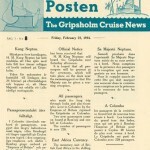 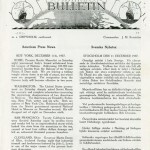 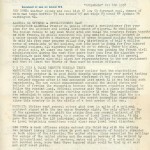 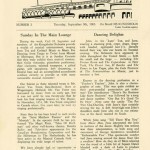 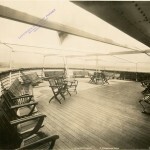 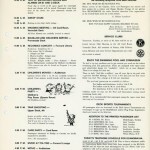 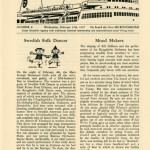 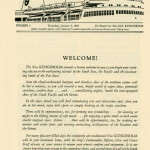 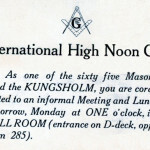 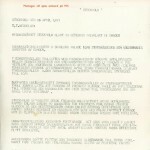 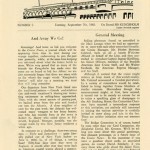 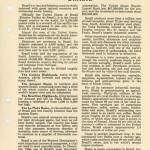 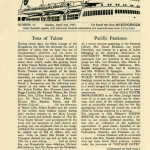 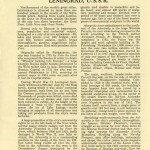 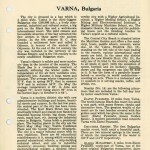 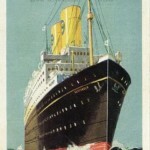 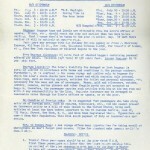 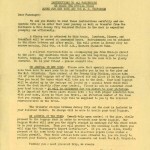 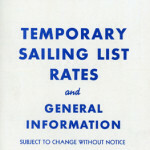 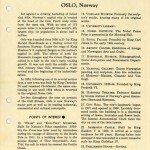 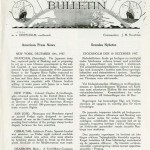 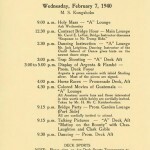 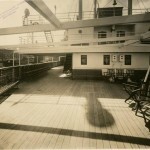 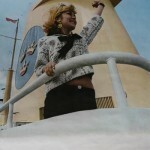 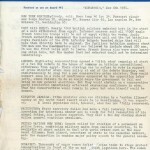 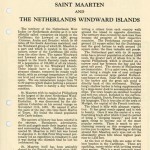 Once aboard, the passengers did not only get information concerning the activities on the ship, they were also given news from all around the world. 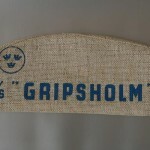 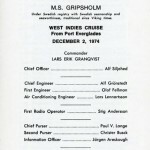 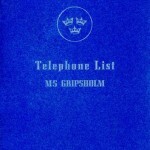 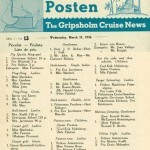 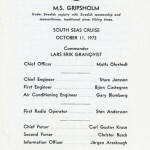 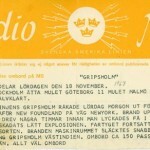 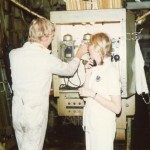 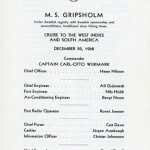 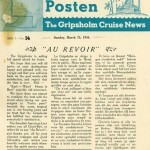 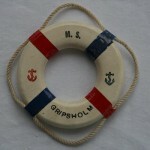 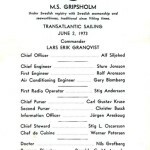 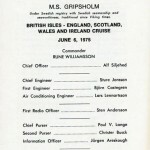 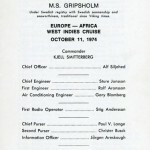 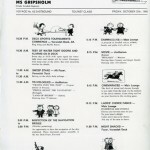 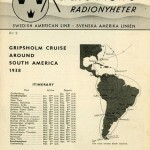 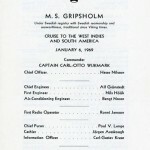 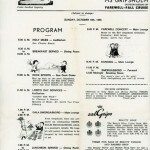 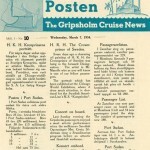 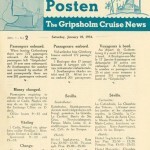 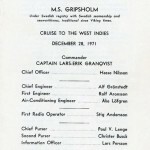 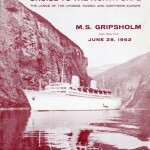 Every ship had access to Radio News, The Gripsholm newspaper, SAL news, Going on today, or something similar. 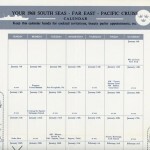 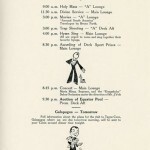 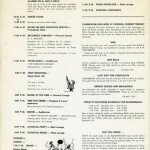 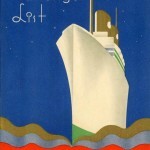 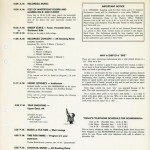 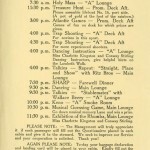 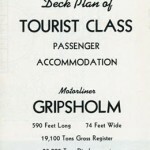 On cruises they also had something called “Port Highlights” where the passengers were briefed about every port they docked at. 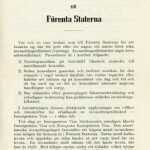 Detta inlägg postades i The information, Uncategorized den januari 20, 2015 av Torsten. 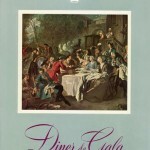 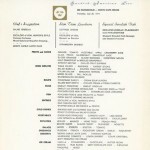 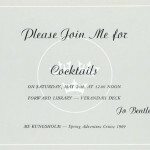 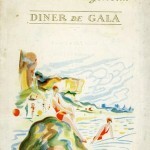 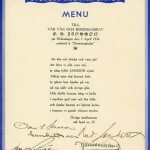 Once you read the menus, is not hard to understand why the food and beverages were described with such details, and with such positive remarks. 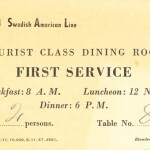 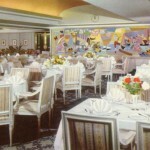 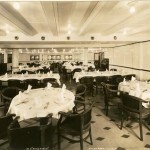 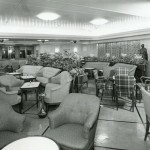 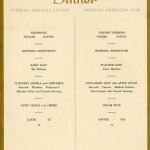 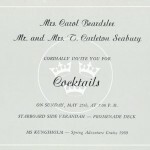 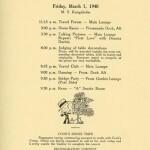 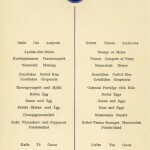 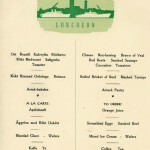 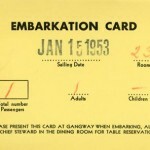 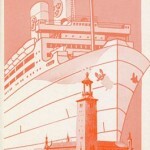 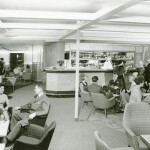 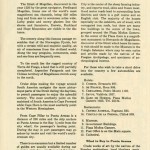 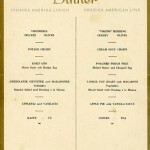 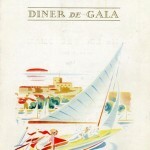 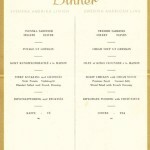 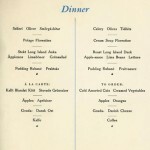 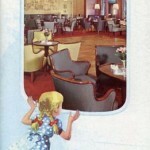 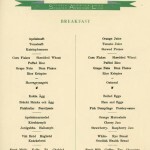 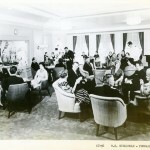 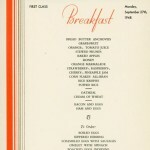 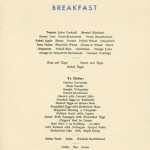 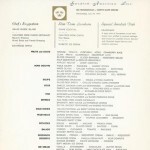 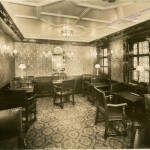 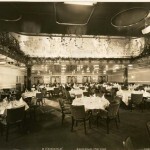 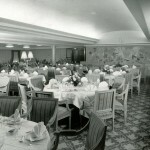 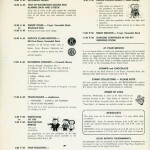 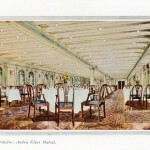 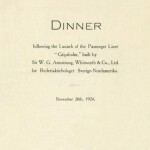 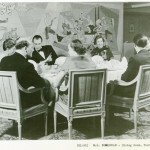 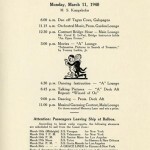 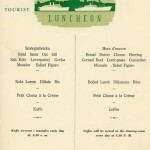 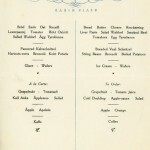 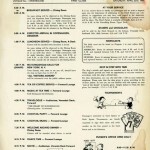 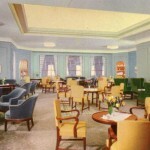 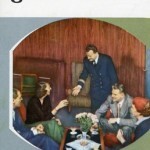 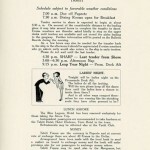 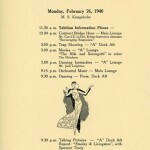 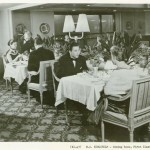 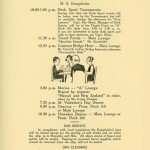 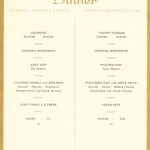 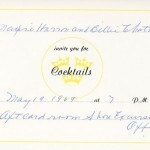 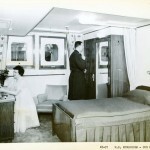 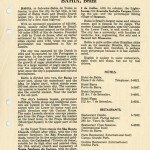 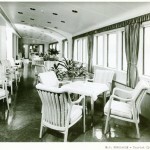 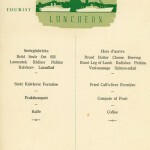 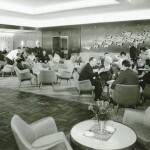 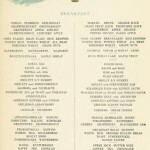 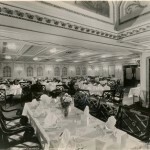 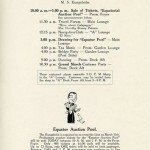 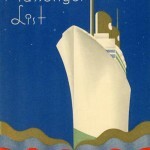 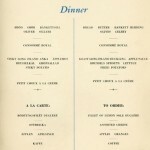 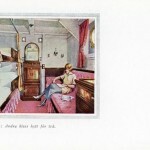 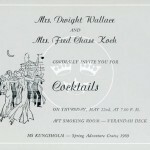 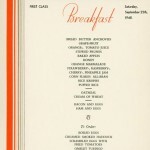 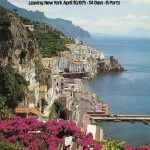 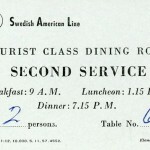 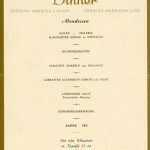 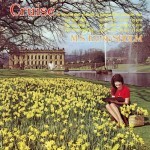 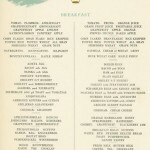 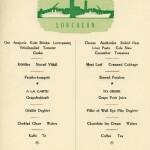 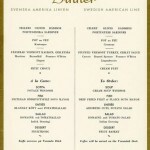 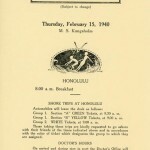 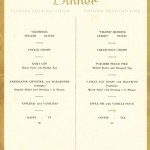 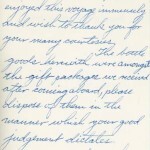 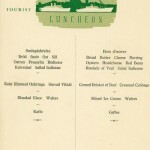 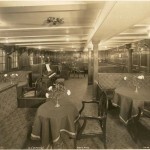 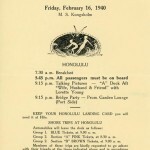 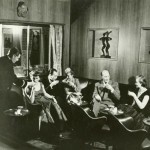 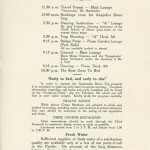 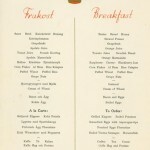 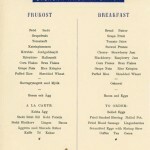 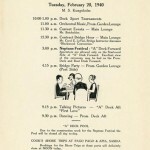 The passengers were served breakfast, morning snacks, lunch, afternoon tea, dinner, and then an evening buffet. 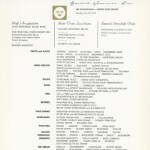 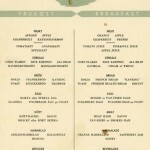 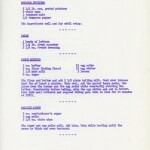 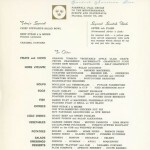 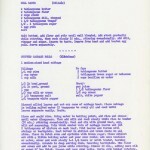 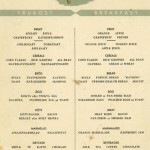 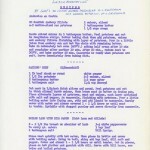 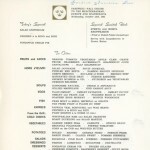 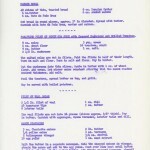 These meals were very appreciated and no requests were considered to be impossible. 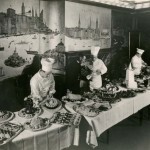 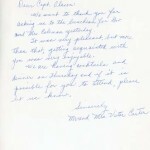 It is astounding that the kitchen personnel managed to grant every wish. 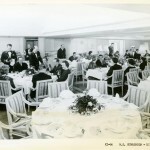 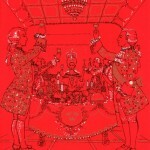 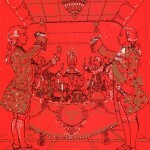 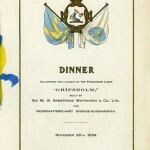 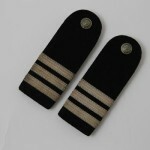 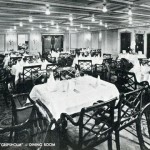 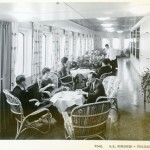 The setting was pretty formal, especially in first class where the officers acted as hosts at certain tables. 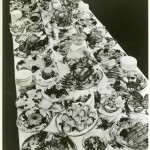 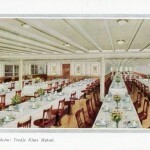 “Farewell dinners” were particularly festive, and an opportunity for the kitchen to shine with exquisite dishes and various other set-ups. 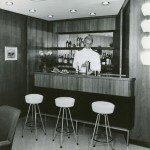 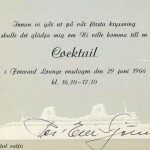 The bar service was no exception, offering products of the very highest quality in a pleasant atmosphere during the many cruise cocktail partys. Detta inlägg postades i The bar, the restaurant & the kitchen, Uncategorized den januari 20, 2015 av Torsten. 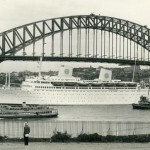 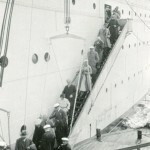 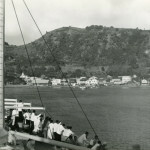 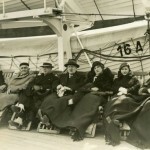 The significant part of all emigration went into decline in1929, and the number of passengers on the ships during the winter months reached an all-time low. 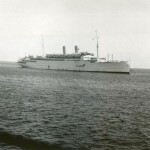 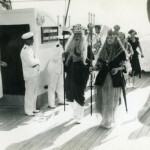 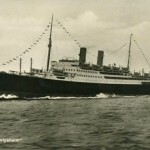 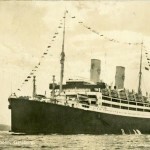 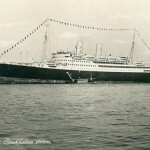 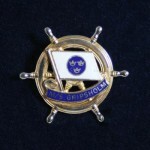 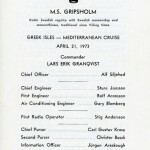 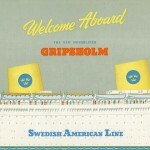 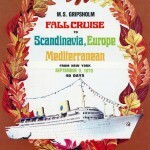 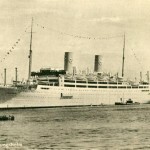 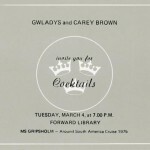 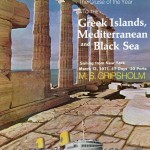 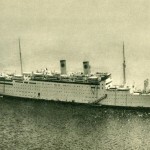 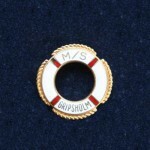 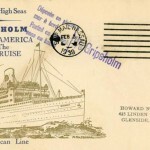 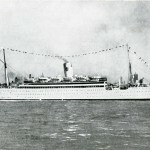 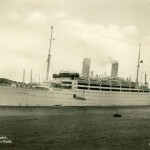 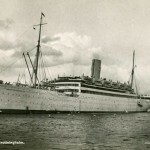 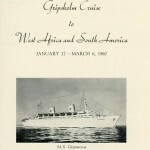 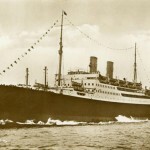 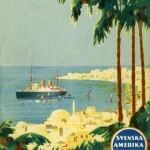 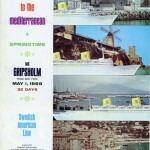 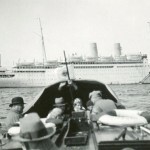 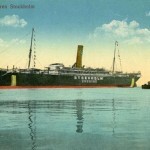 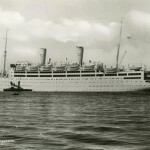 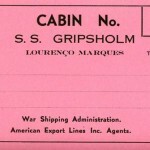 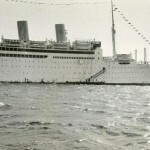 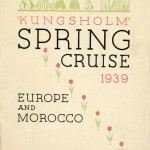 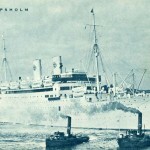 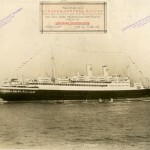 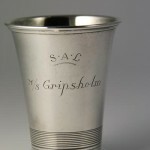 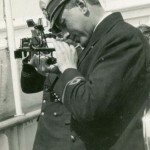 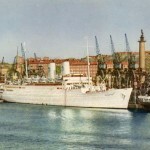 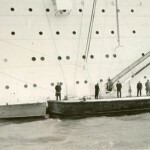 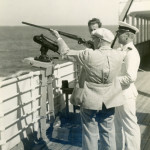 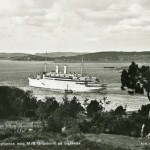 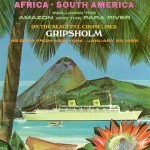 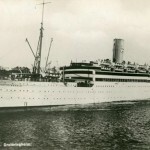 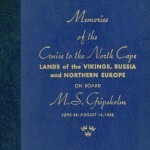 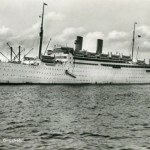 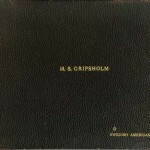 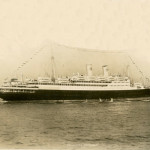 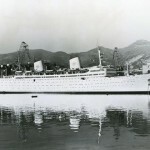 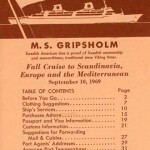 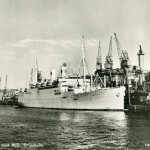 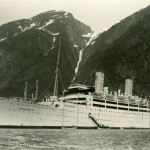 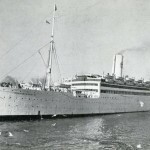 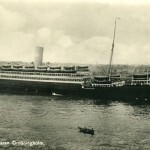 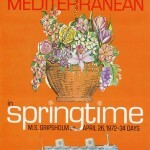 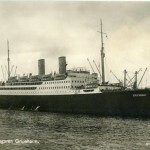 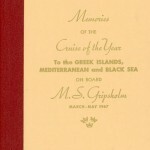 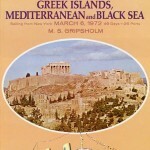 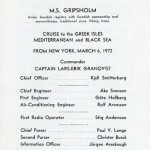 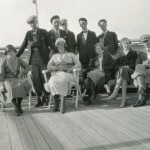 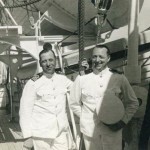 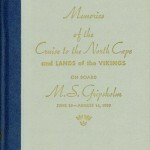 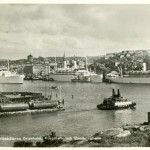 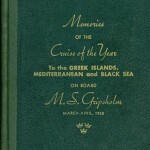 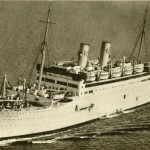 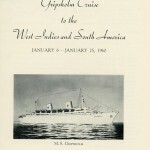 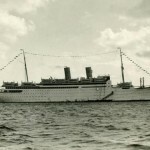 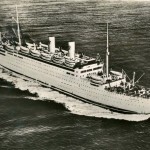 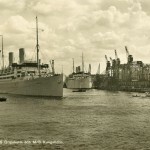 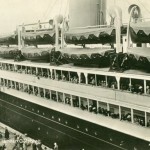 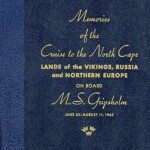 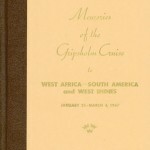 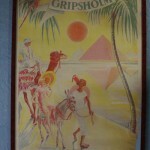 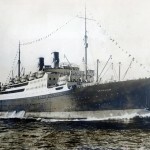 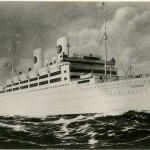 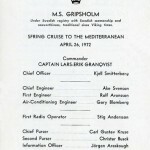 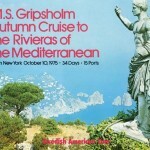 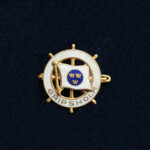 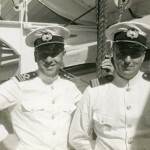 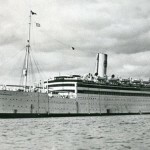 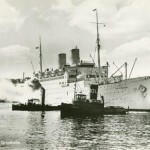 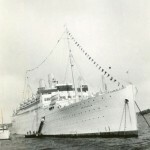 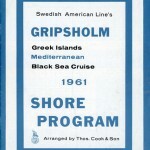 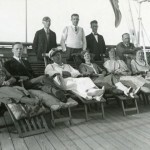 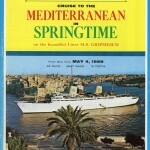 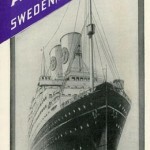 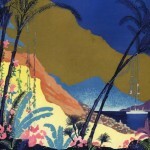 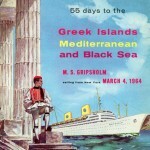 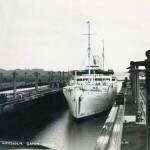 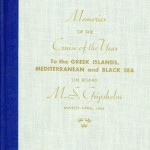 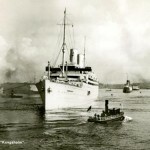 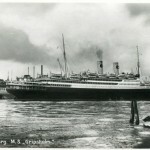 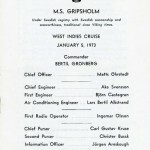 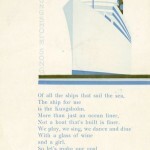 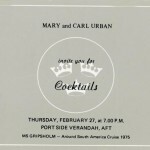 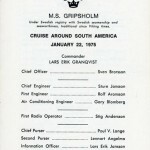 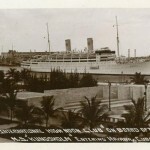 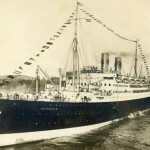 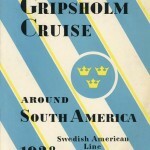 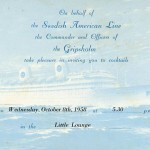 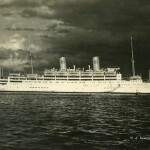 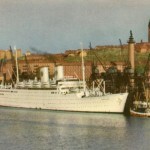 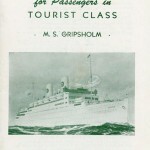 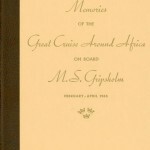 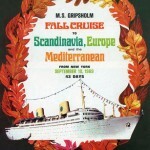 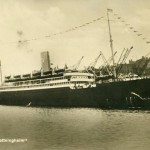 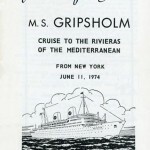 The Swedish American Line had however foreseen that this might happen, and in 1927 they launched their first cruise, with the ship Gripsholm, to the Mediterranean Sea and Jerusalem. 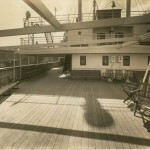 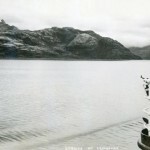 The previously black colored boats were eventually painted white to keep it from getting too hot aboard. 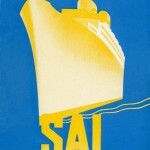 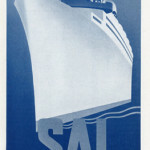 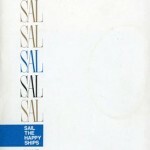 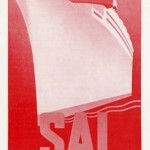 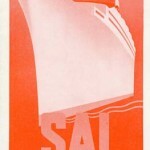 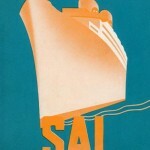 SAL also reduced the number of passengers, with the result that there were, on average, one crew member for every traveler. 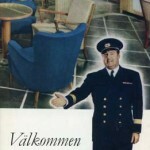 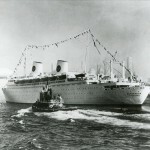 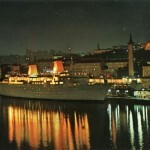 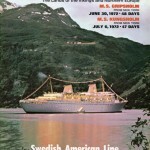 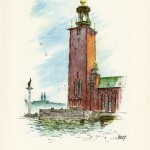 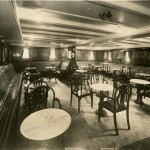 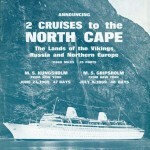 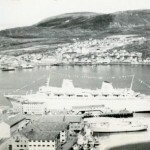 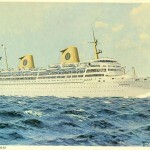 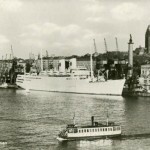 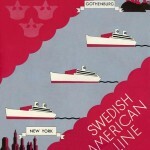 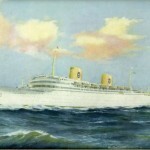 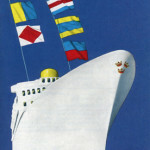 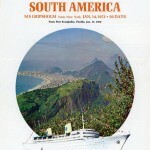 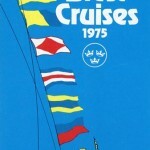 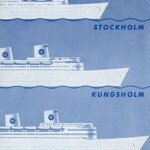 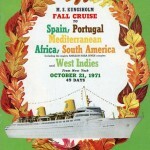 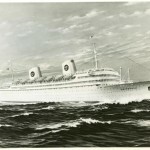 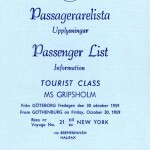 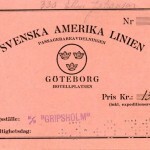 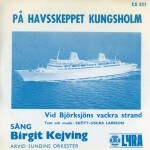 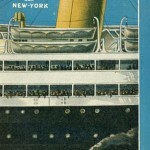 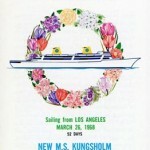 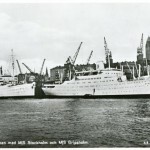 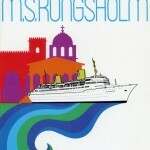 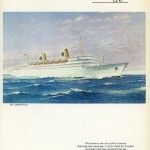 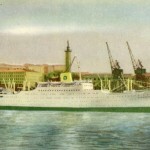 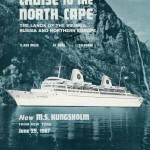 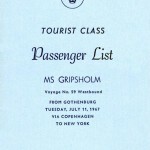 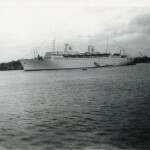 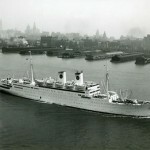 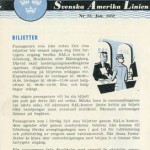 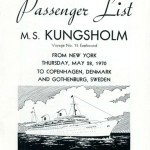 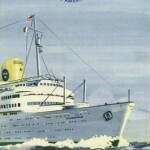 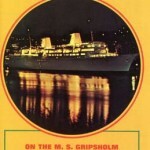 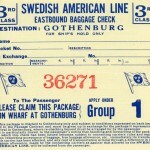 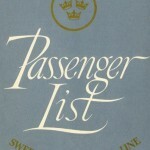 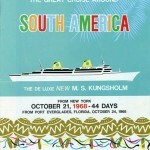 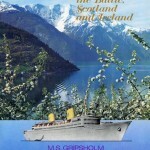 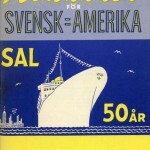 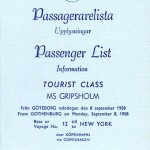 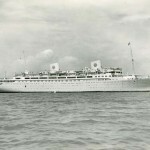 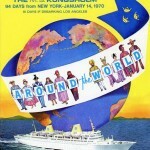 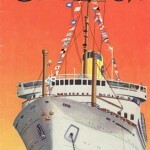 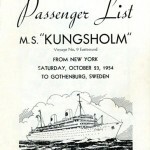 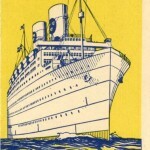 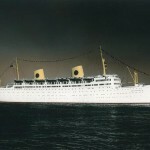 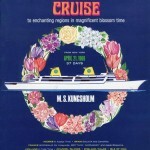 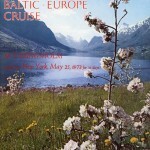 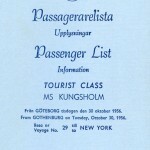 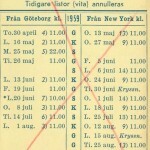 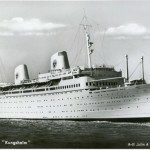 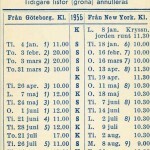 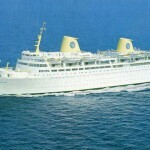 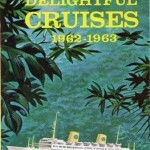 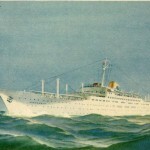 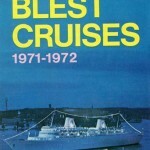 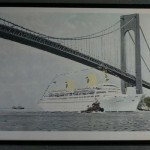 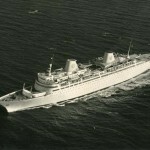 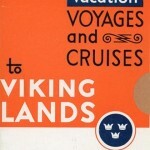 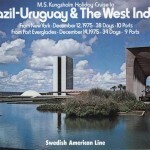 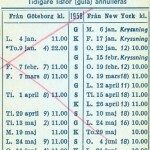 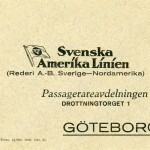 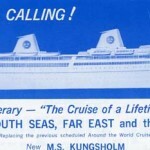 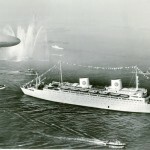 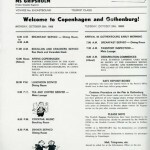 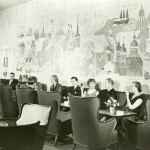 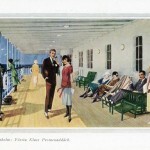 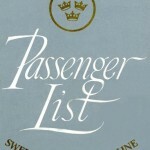 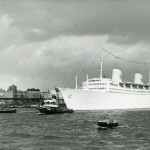 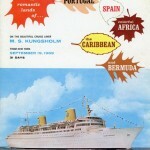 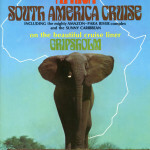 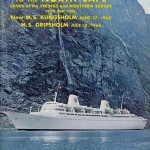 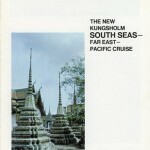 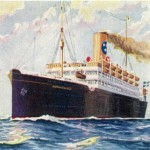 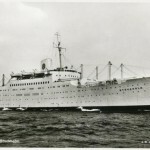 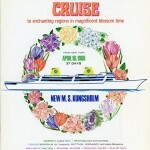 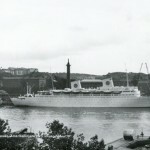 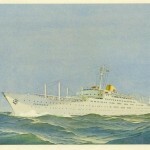 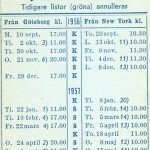 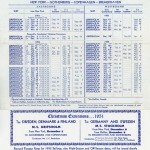 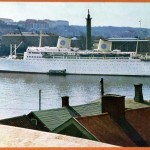 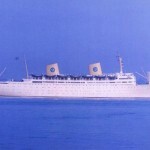 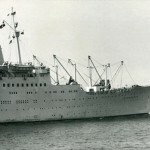 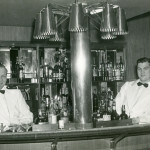 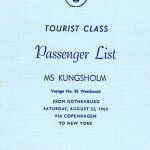 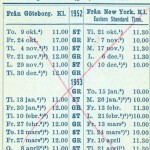 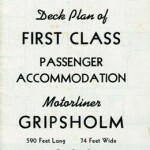 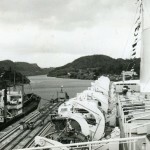 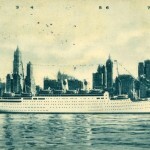 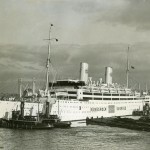 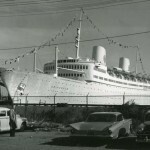 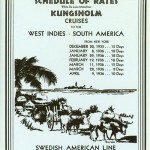 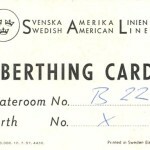 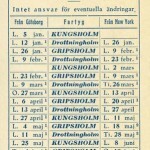 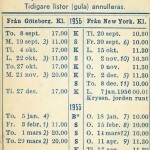 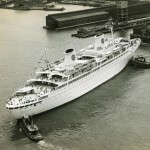 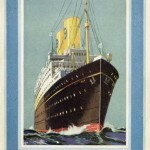 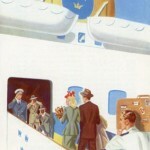 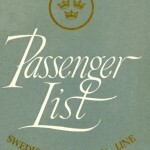 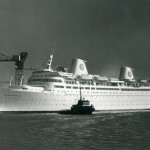 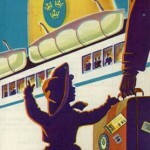 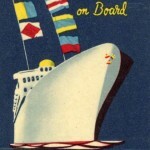 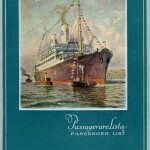 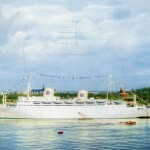 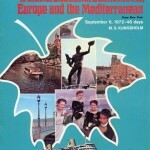 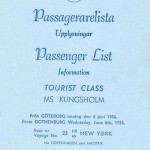 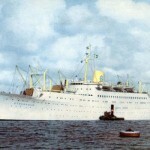 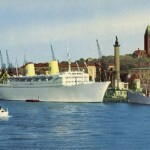 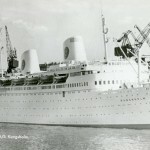 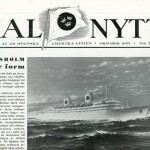 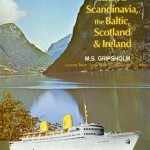 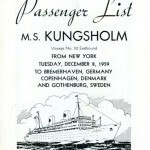 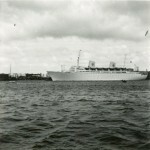 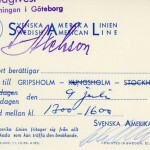 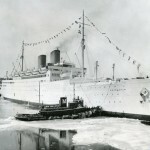 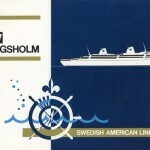 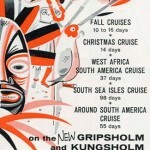 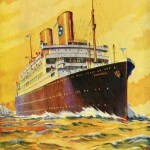 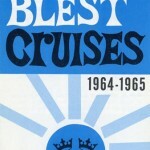 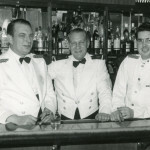 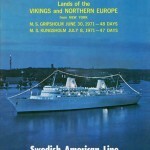 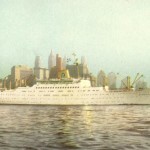 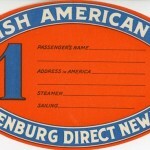 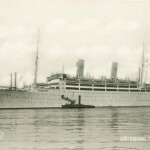 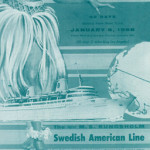 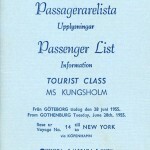 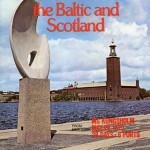 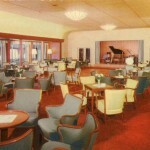 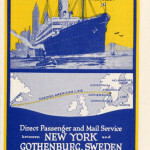 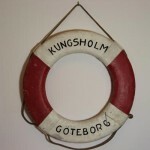 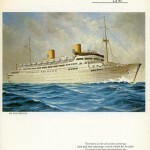 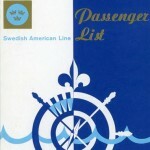 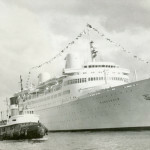 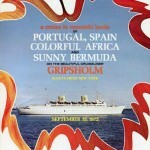 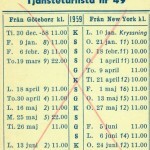 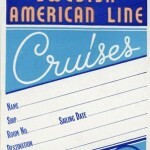 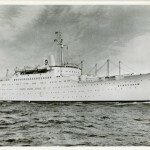 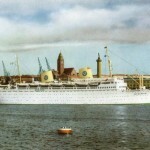 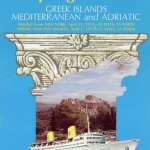 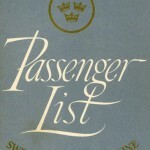 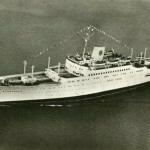 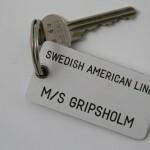 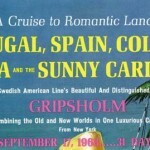 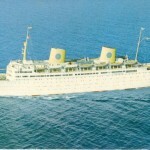 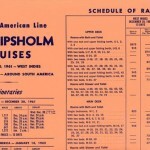 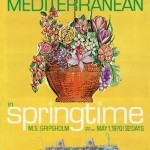 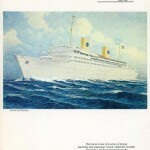 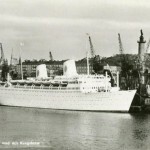 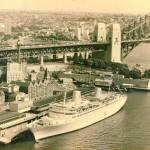 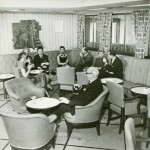 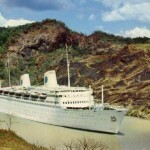 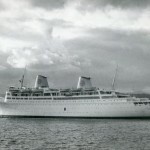 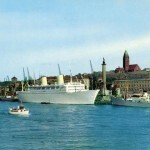 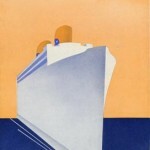 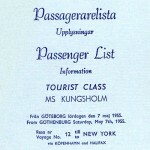 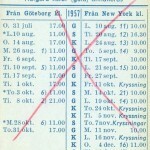 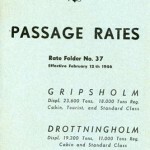 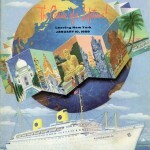 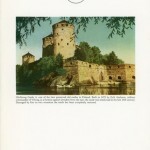 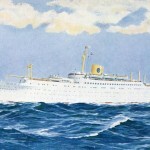 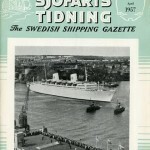 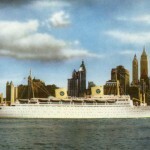 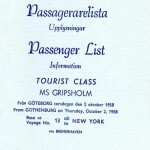 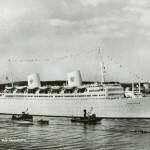 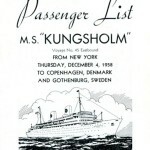 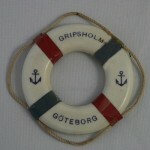 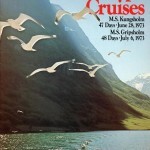 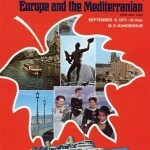 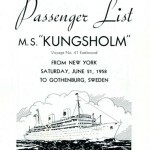 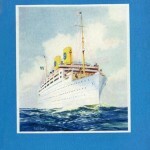 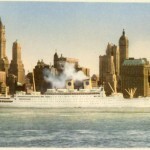 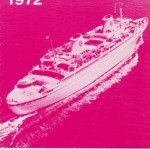 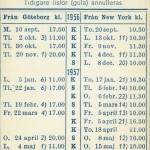 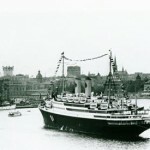 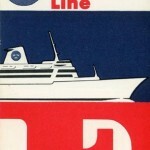 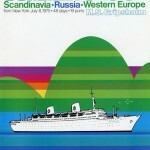 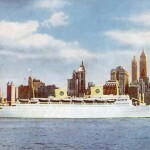 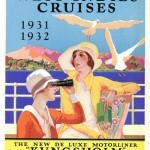 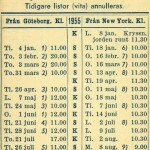 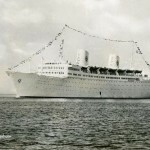 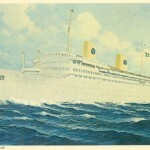 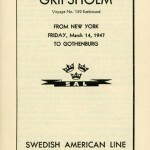 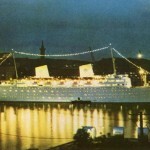 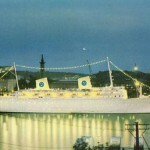 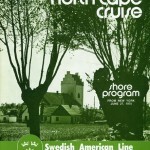 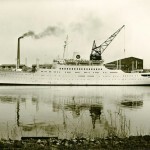 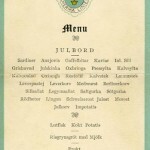 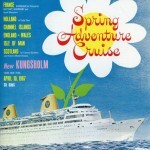 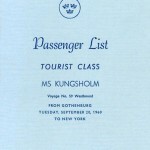 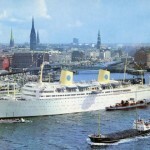 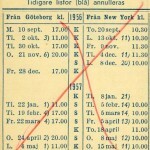 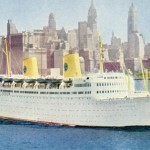 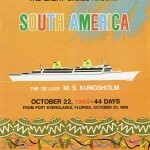 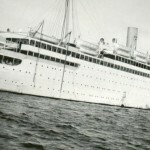 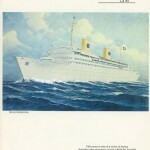 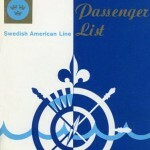 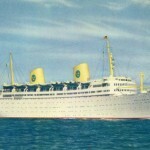 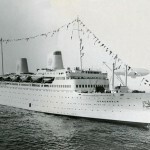 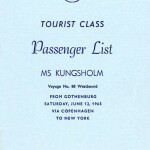 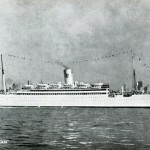 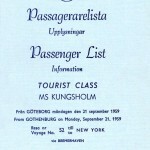 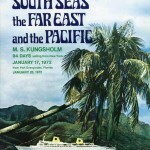 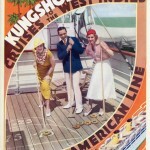 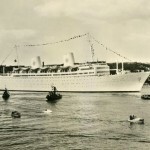 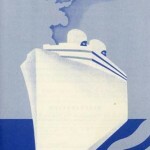 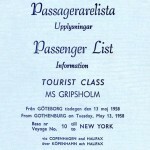 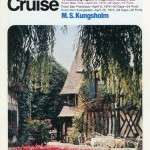 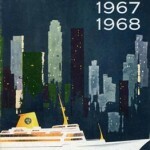 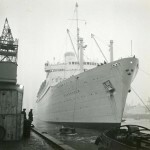 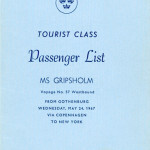 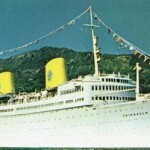 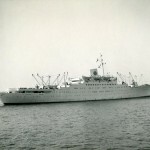 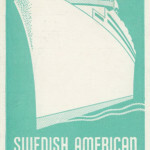 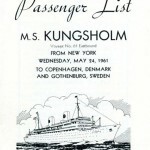 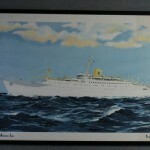 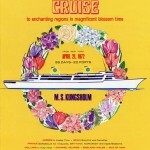 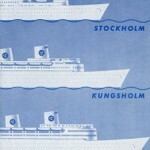 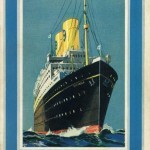 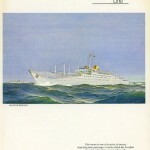 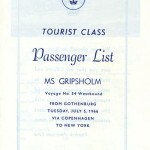 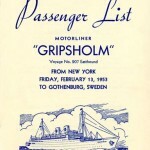 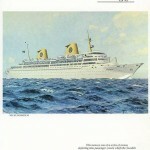 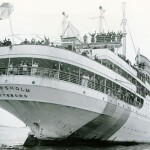 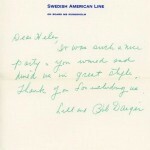 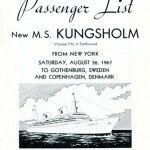 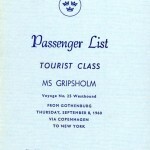 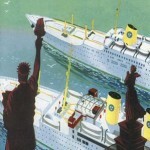 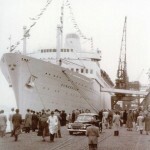 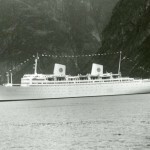 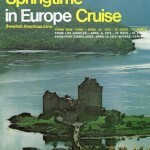 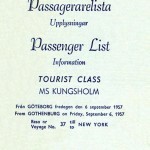 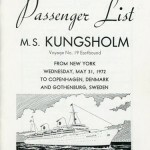 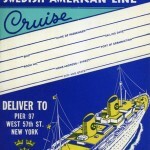 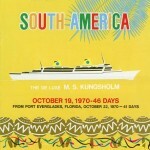 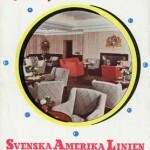 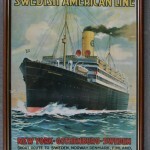 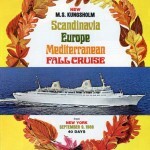 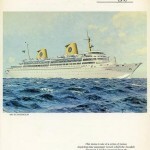 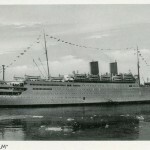 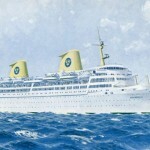 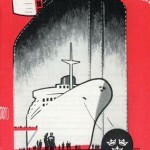 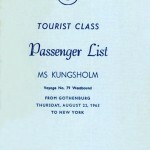 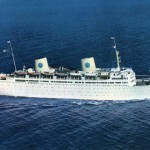 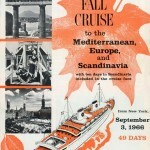 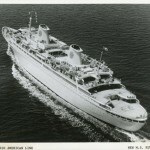 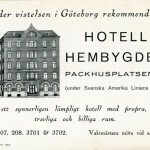 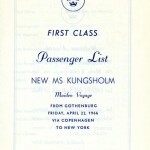 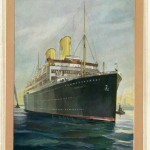 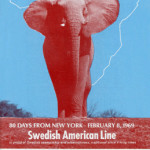 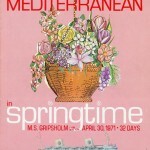 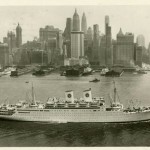 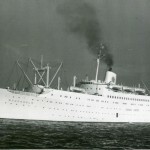 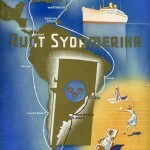 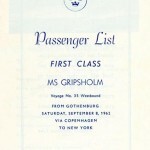 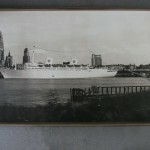 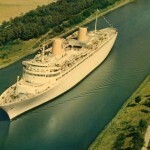 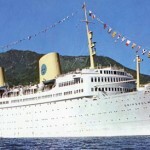 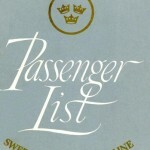 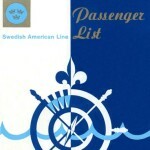 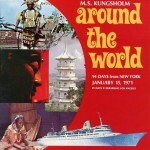 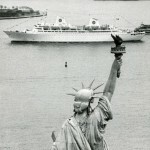 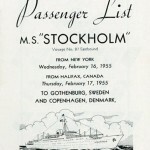 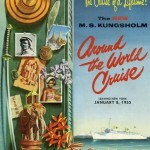 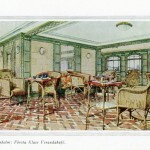 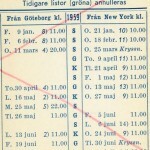 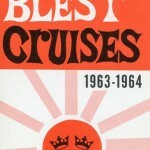 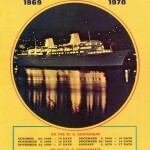 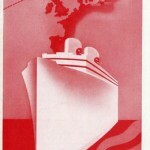 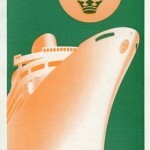 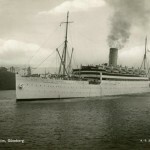 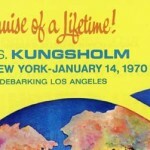 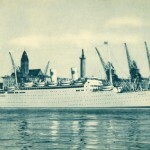 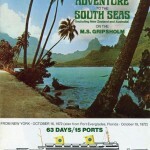 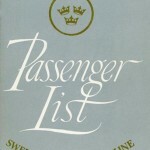 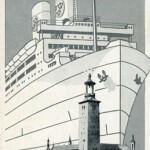 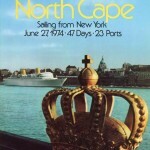 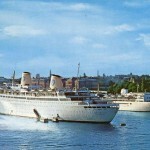 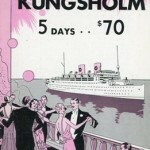 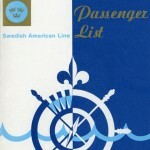 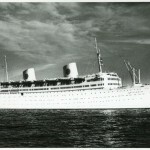 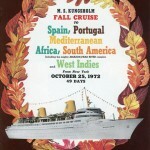 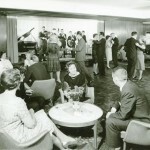 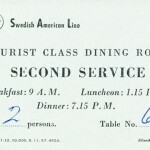 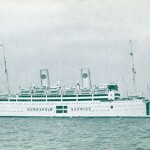 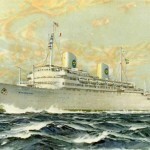 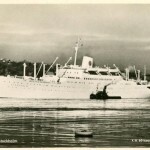 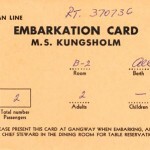 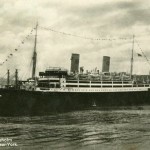 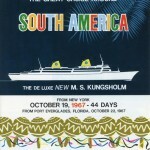 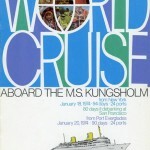 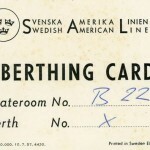 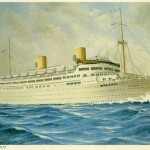 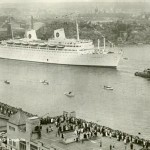 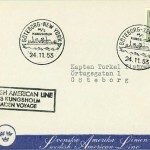 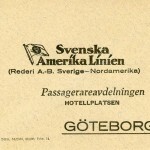 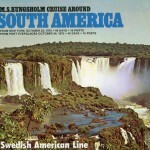 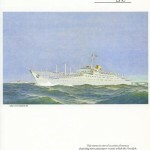 The cruises with, mainly, wealthy American passengers became more and more frequent as the years passed by, but the regular line between Gothenburg and New York remained open until 1975. 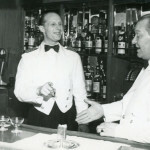 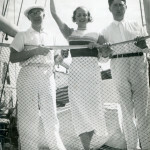 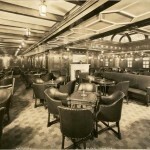 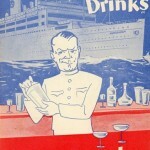 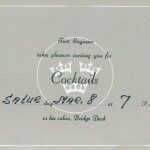 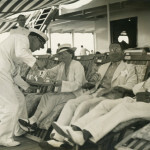 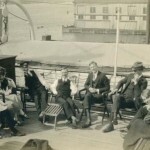 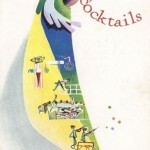 During the prohibition era in America, SAL offered “booze cruises” where the specific ship left New York, crossed the territorial border of the USA, and voila – the bars opened, to the great joy of some very thirsty American passengers. 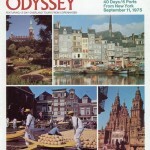 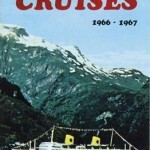 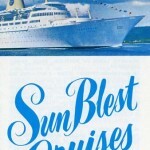 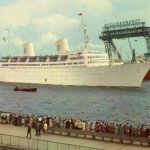 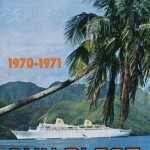 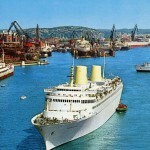 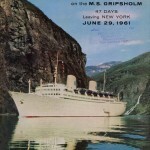 During their last years in operation, the company focused on cruises, at least during the winter months, and the time it took between the instances when the ships returned to their home port grew longer and longer. 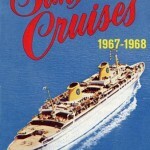 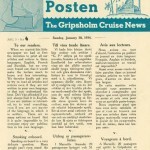 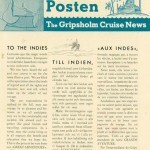 Detta inlägg postades i The cruises, Uncategorized den januari 20, 2015 av Torsten. 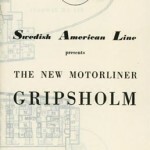 It is impossible to not notice the fabulous ability The Swedish American Line possessed when it came to being at the fore front in various situations. 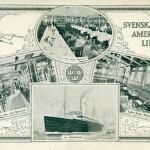 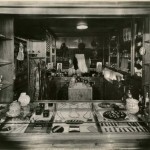 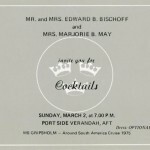 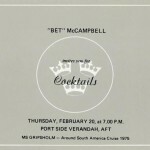 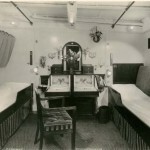 The layout and decor of their ships set the standard for other shipping companies, and the service mindedness and knowledge of the staff made the company famous on both sides of the Atlantic Ocean. 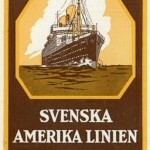 The Swedish American Line´s success in promotion and public relations outshines many of our contemporary company’s efforts. 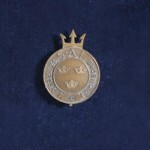 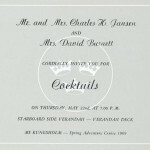 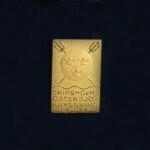 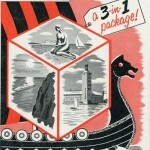 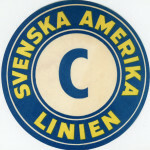 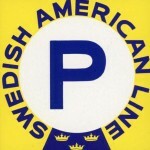 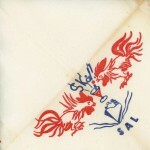 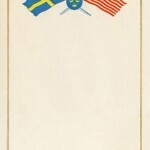 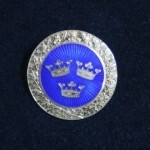 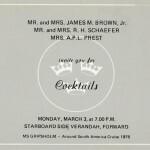 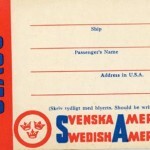 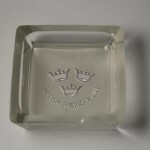 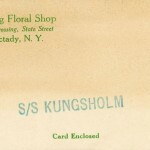 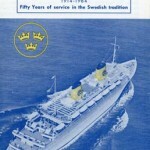 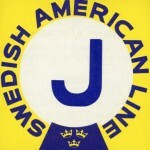 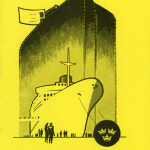 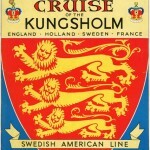 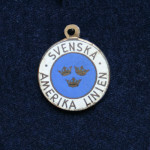 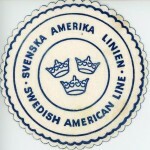 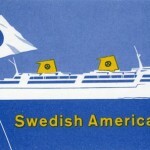 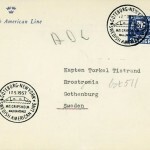 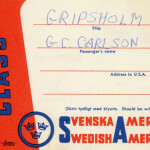 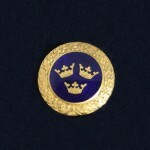 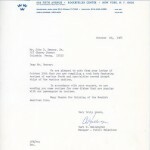 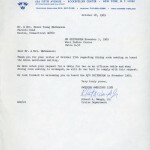 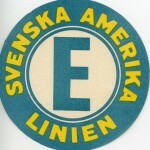 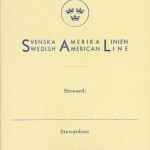 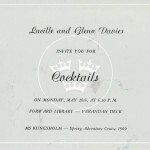 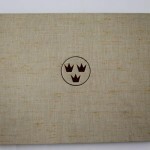 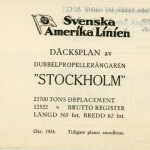 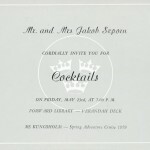 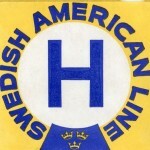 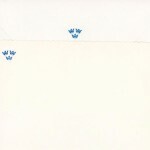 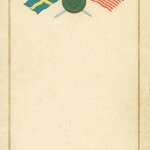 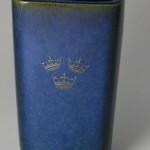 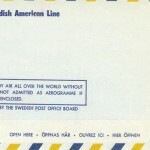 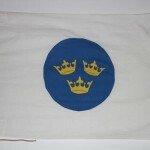 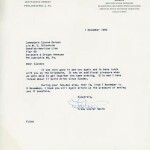 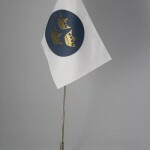 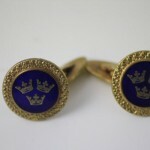 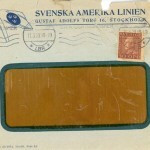 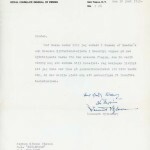 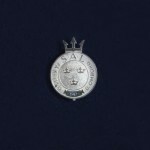 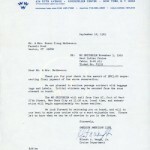 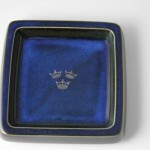 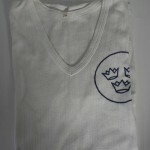 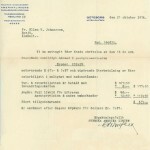 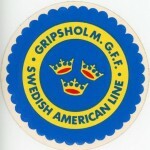 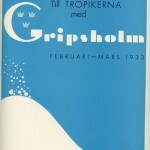 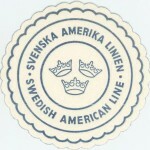 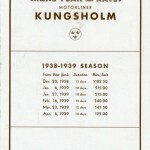 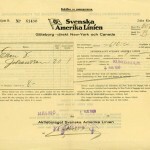 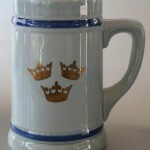 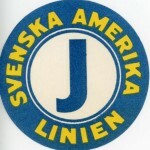 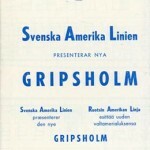 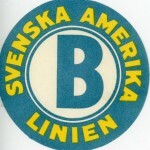 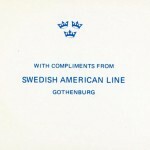 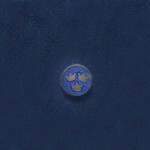 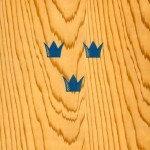 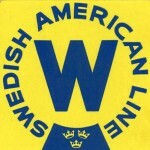 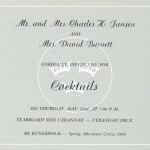 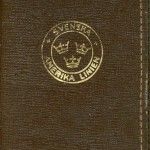 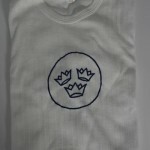 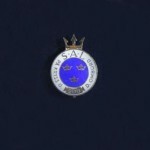 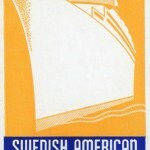 The logotype, the three crowns, was a consistent characteristic throughout the whole existence of the Swedish American Line shipping company. 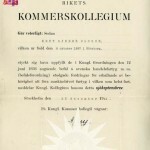 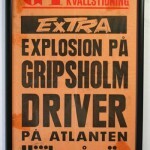 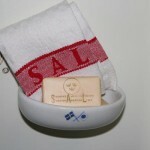 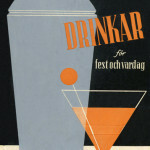 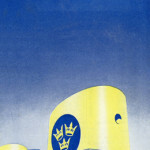 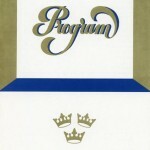 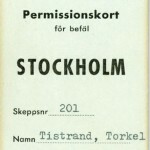 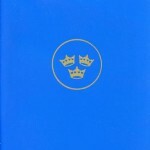 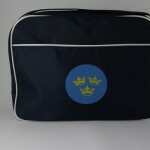 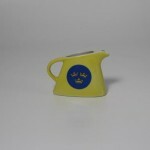 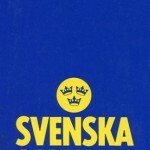 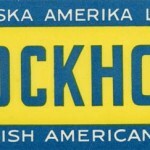 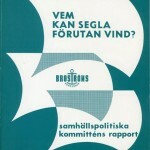 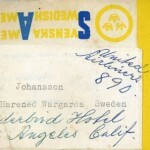 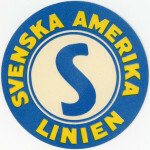 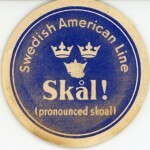 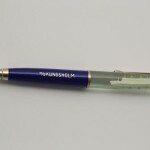 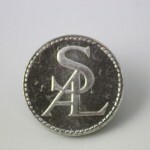 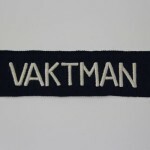 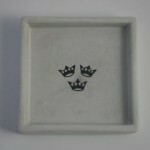 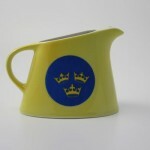 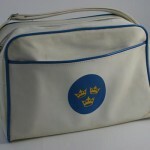 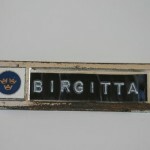 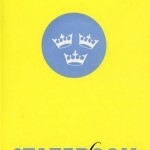 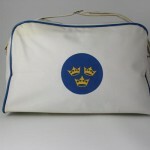 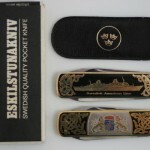 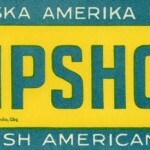 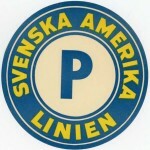 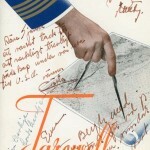 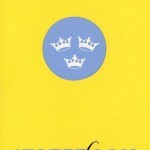 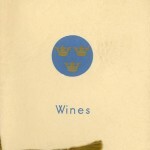 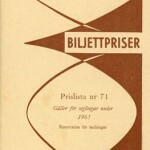 This logotype was unbeatable since it did not only stand for the company itself, but also Sweden and everything Swedish. 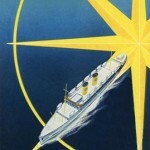 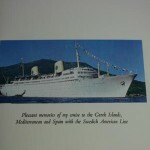 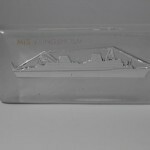 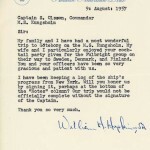 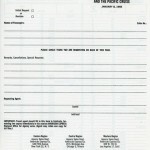 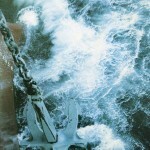 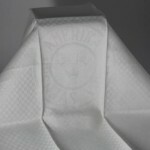 In this context we have to mention the choice of names for the ships, which signified quality in every detail. 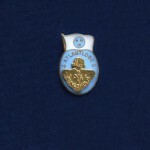 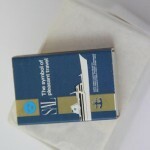 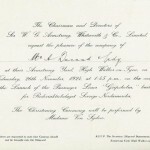 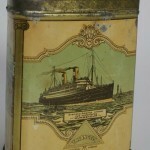 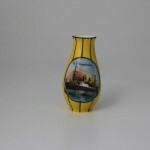 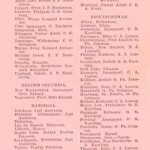 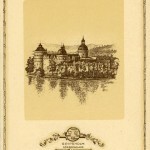 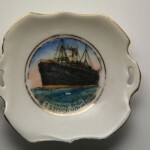 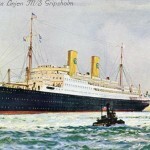 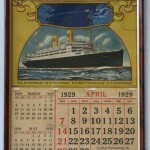 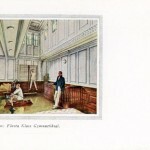 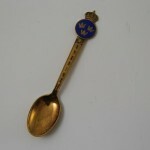 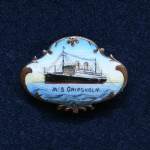 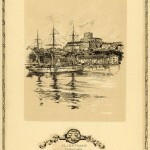 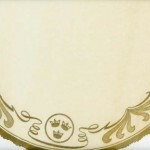 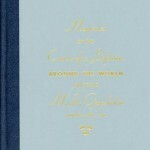 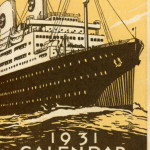 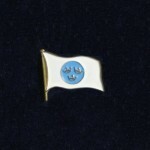 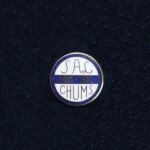 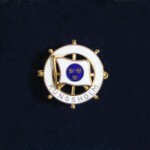 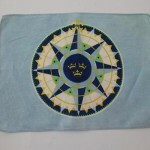 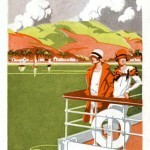 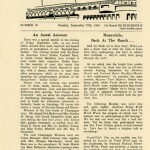 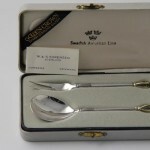 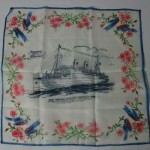 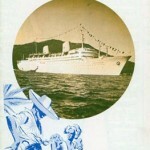 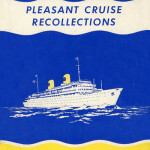 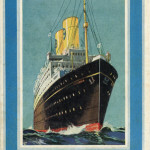 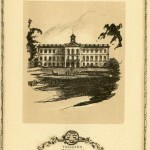 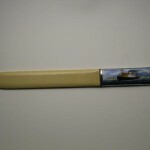 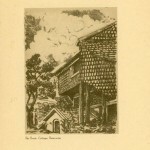 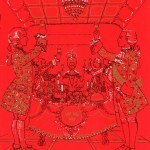 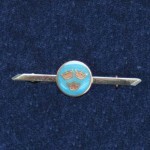 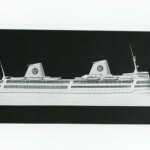 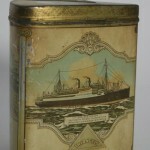 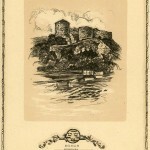 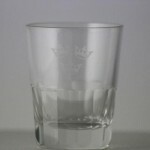 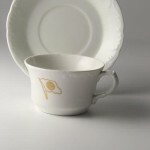 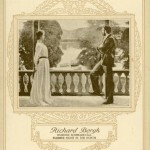 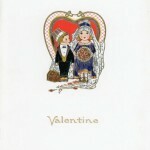 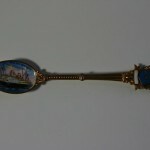 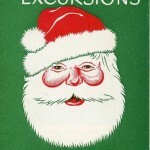 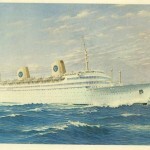 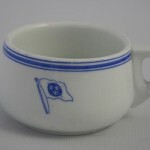 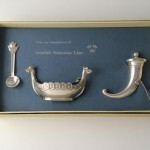 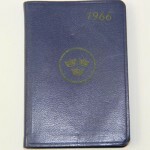 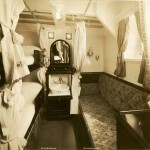 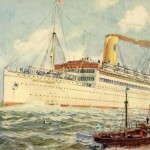 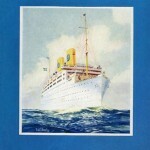 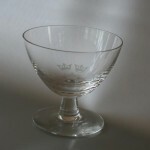 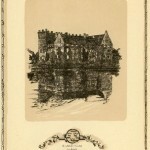 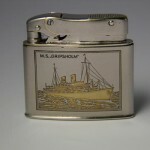 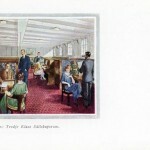 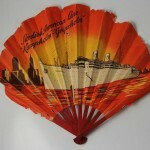 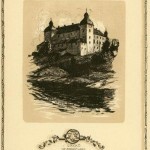 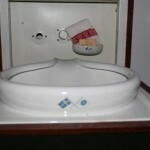 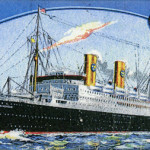 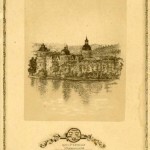 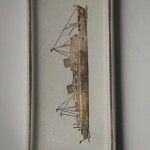 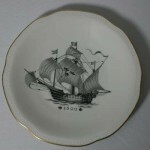 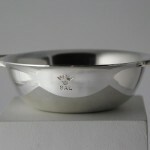 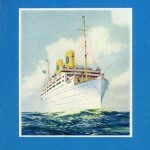 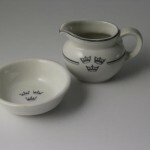 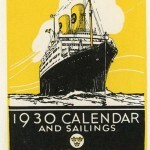 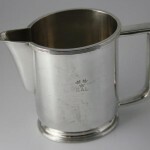 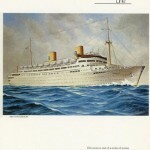 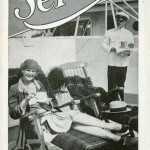 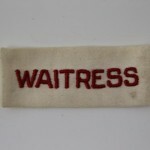 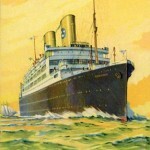 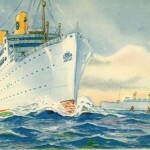 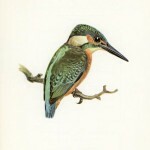 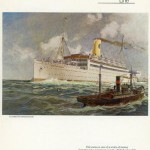 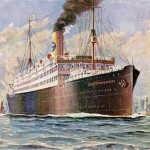 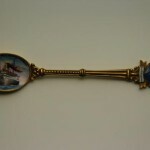 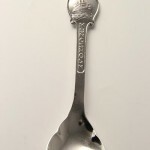 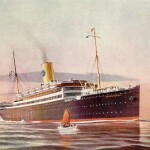 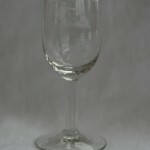 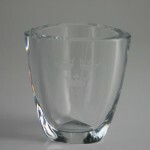 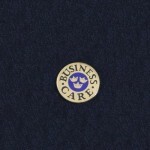 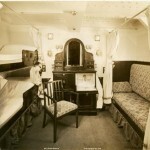 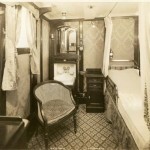 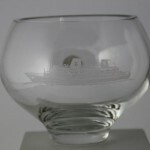 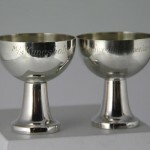 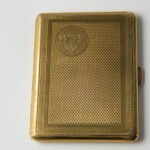 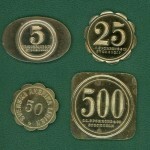 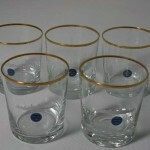 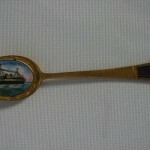 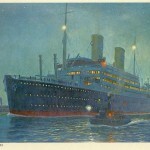 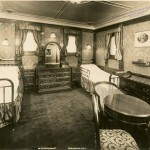 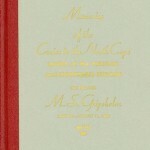 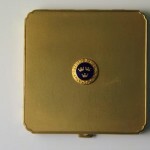 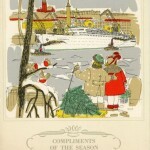 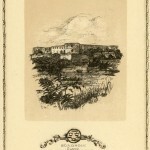 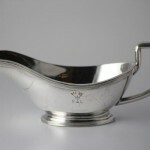 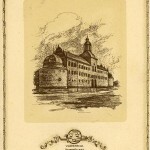 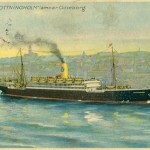 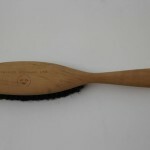 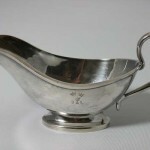 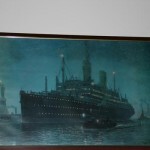 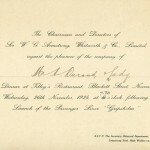 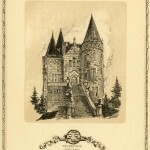 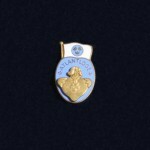 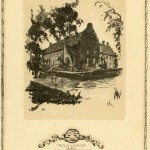 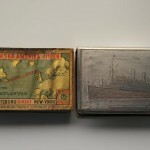 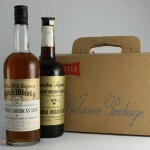 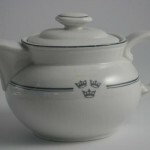 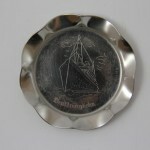 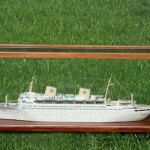 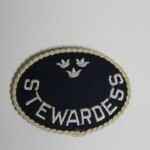 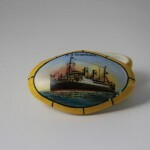 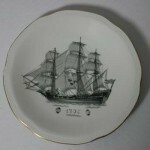 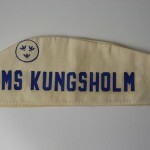 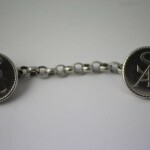 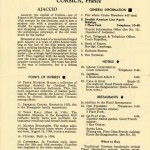 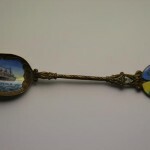 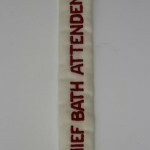 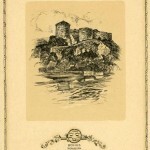 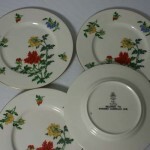 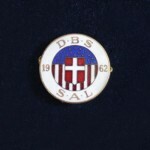 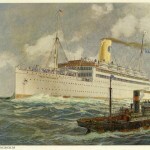 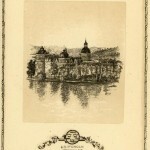 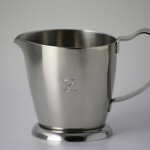 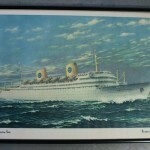 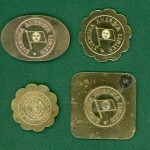 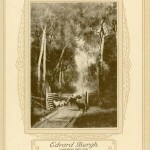 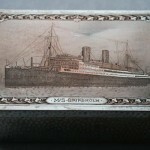 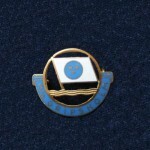 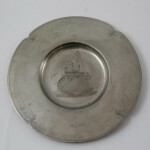 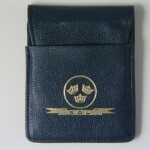 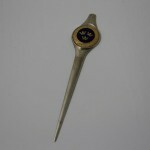 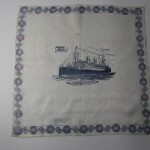 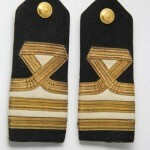 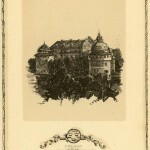 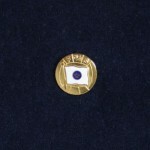 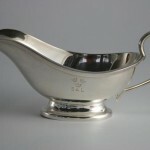 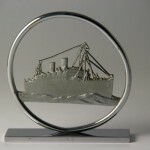 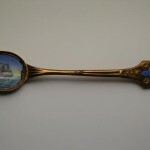 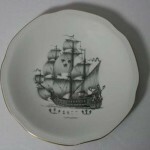 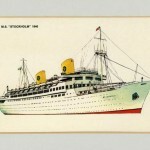 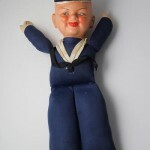 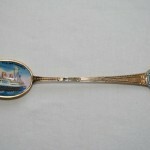 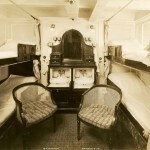 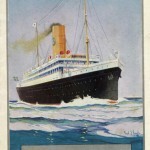 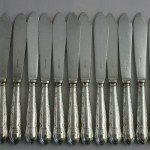 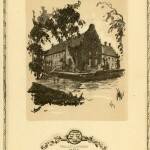 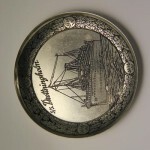 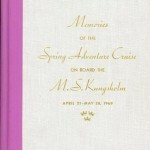 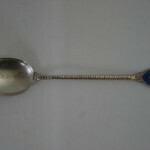 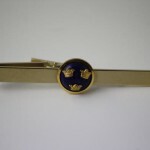 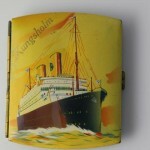 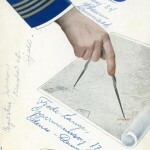 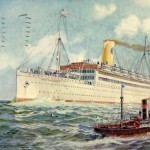 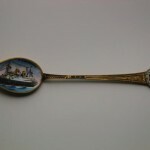 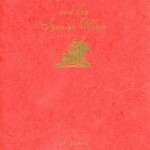 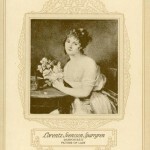 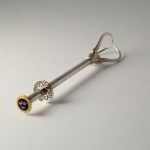 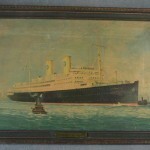 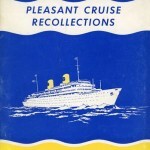 The souvenirs which were sold aboard, and the various presents which were given to, first and foremost, first class passengers certainly helped in spreading the name of the company. 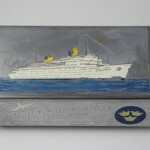 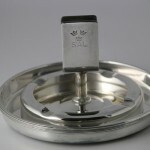 SAL was, as previously mentioned, very well aware of the importance of advertisement and actually chose to look the other way when ashtrays, matchboxes, and other small memorabilia ended up in the pockets of less scrupulous voyagers. 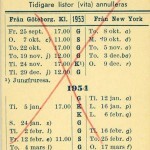 Detta inlägg postades i The souvenirs, Uncategorized den januari 20, 2015 av Torsten. 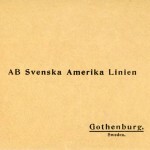 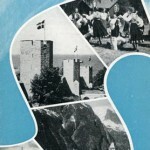 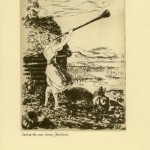 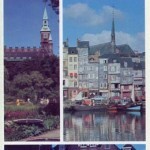 Unfortunately we will probably never be able to establish exactly how many different postcards with motive from the Swedish American Line there really are. 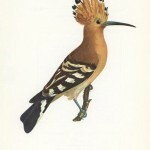 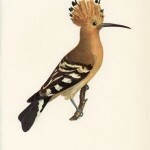 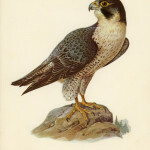 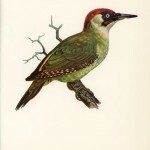 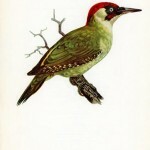 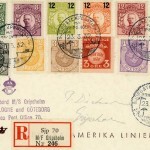 Experts suggest around 600, if we count some with only minute variation in motive or which have the same motive but are printed at different printing offices. 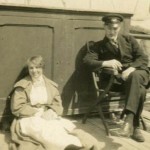 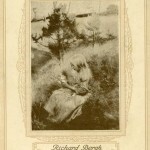 In reality there are probably a few hundred more, if we include a number of private photographs which have been turned into postcards. 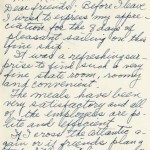 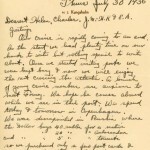 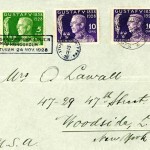 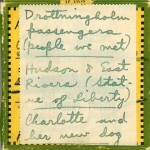 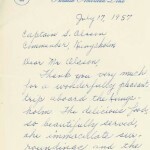 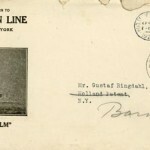 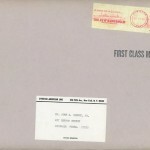 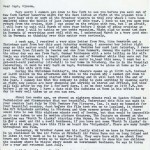 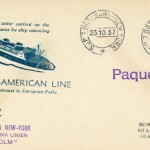 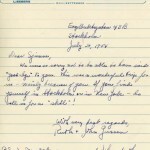 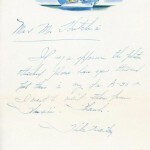 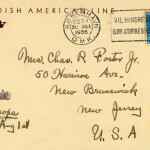 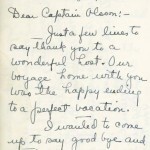 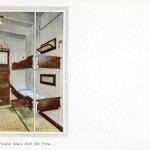 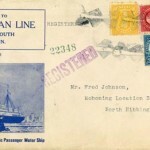 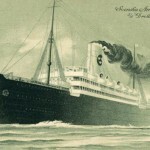 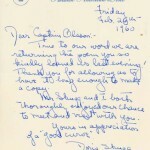 What we know for sure is that hundreds of thousands of postcards were sent, not only by passengers but also by people who simply liked the motives and actually never were aboard any of the boats. 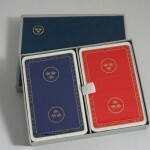 Either way, nobody will most likely ever reach a complete collection, despite the determined efforts of some collectors. 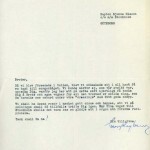 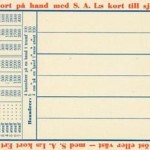 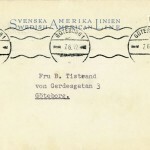 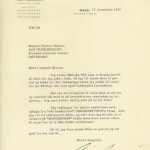 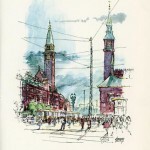 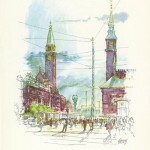 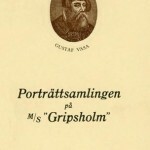  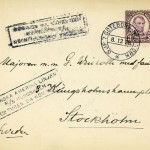 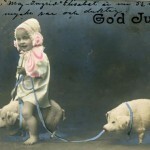 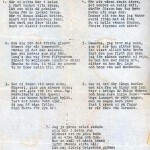 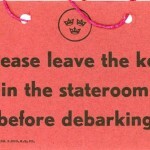 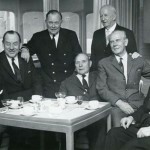 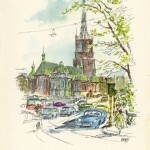 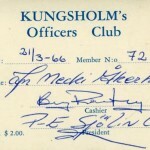 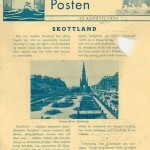 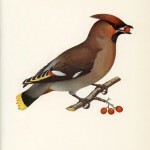 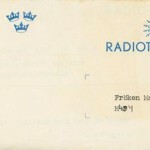 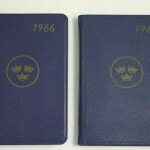 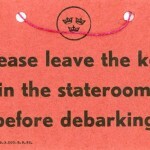 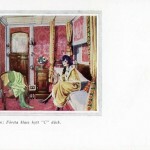 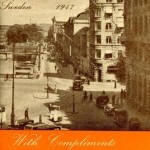 Detta inlägg postades i The postcards, Uncategorized den januari 20, 2015 av Torsten. 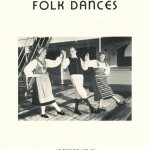 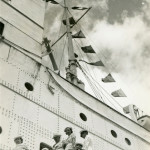 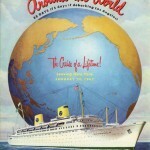 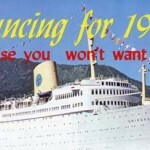 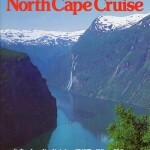 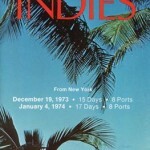 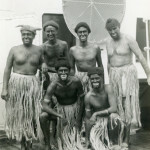 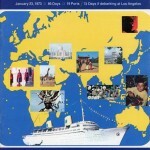 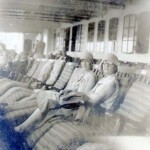 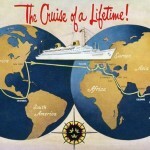 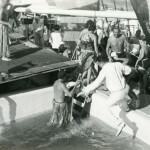 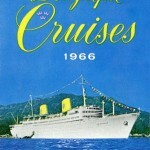 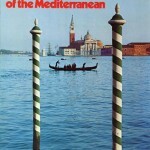 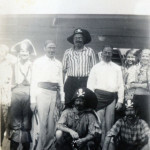 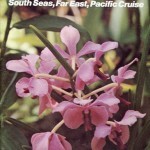 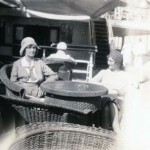 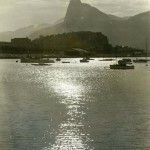 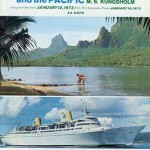 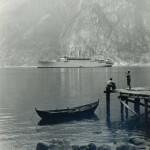 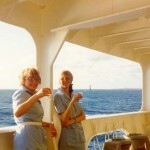 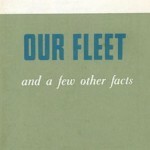 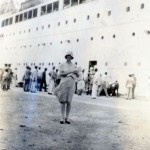 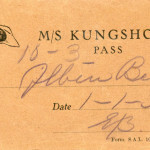 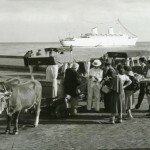 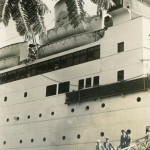 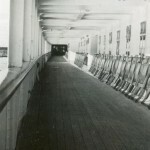 The number of films and photographs taken of the ships, passengers, staff, and diverse excursions are obviously infinite. 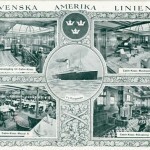 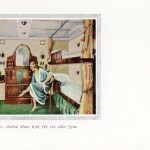 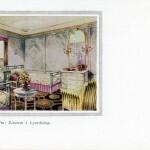 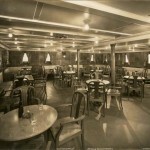 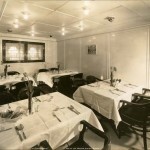 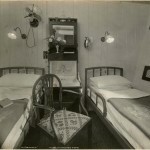 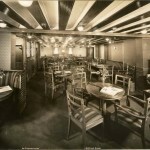 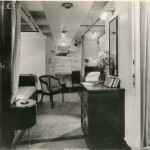 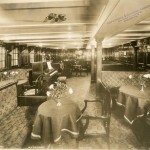 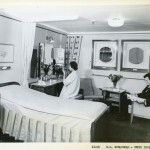 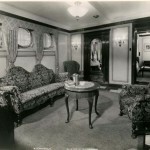 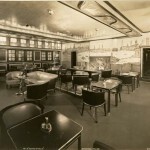 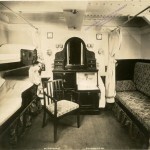 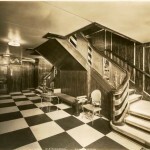 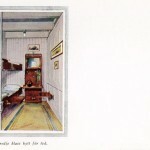 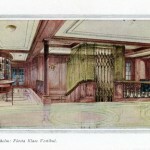 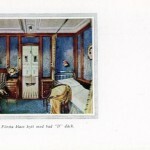 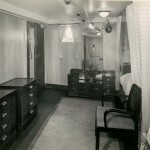 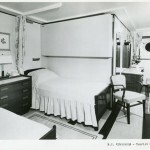 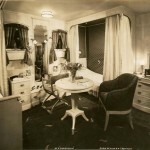 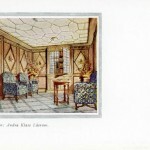 The Swedish American Line were actually ambitious in taking their own beautiful pictures and using them to show the interior designs of their ships. 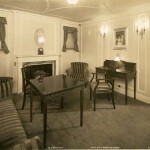 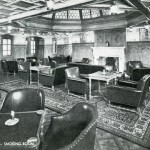 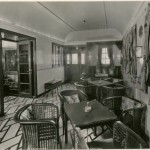 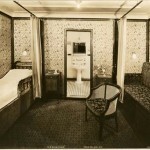 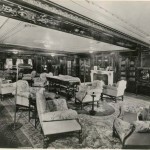 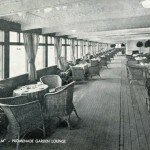 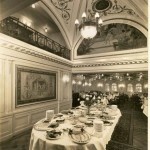 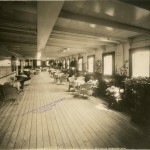 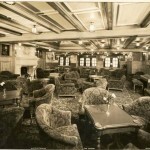 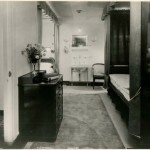 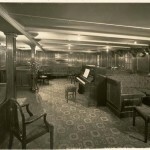 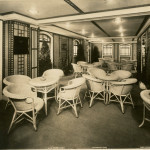 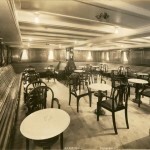 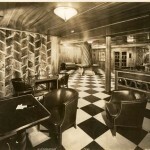 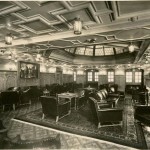 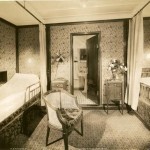 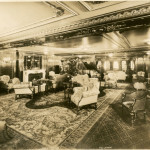 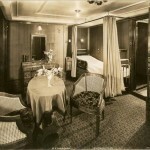 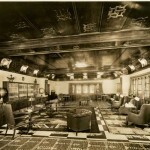 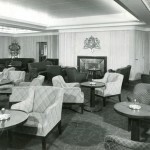 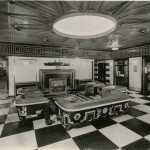 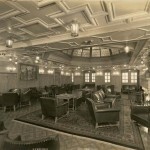 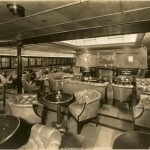 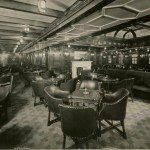 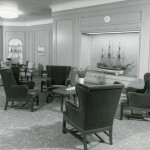 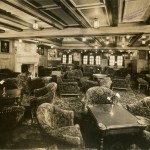 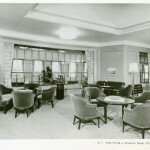 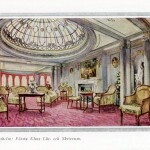 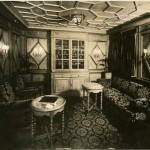 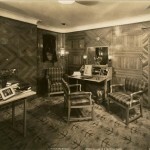 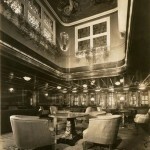 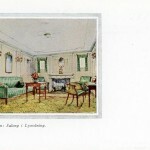 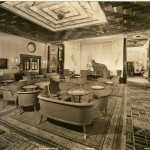 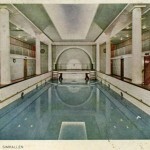 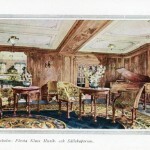 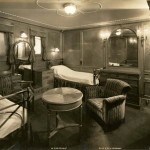 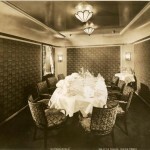 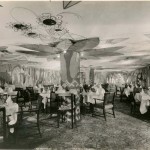 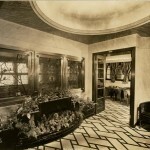 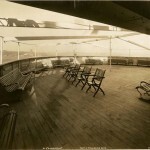 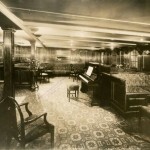 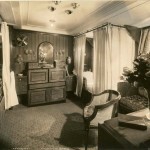 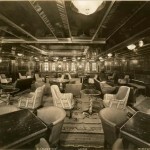 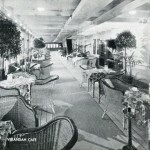 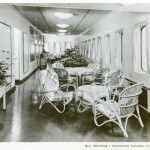 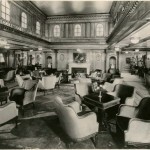 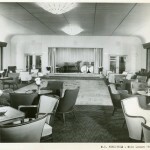 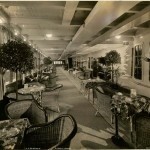 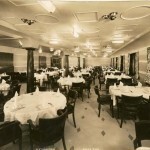 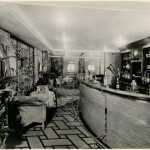 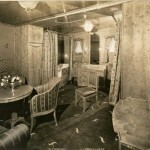 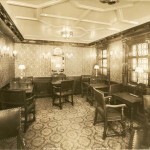 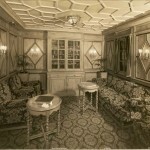 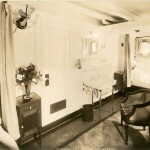 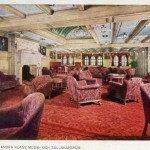 The sepia toned photographs of Gripsholm (1925), and Kungsholm (1928) are way better at describing the luxurious interior design of the ships than any words possibly could. 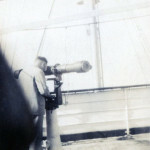 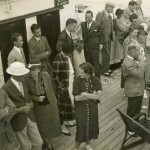 In addition, when the photo camera became an item which almost everyone could afford, people also started to take pictures of the other passengers. 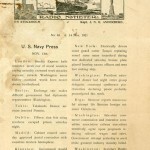 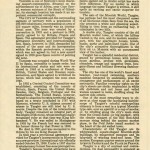 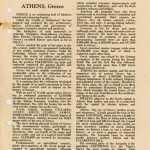 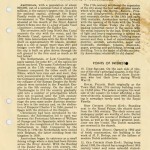 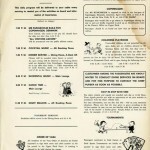 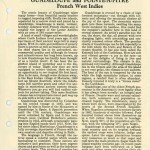 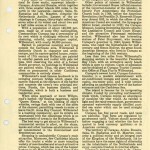 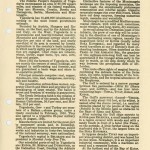 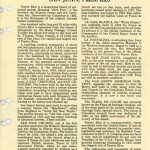 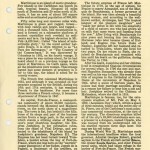 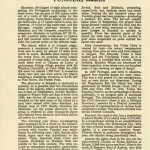 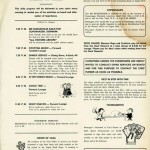 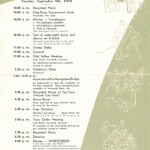 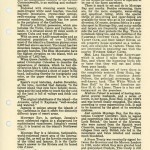 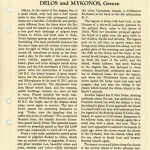 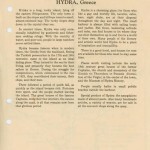 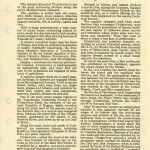 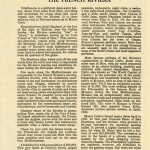 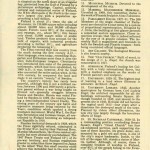 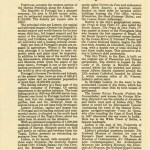 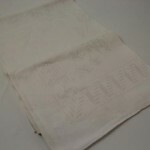 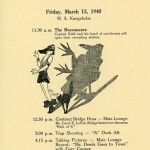 A whole lot of material can be found in the newspapers archives which were active back then. 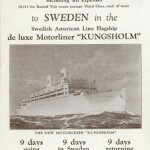 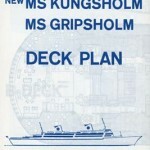 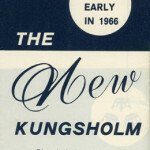 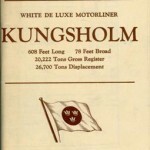 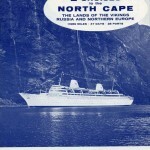 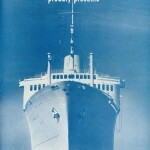 It was considered to be big news when the company presented a new ship or when celebrities travelled with “The White Viking Fleet”. 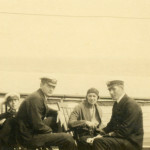 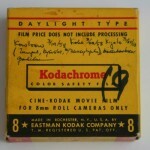 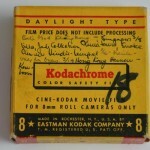 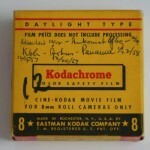 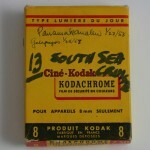 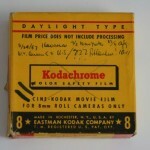 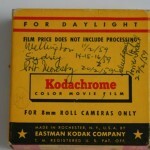 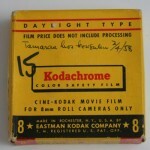 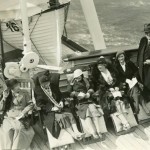 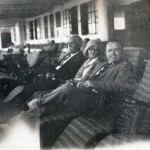 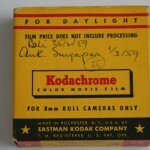 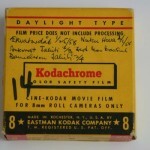 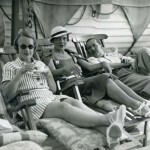 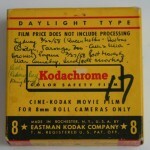 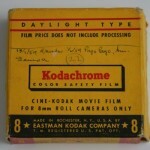 When the small film camera became more and more popular, passengers used the advantage of motion pictures as another way to show how much fun they had during their trips. 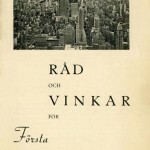 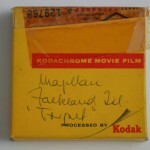 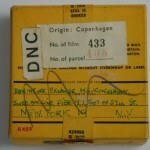 Detta inlägg postades i The films & the photographs, Uncategorized den januari 20, 2015 av Torsten. 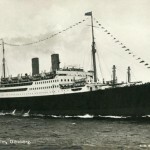 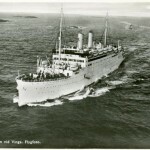 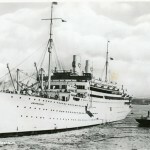 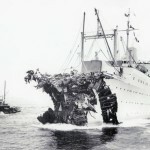 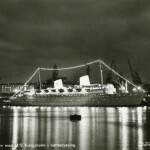 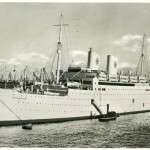 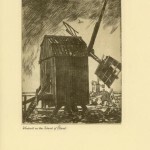 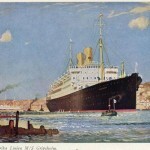 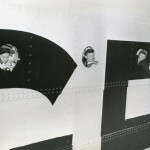 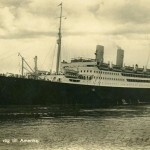 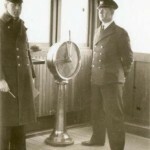 It did not take more than a few hours after Britain declared war against Germany, during the Second World War, until the passenger traffic across the Atlantic Ocean was affected. 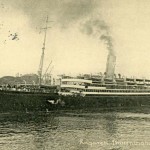 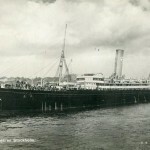 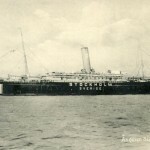 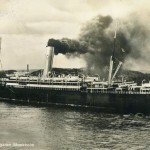 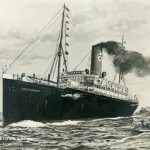 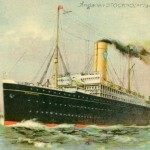 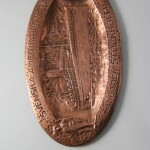 The steamship Athenia (Anchor-Donaldson) was on its way to Canada and just outside the Irish coastline it was hit by a torpedo. 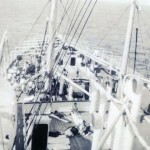 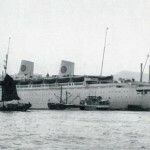 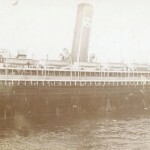 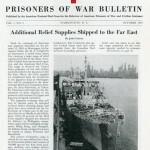 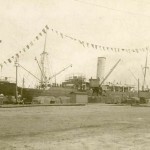 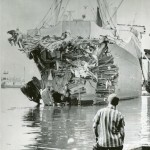 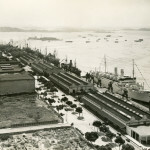 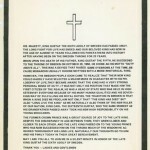 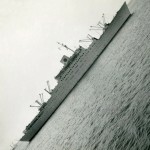 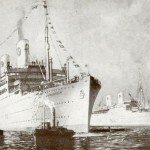 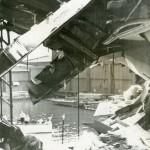 More than one hundred people lost their lives, which showed what the civilian shipping were to expect. 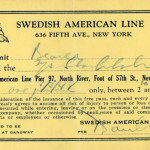 This also meant that SAL was forced to accept the fact that it would be extremely difficult to keep the line back and forth over the Atlantic open. 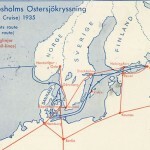 The line was basically completely closed during the war, apart from sporadic trips to America where the ships had to choose a northern route instead. 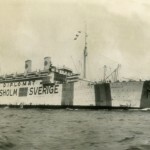 Unfortunately, the ship Kungsholm was confiscated by the American government and Gripsholm and Drottningholm were taken out of service in Sweden. 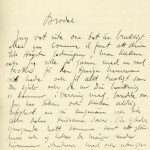 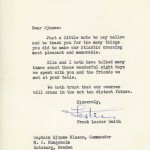 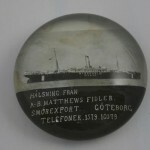 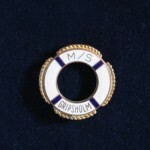 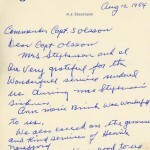 Eventually, SAL was given a mission, a mission to carry out so called exchange trips using Gripsholm and Drottningholm and the two ships were once again back in operation. 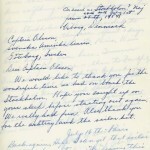 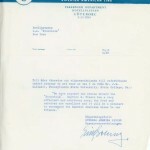 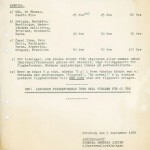 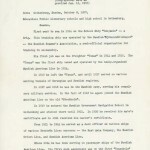 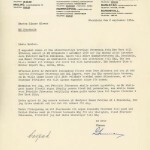 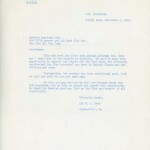 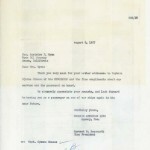 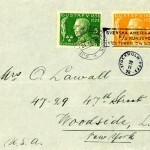 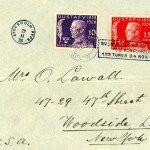 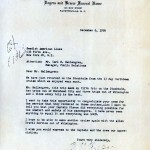 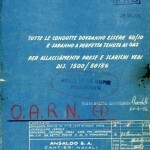 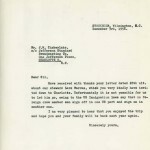 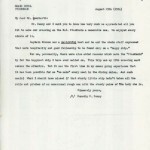 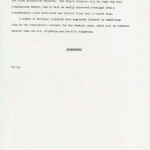 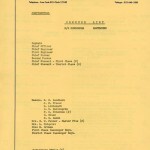 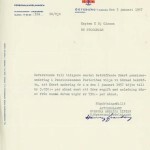 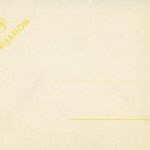 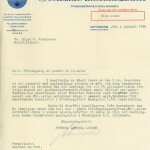 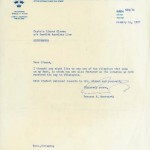 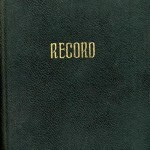 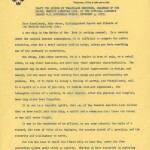 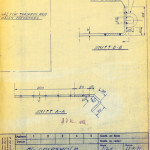 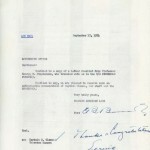 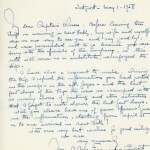 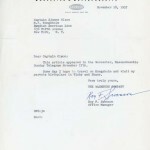 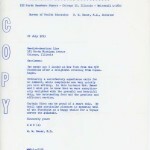 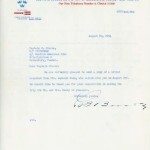 The request came from the Americans, but Britain, Germany and Japan were also involved. 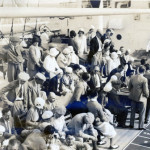 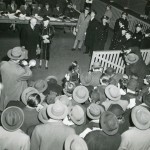 The exchanges were prisoners of war, diplomats, wounded or sick people, and other civilians, mainly women and children, who had been stranded. 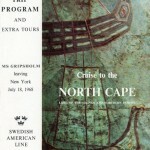 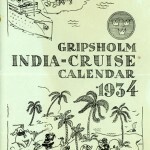 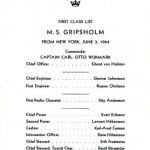 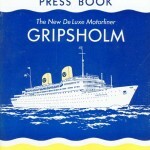 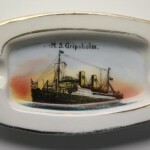 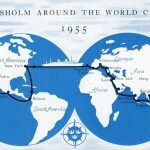 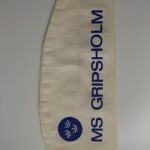 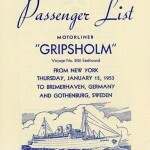 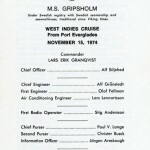 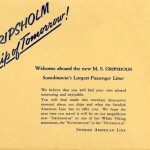 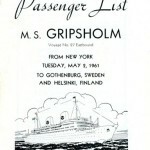 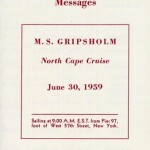 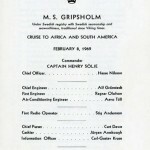 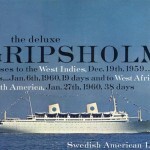 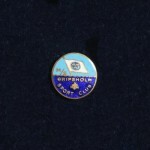 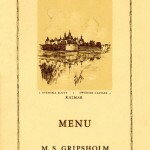 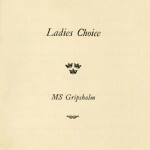 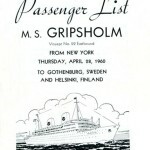 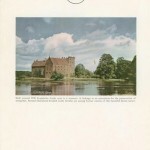 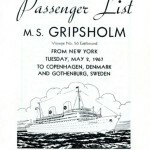 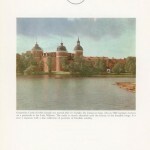 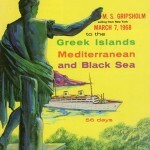 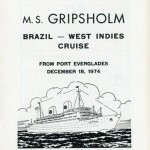 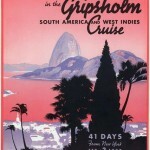 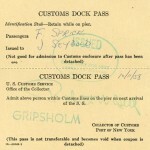 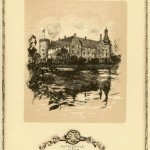 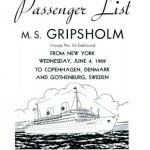 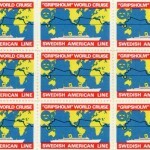 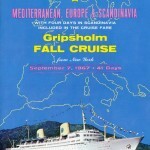 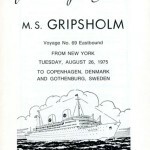 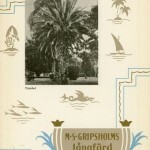 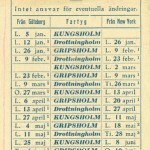 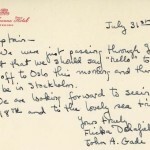 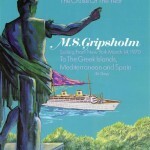 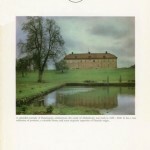 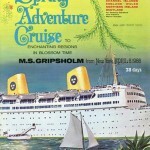 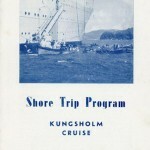 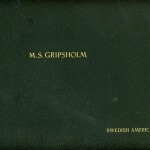 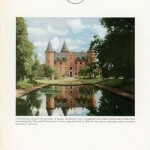 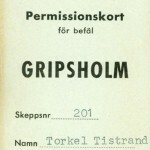 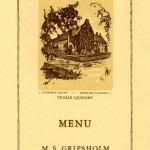 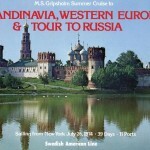 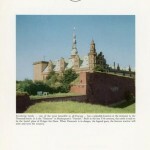 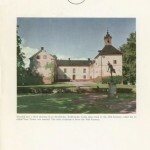 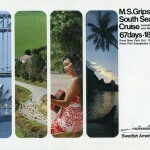 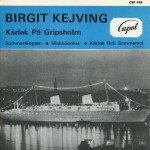 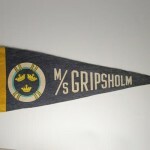 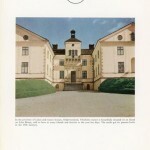 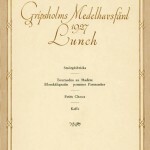 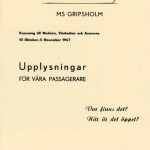 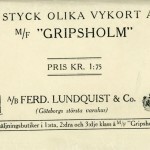 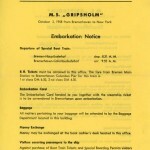 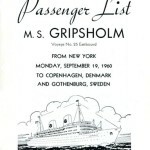 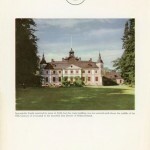 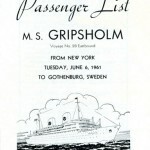 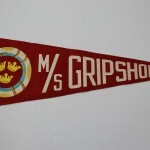 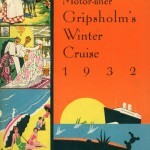 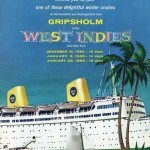 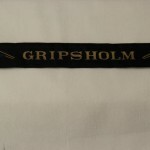 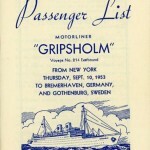 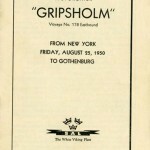 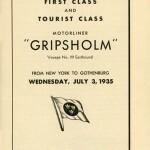 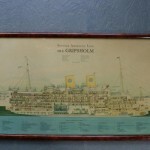 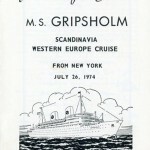 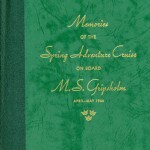 Gripsholm, in particular, would be known for these journeys and the very first trip took place during the summer of 1942 when a large number of Japanese citizens left New York to go back to their home country. 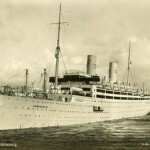 In total 33 trips around the world were made, all with the same high standard whether transporting diplomats or prisoners of the war. 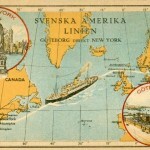 Detta inlägg postades i The exchange voyages, Uncategorized den januari 20, 2015 av Torsten. 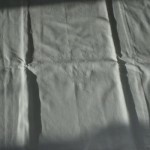 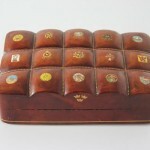 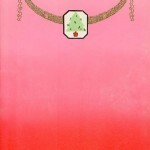 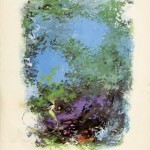 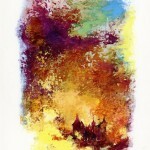 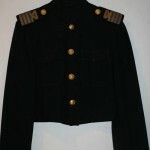 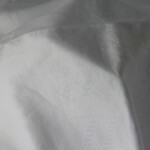 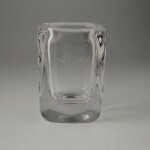 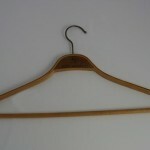 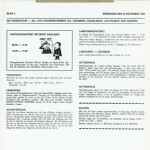 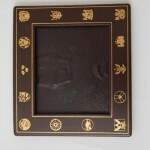 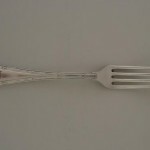 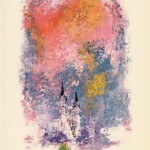 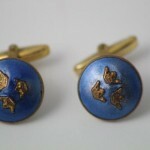 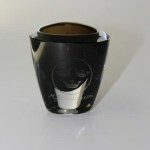 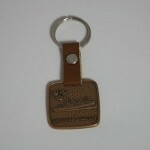 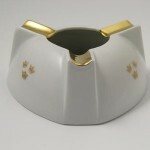 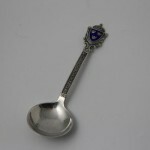 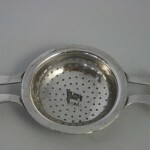 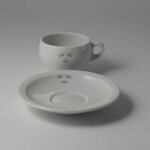 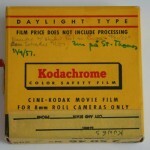 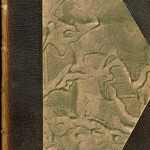 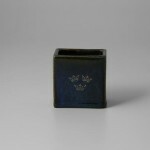 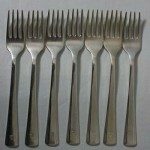 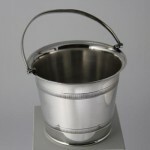 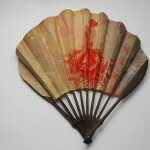 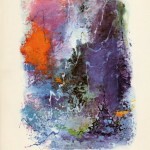 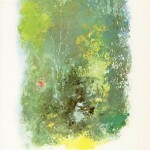 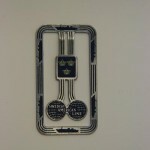 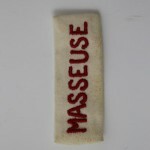 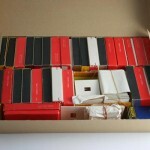 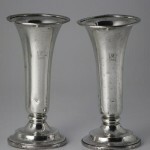 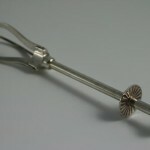 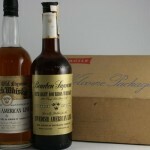 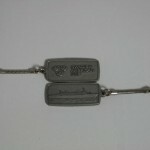 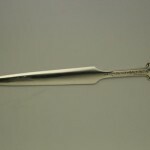 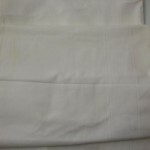 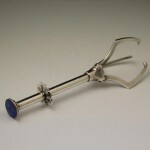 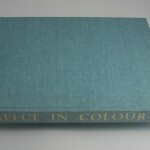 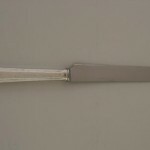 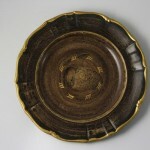 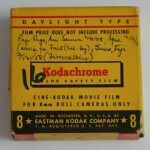 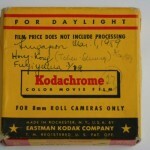 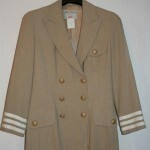 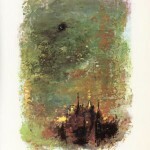 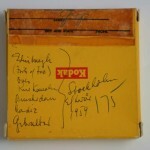 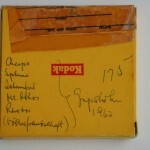 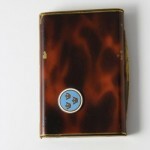 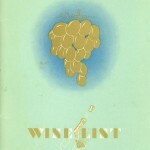 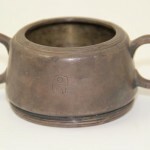 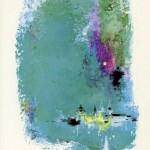 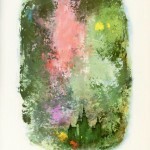 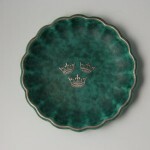 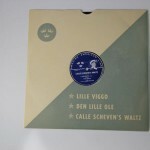 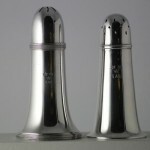 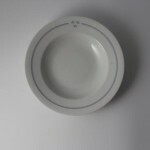 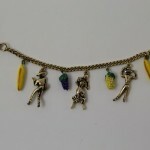 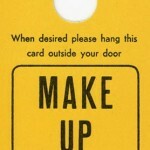 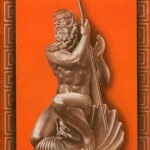 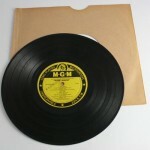 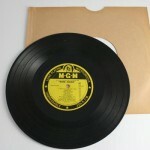 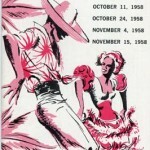 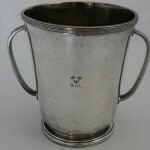 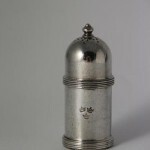 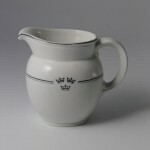  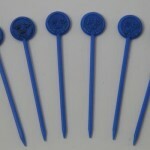 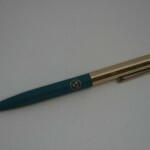 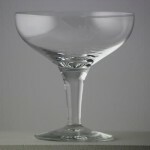 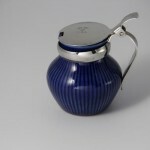 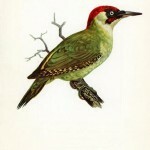 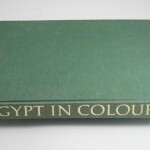 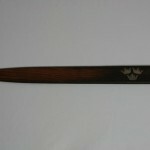 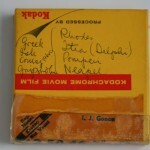 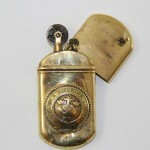 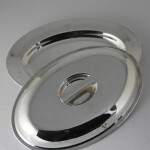 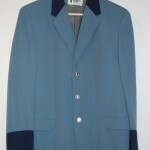 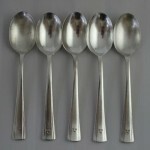 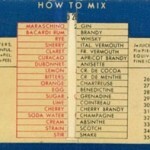 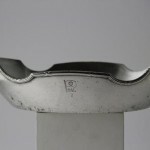 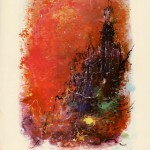 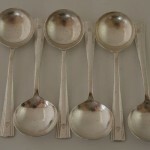 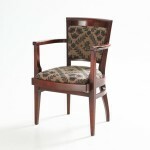 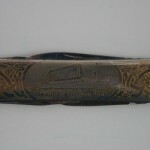 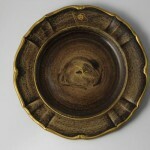 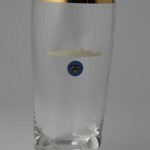 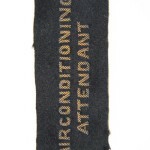 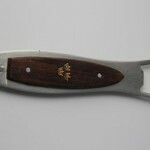 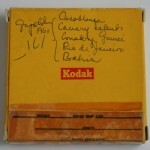 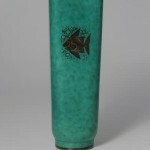 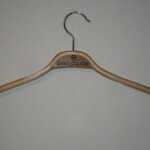 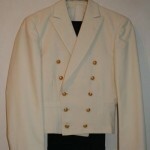 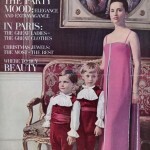 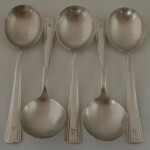 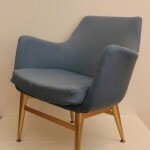 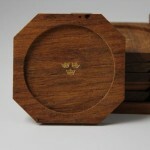 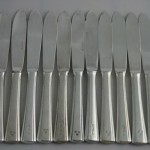 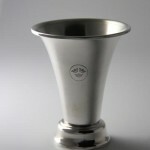 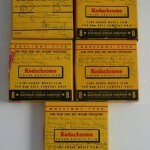 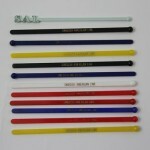 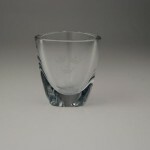 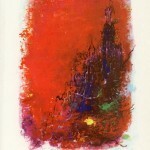 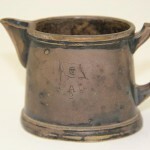 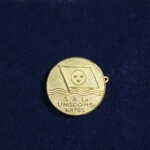 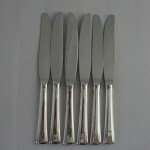 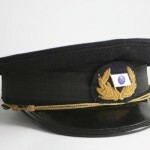 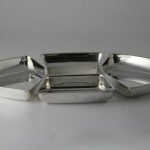 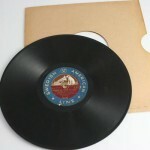 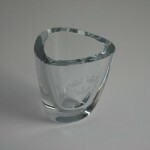 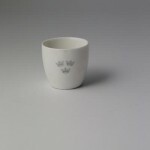 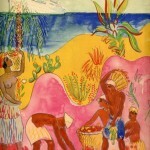 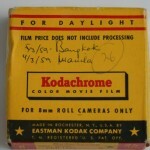 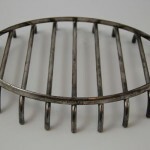 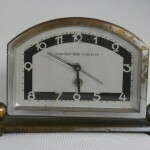 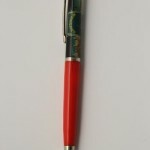 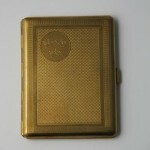 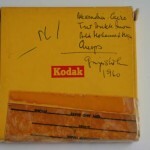 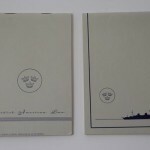 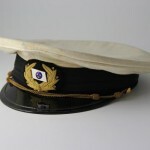 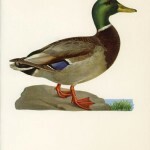 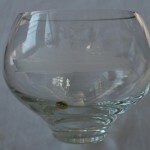 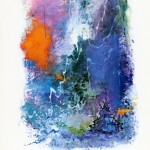 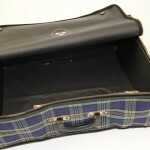 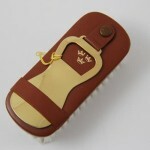 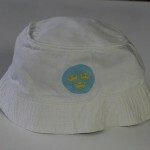 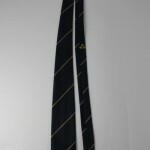 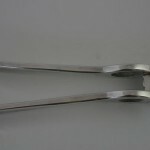 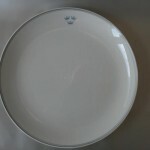 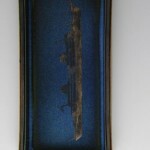 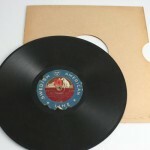 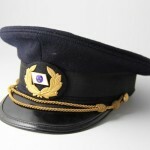 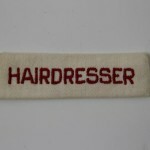 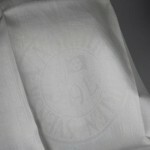 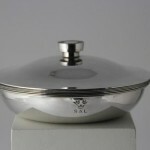 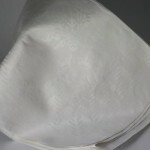 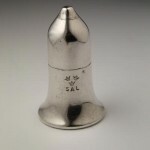 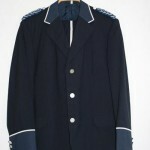 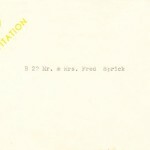 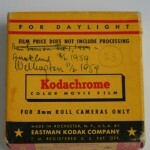 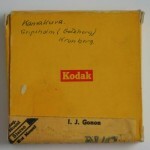 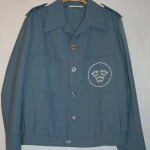 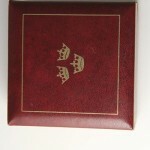 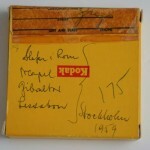 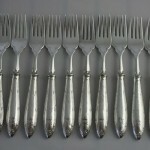 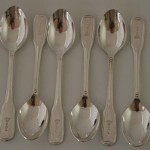 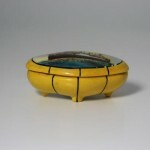 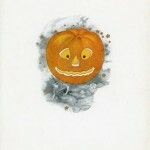 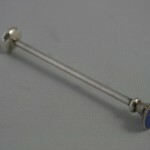 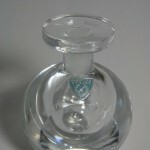 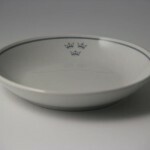 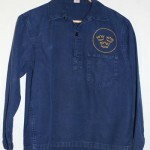 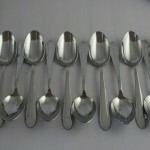 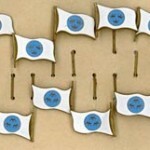 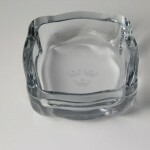 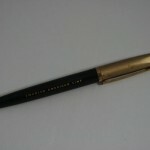 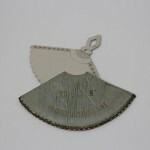 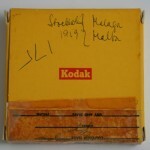 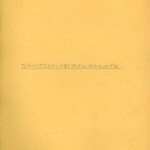 In every collection there are certain items which are difficult to categorize. 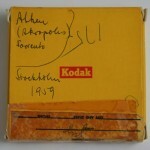 On this site, I have chosen to keep them in a special folder called “Miscellaneous”. 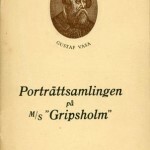 Detta inlägg postades i Miscellaneous, Uncategorized den januari 20, 2015 av Torsten.